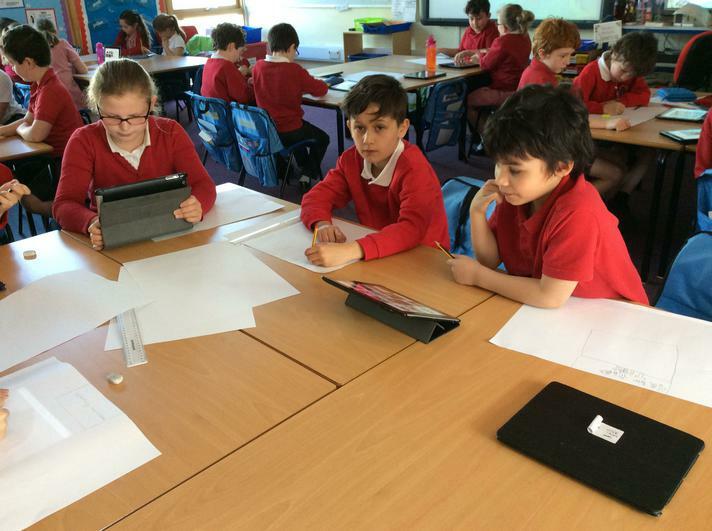 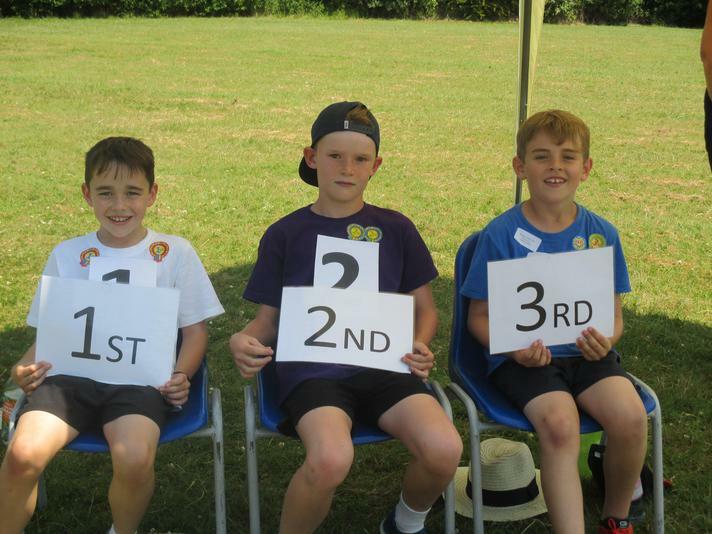 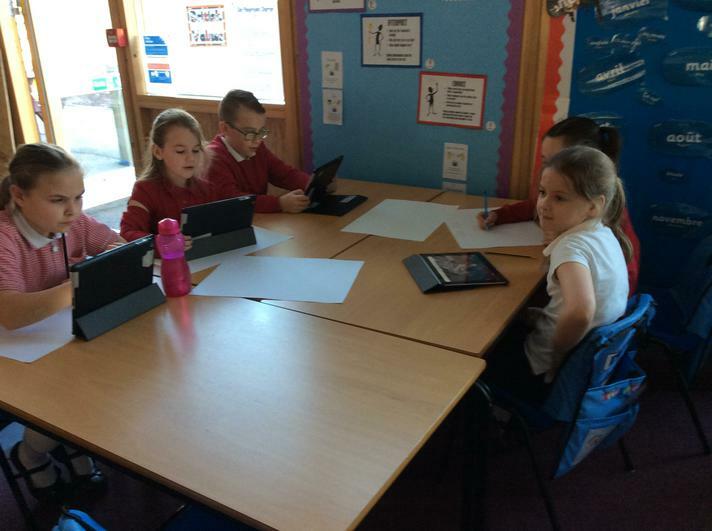 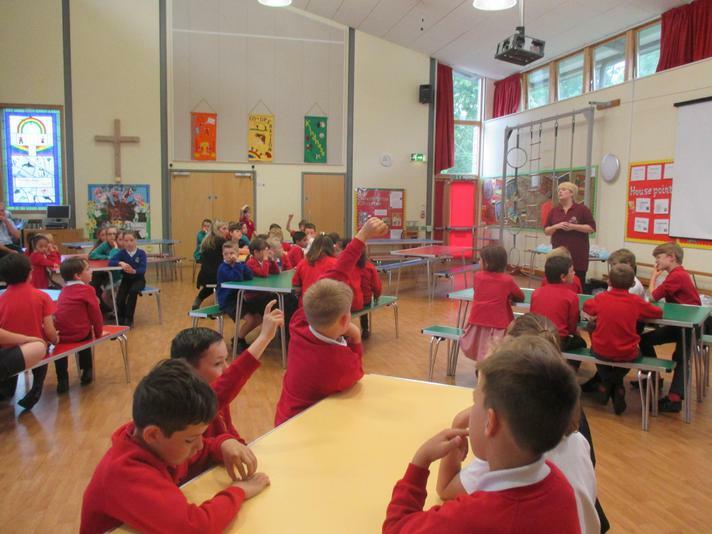 Welcome to the Year 3 Webpage. 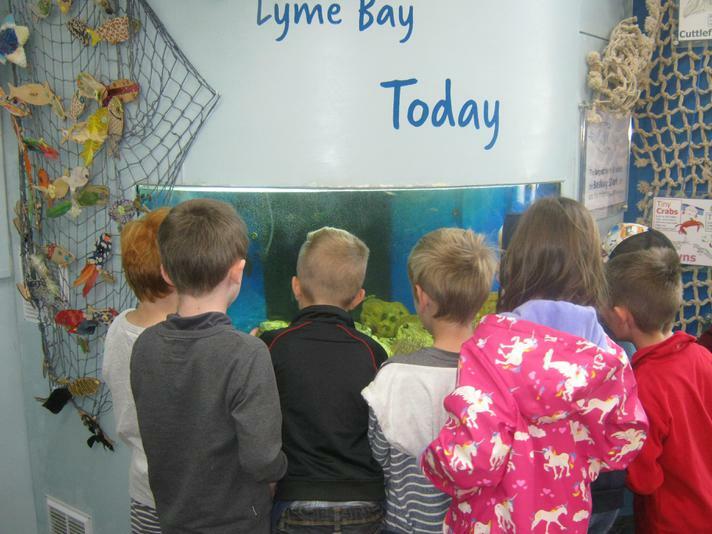 We hope you enjoy finding out what we do! 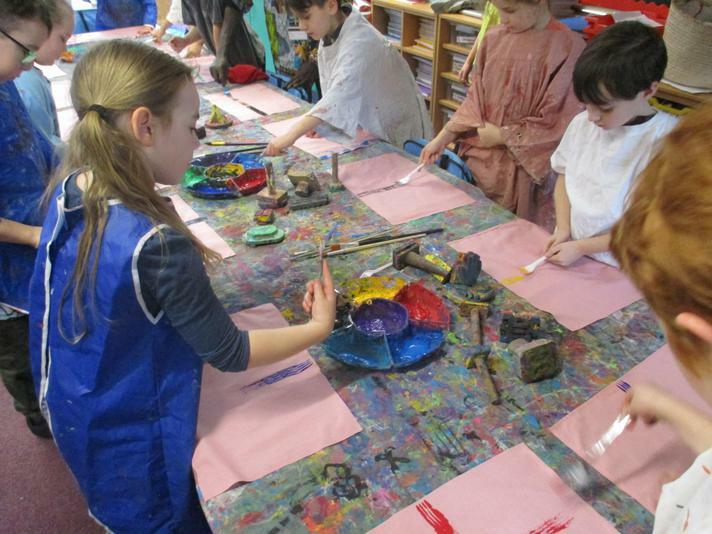 Please see our Spring Term Curriculum brochure. 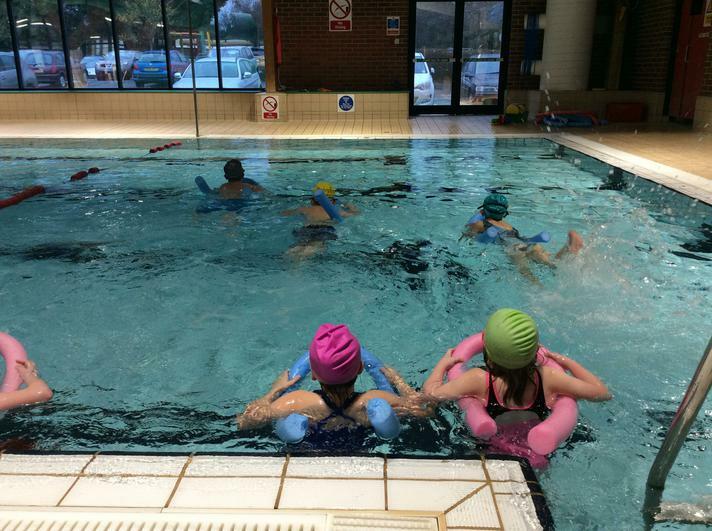 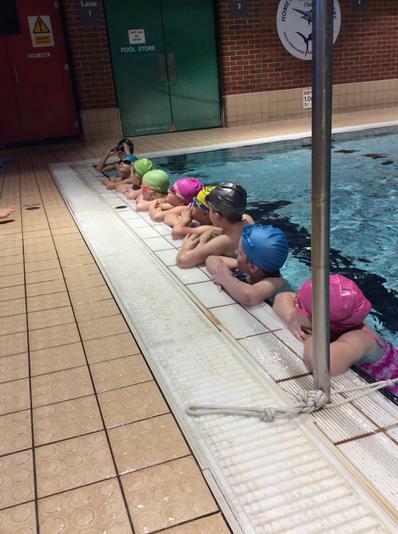 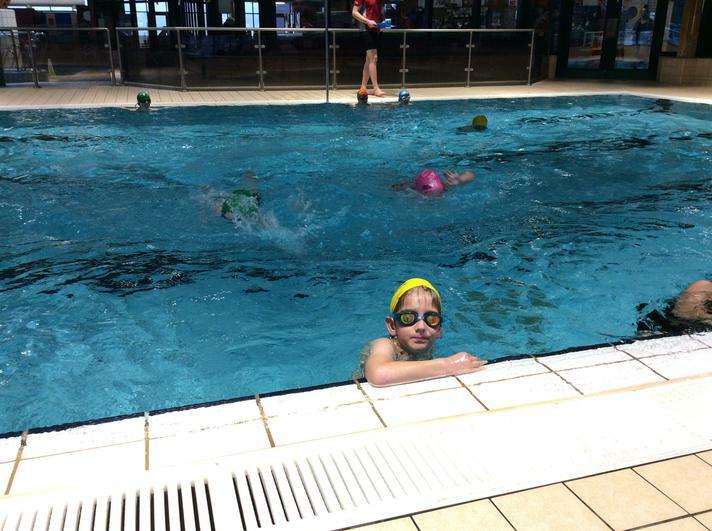 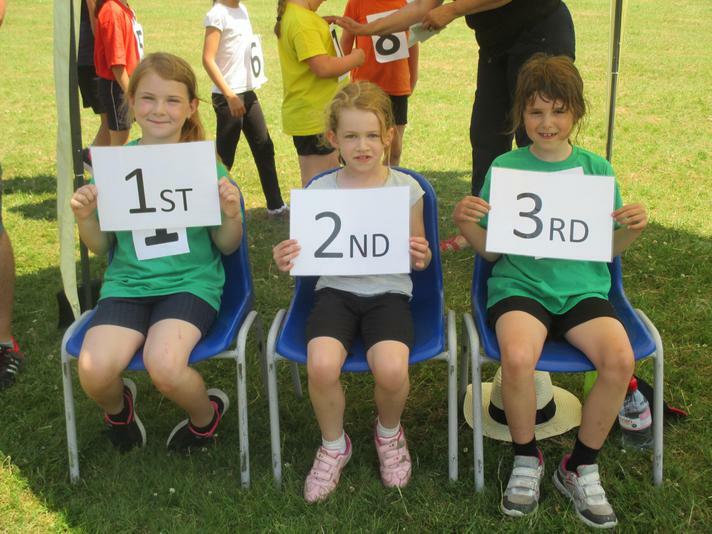 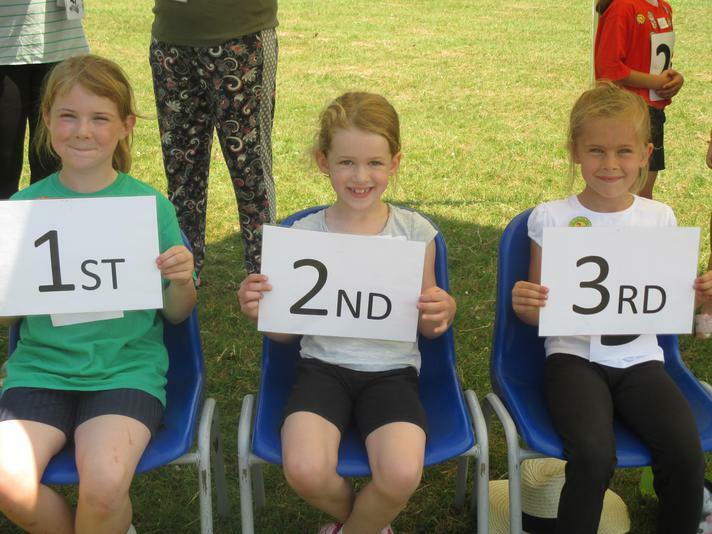 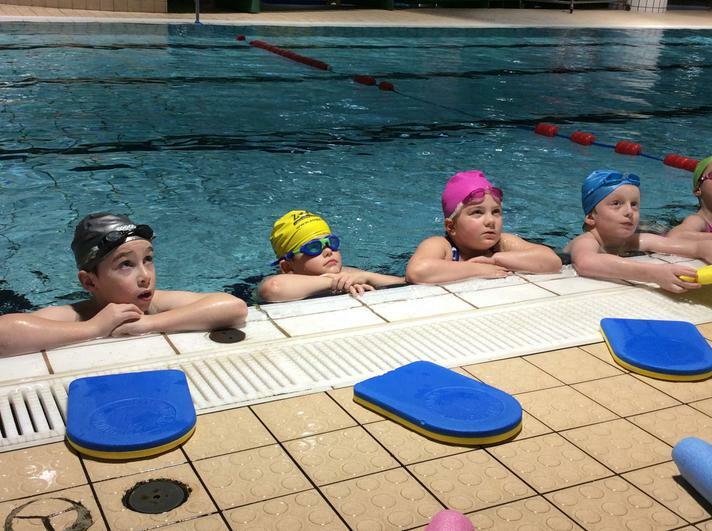 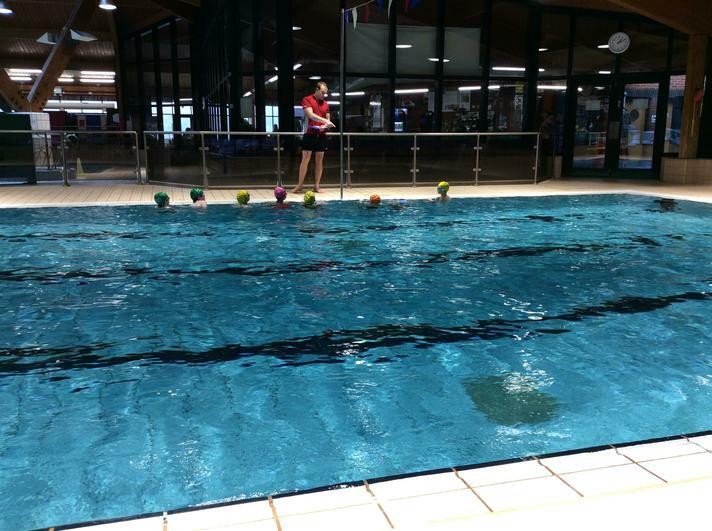 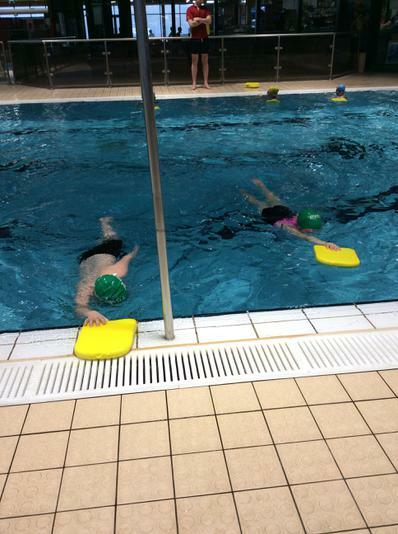 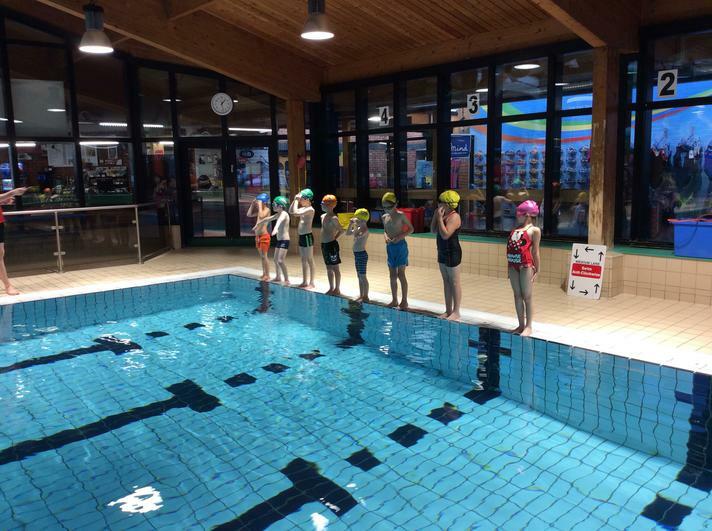 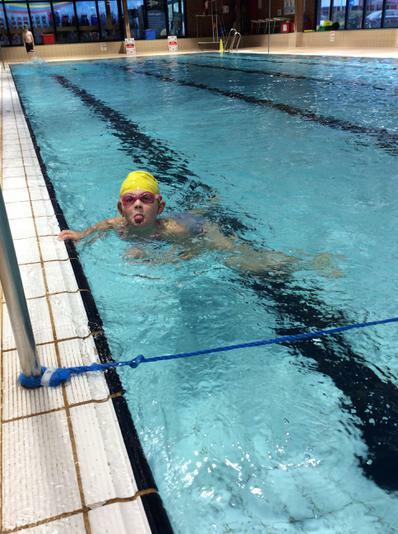 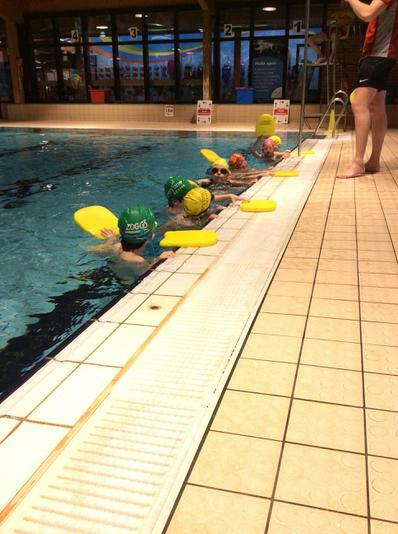 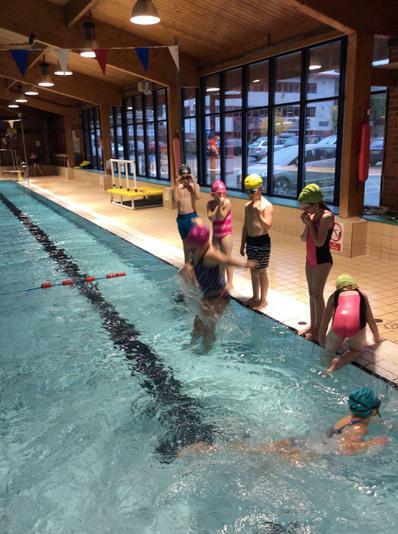 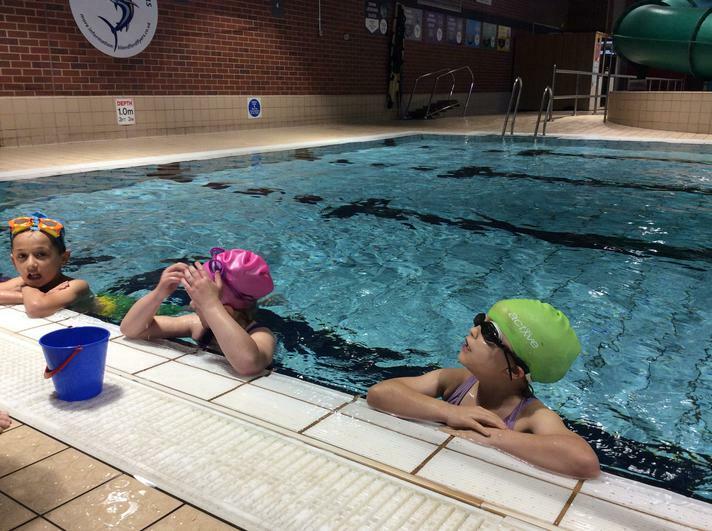 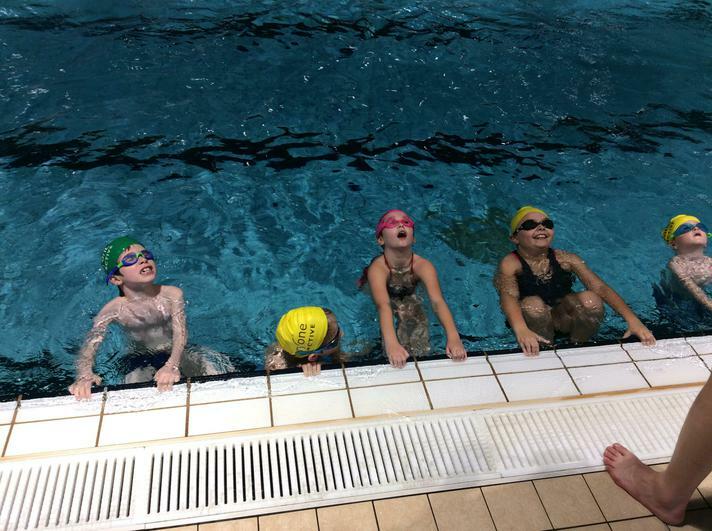 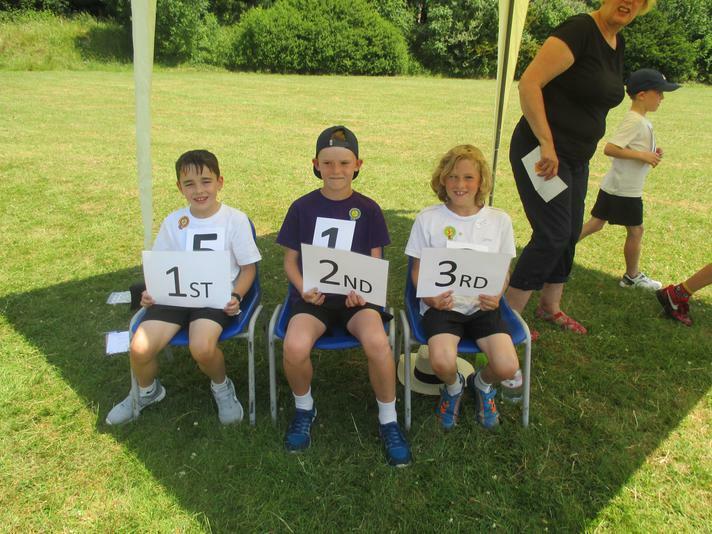 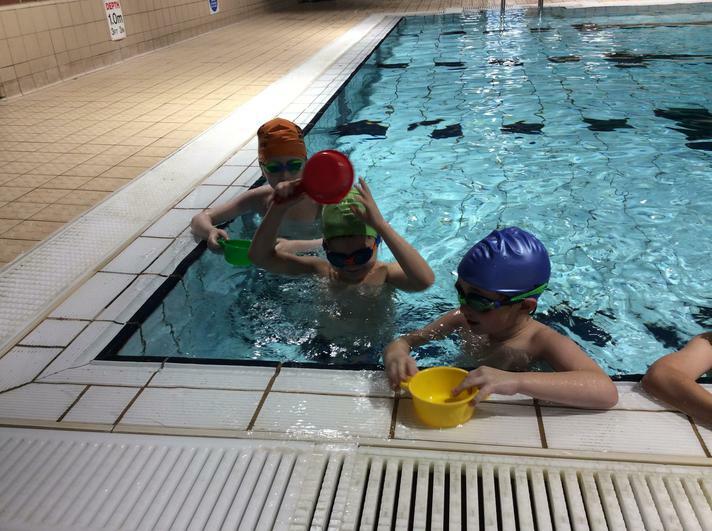 Sea Otters have grown in confidence with their swimming this year. 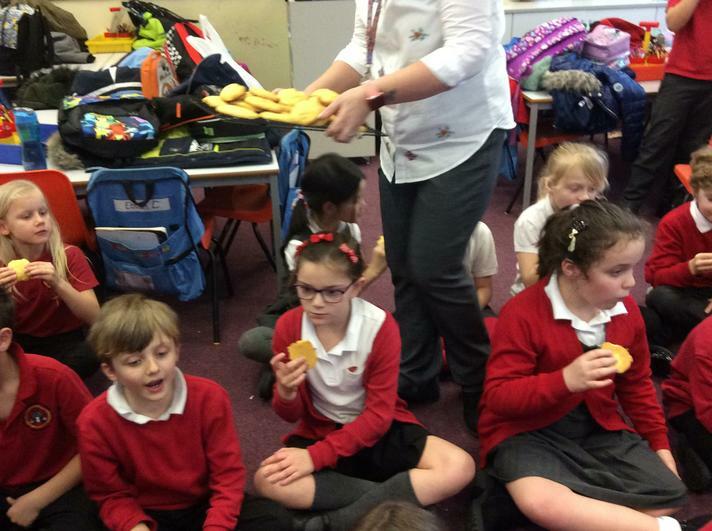 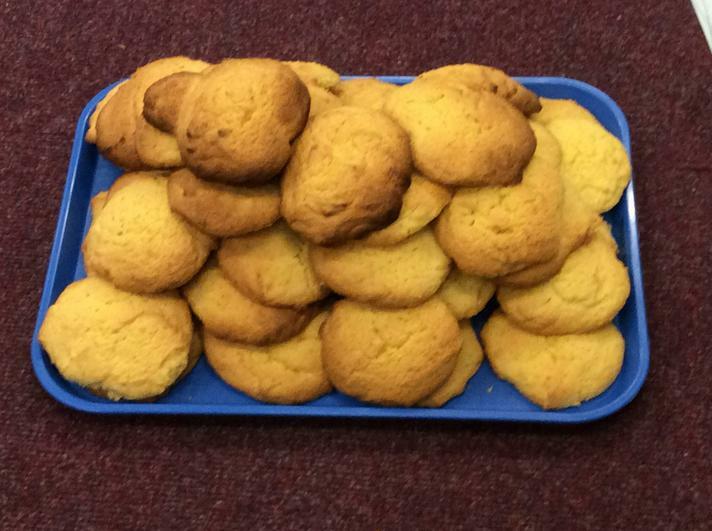 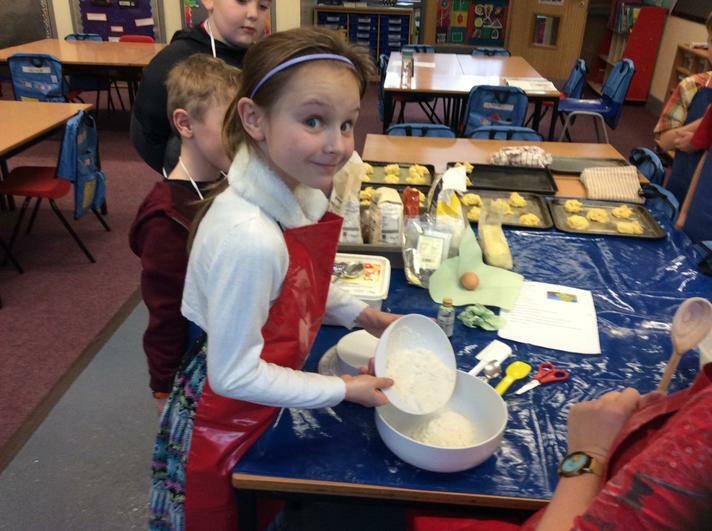 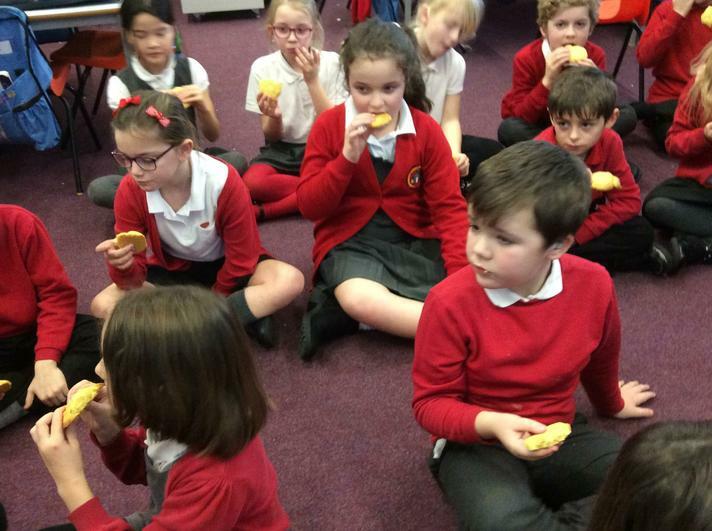 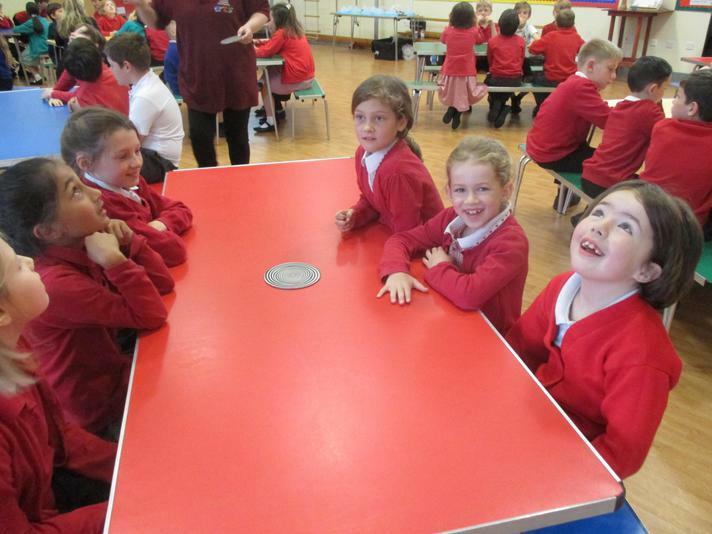 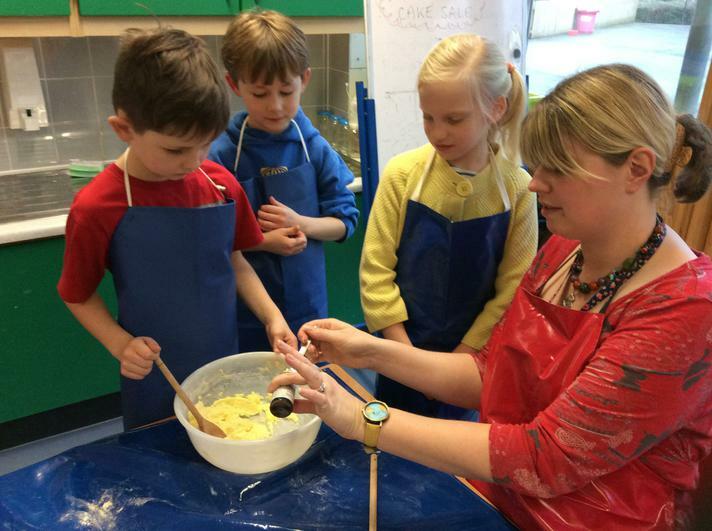 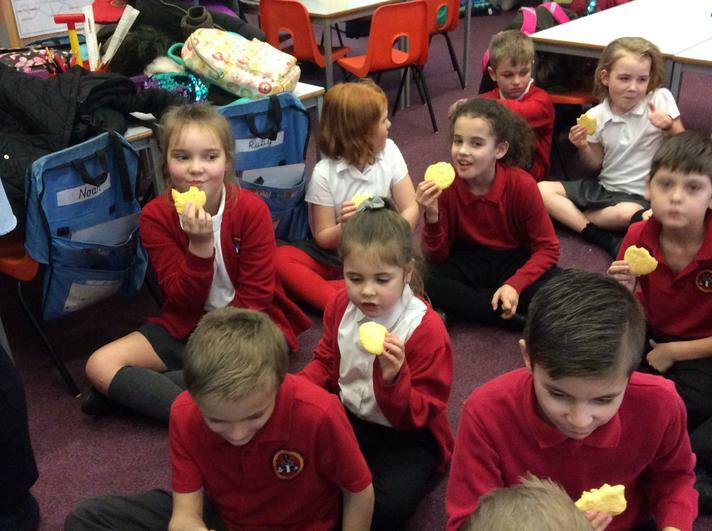 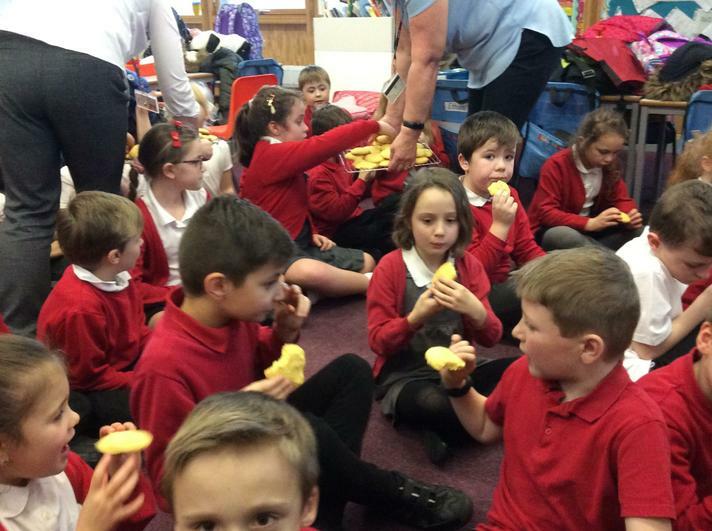 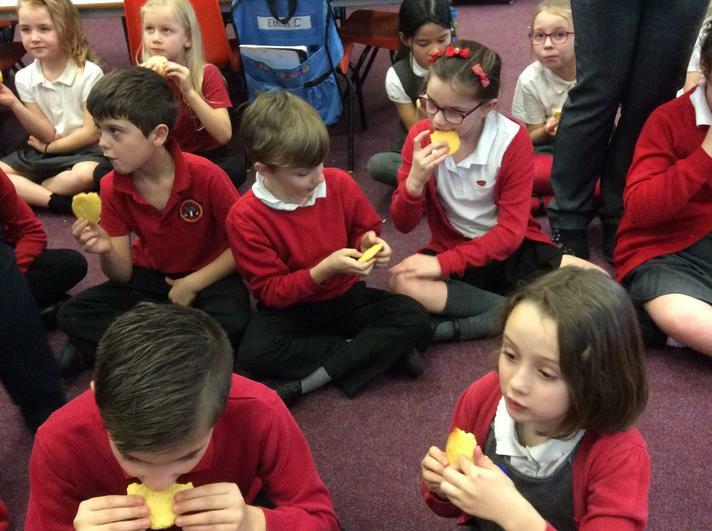 Year 3 enjoyed making Maize Meal biscuits! 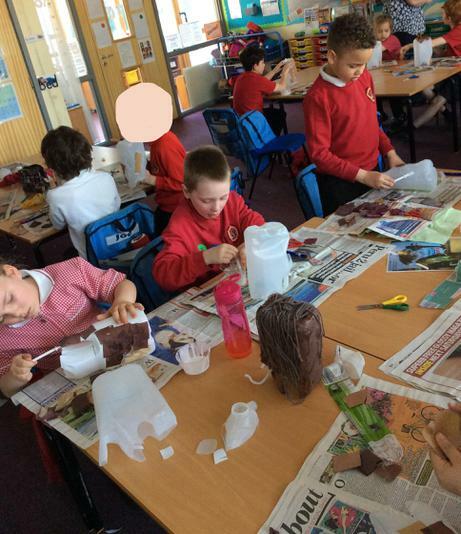 You could have a try at making them at home. 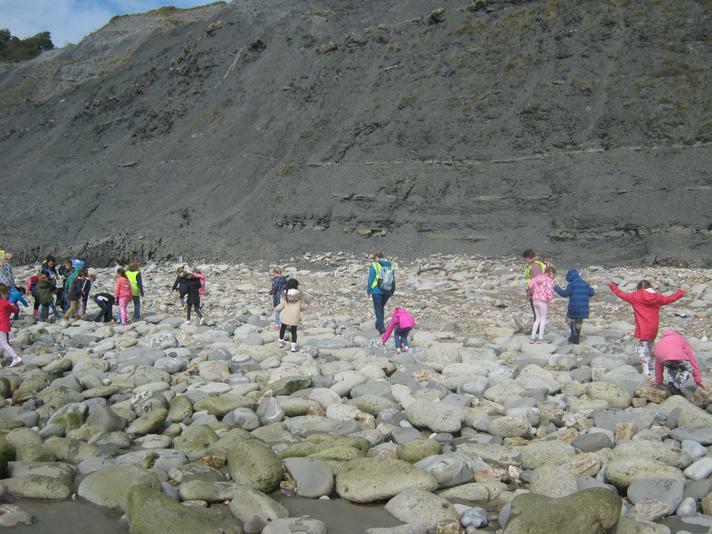 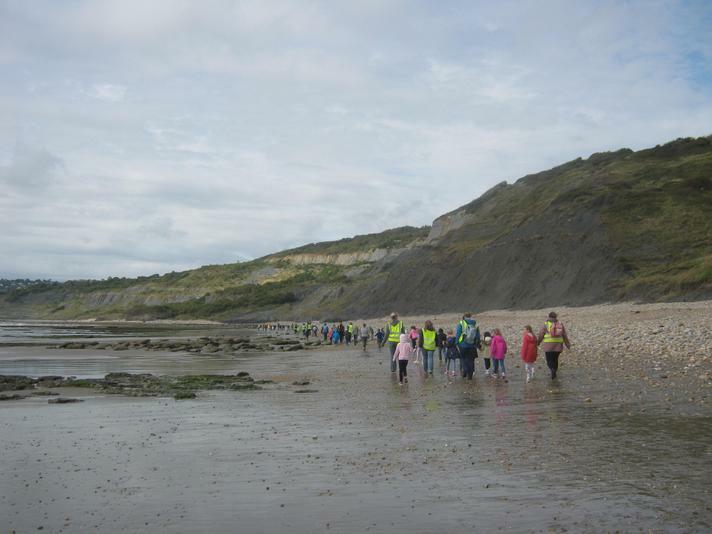 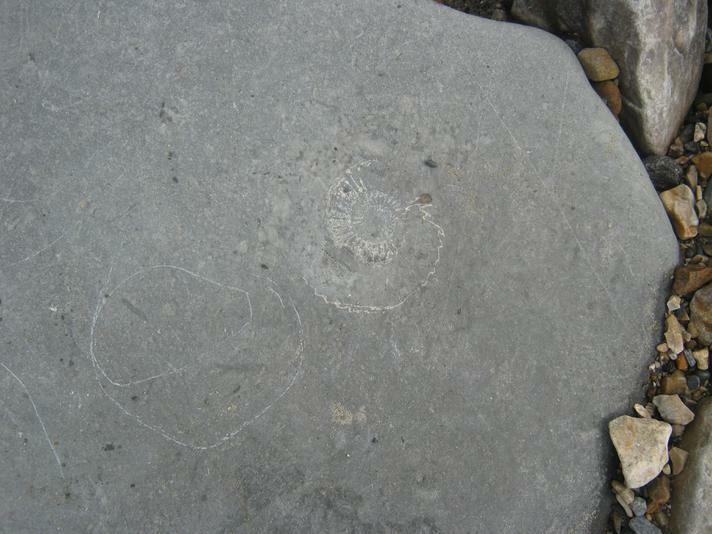 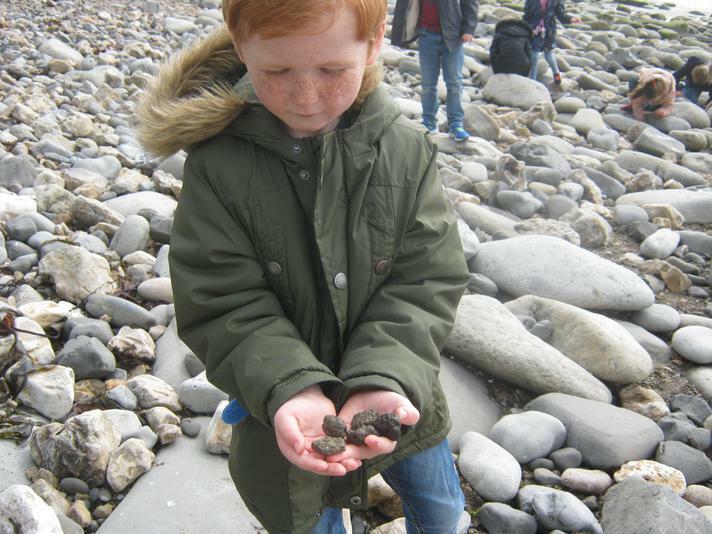 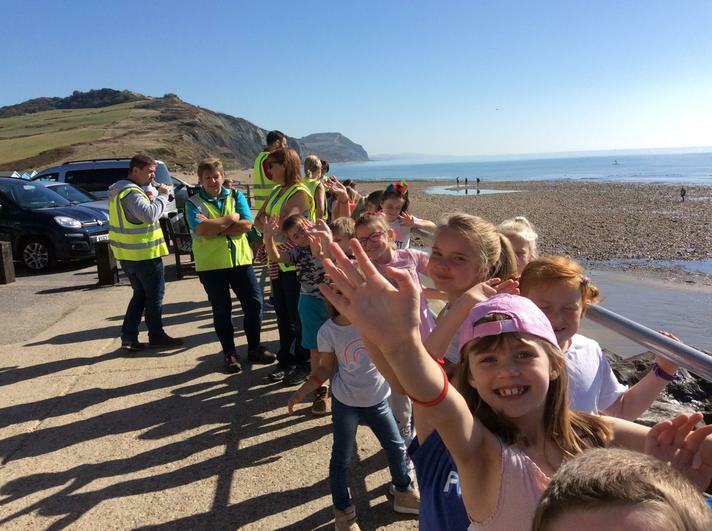 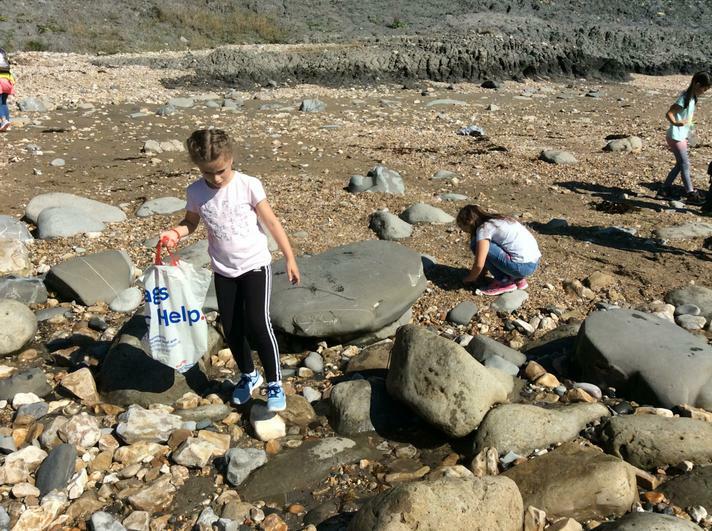 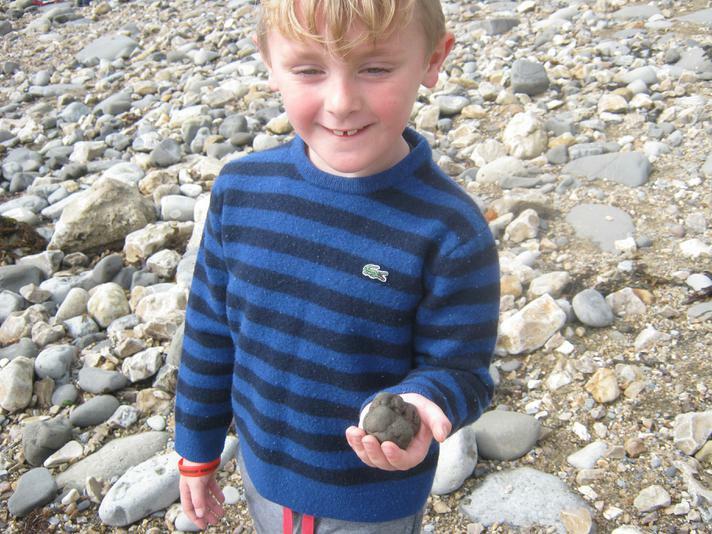 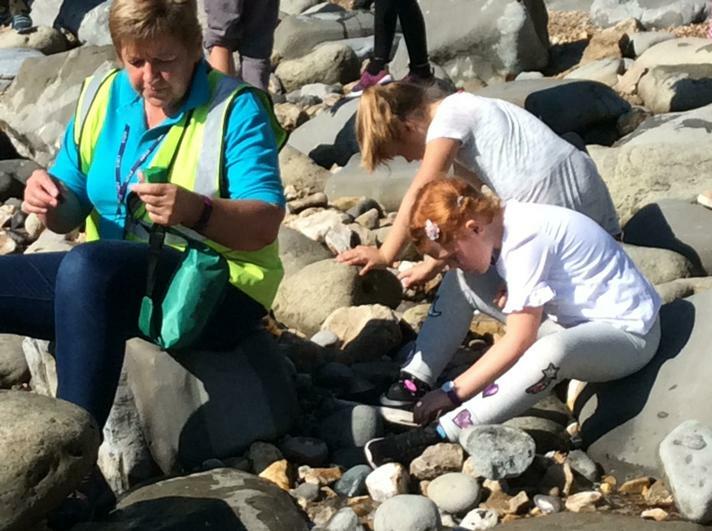 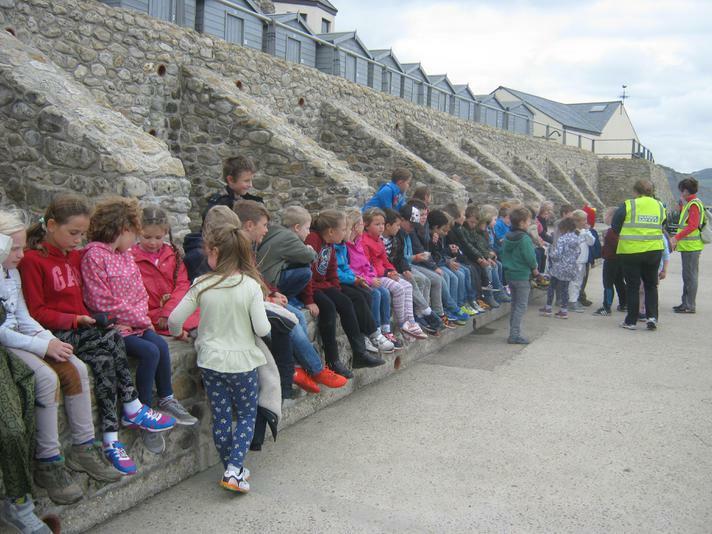 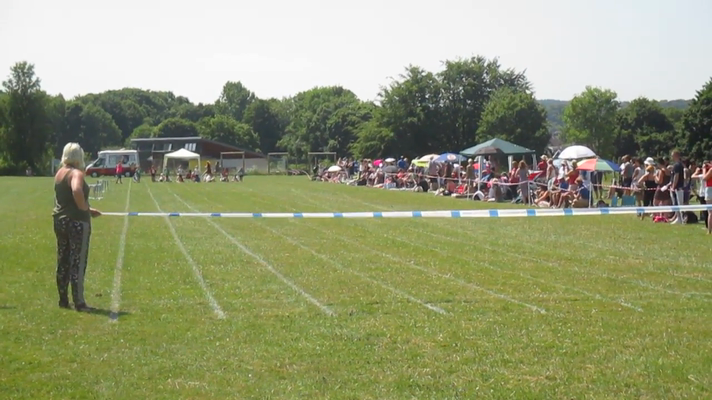 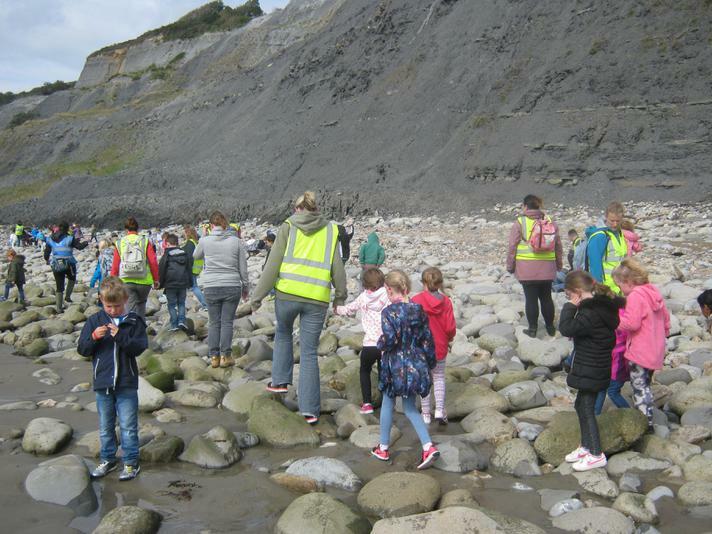 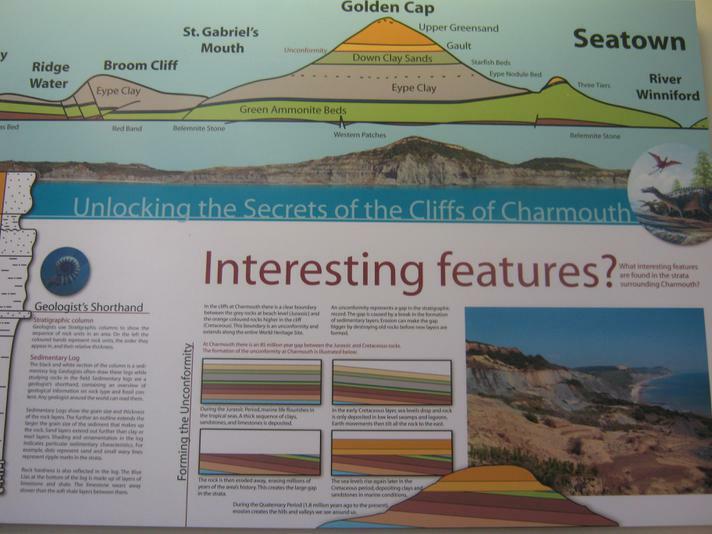 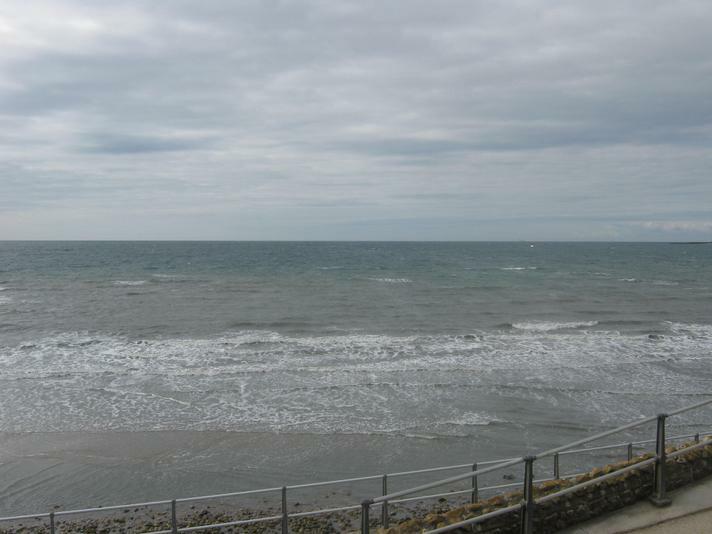 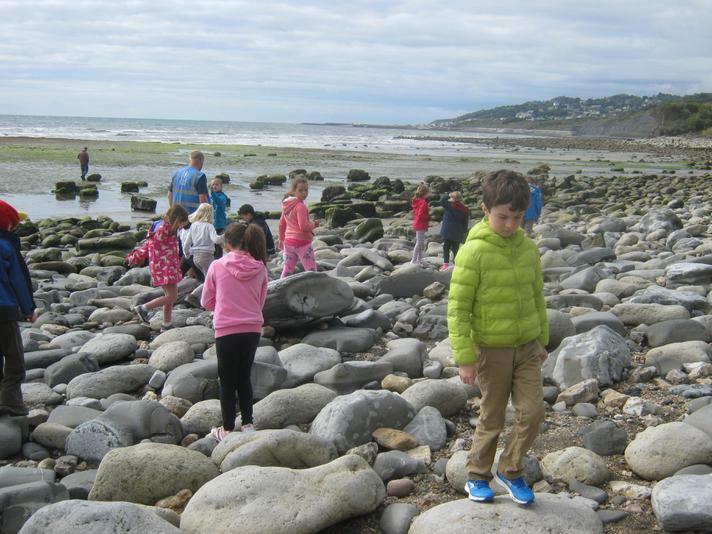 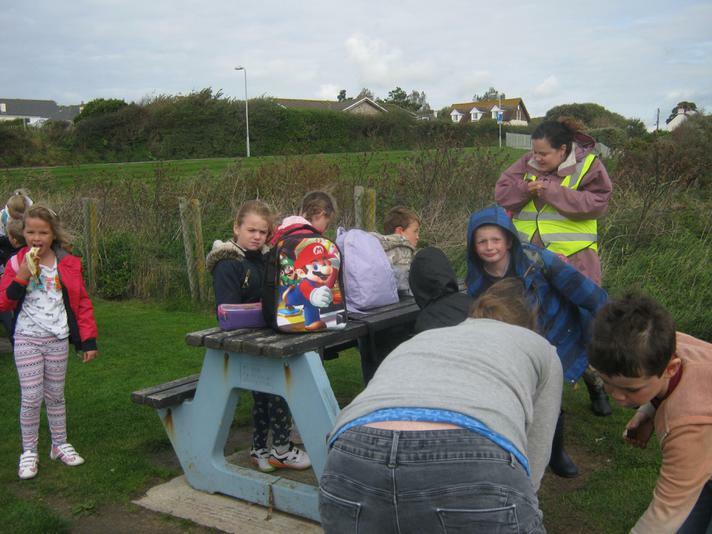 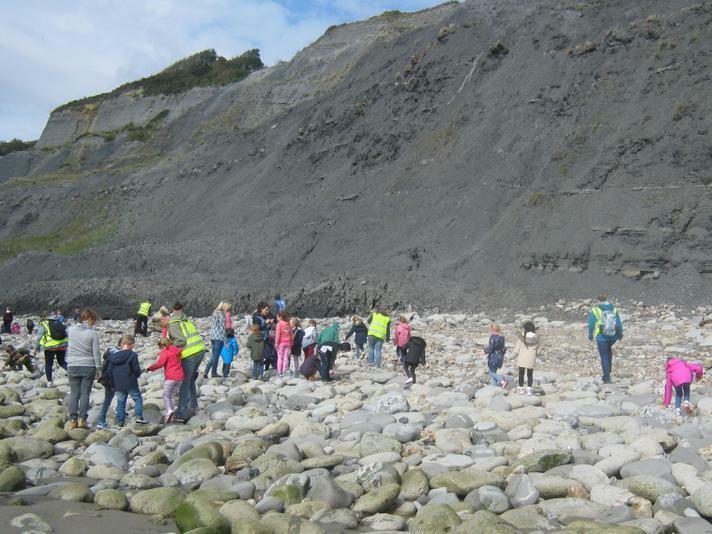 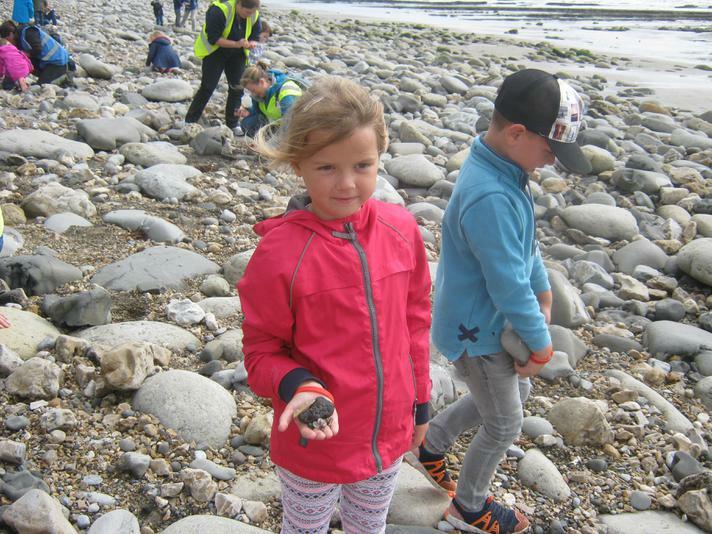 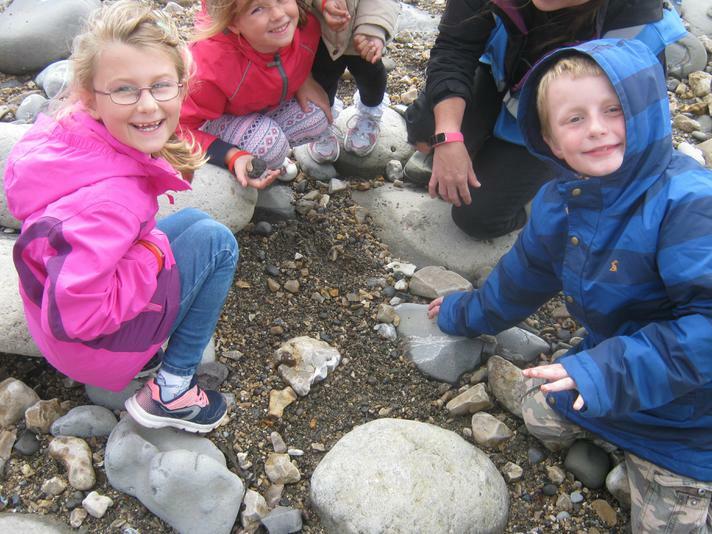 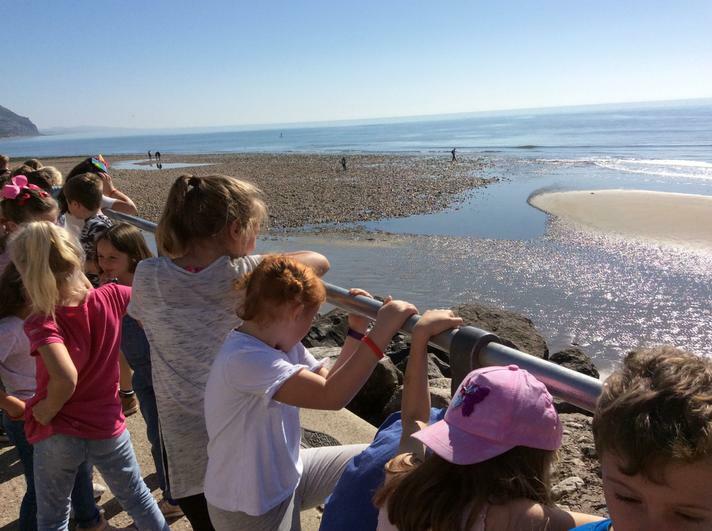 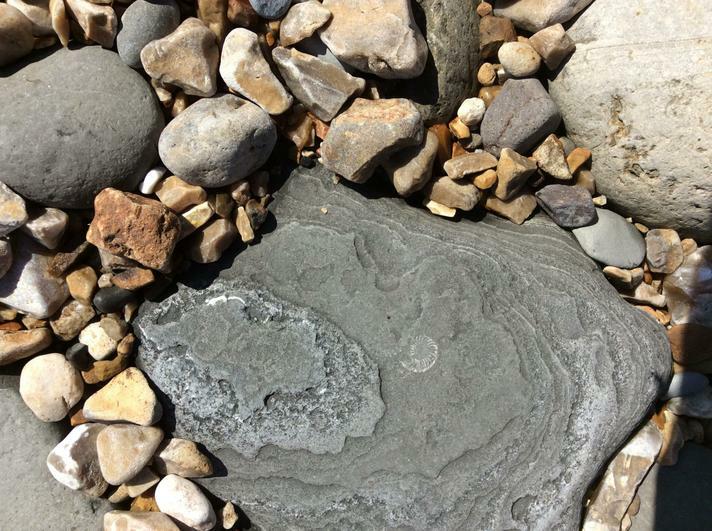 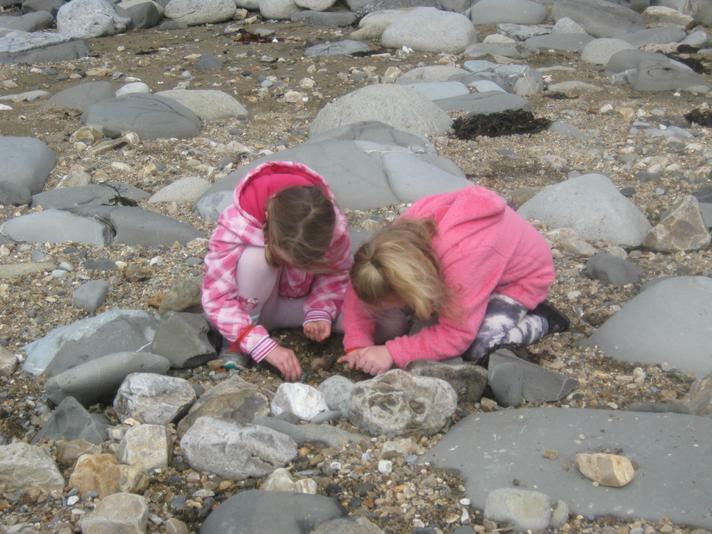 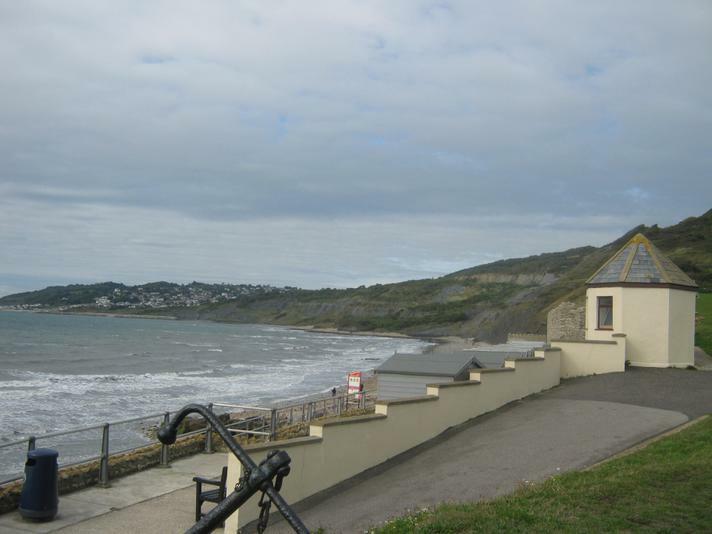 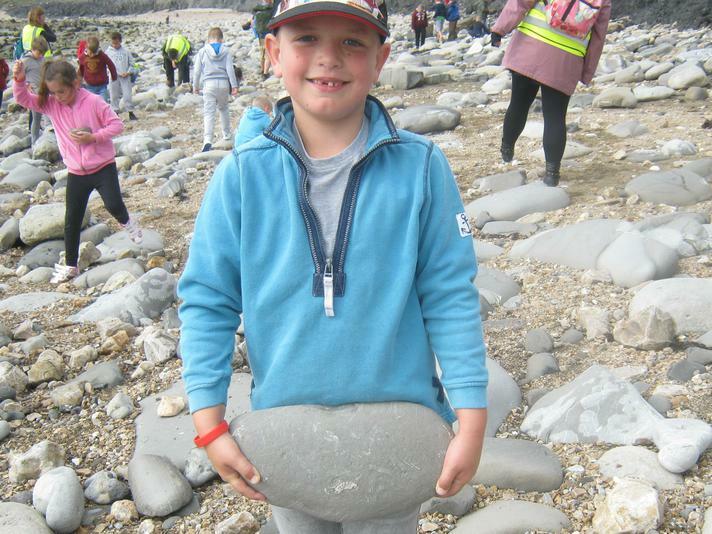 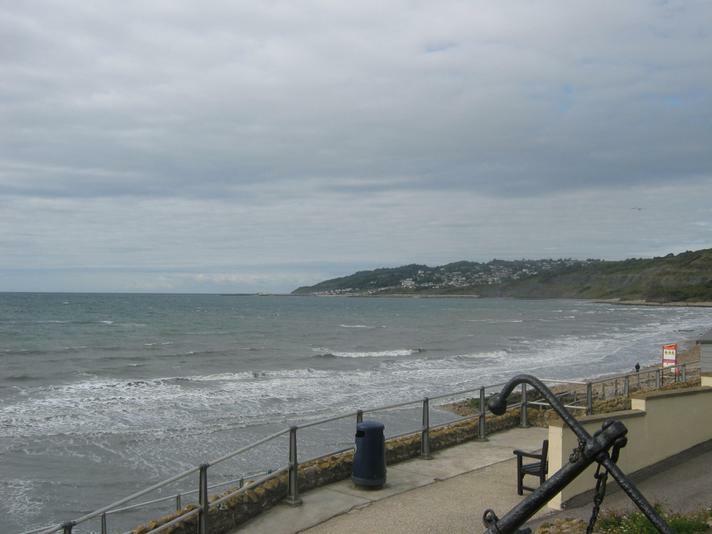 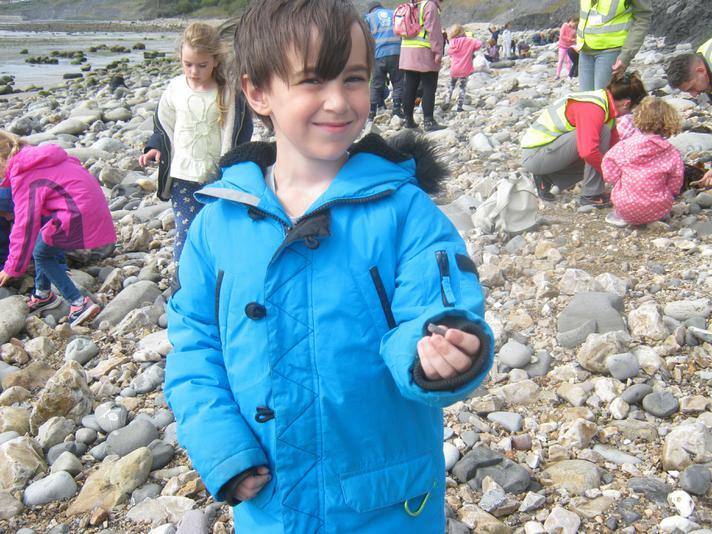 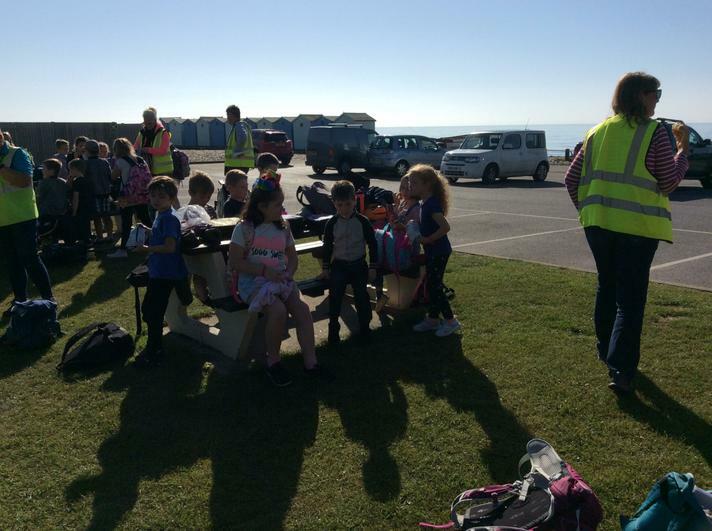 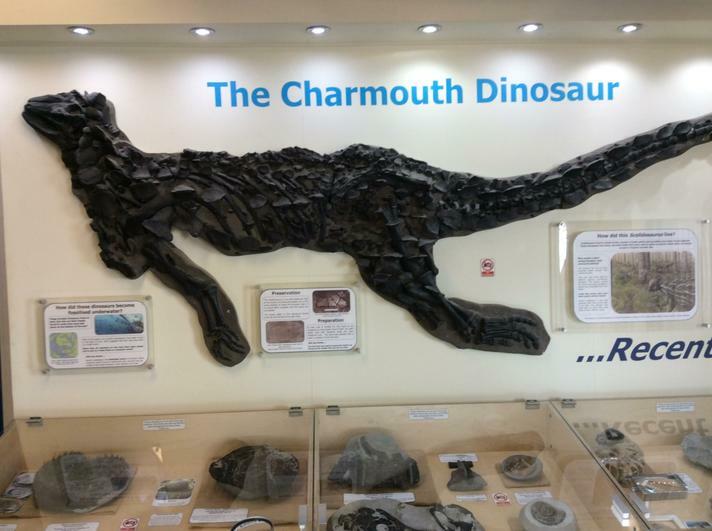 Our trip to Charmouth was fun! 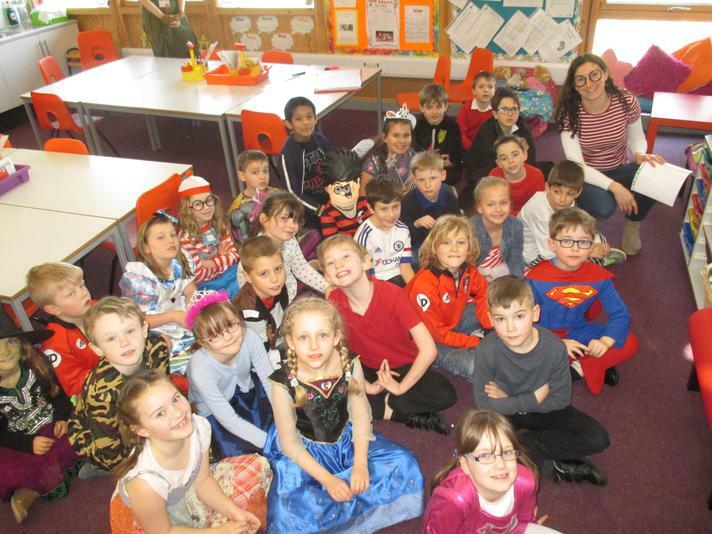 We enjoyed our Wow day! 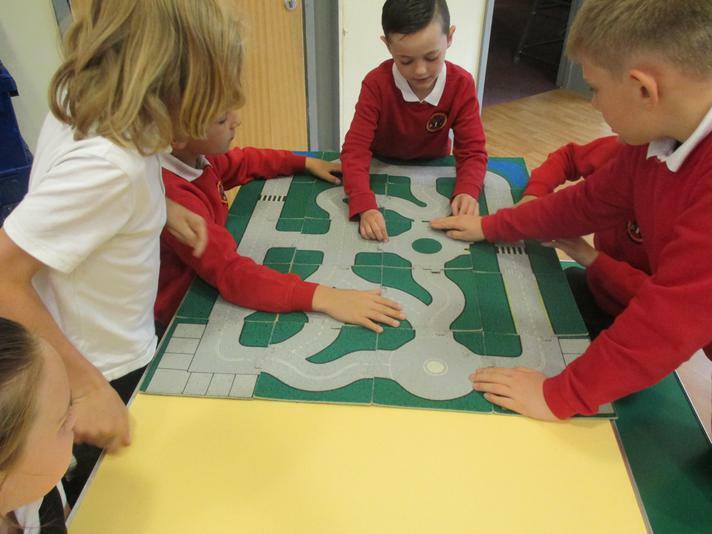 Have you seen the Learning Zone? 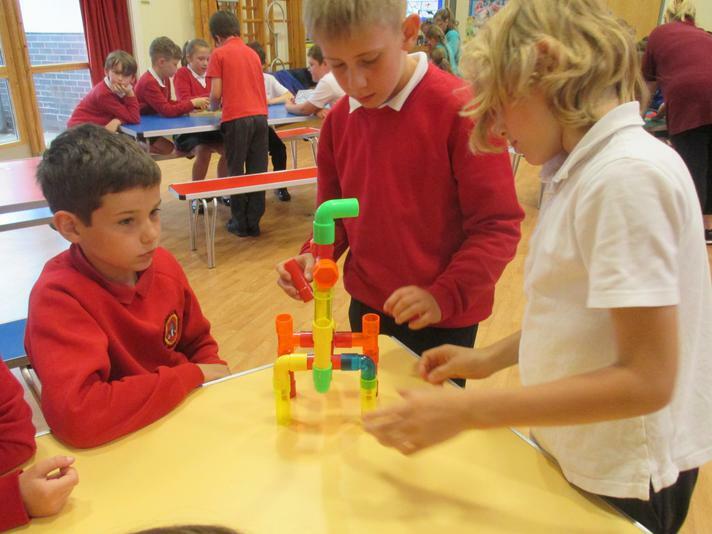 Play games and visit some cool websites. 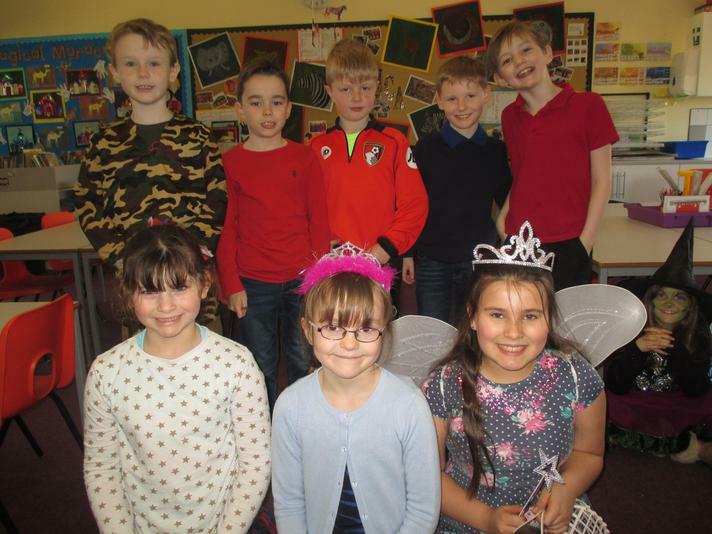 You can vote for your favourites. 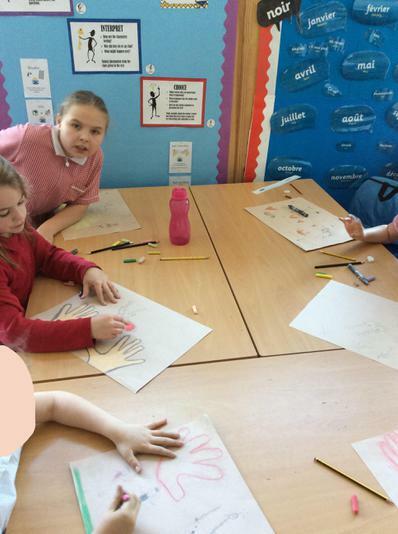 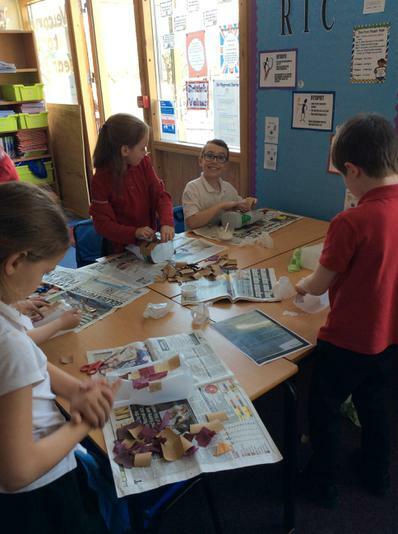 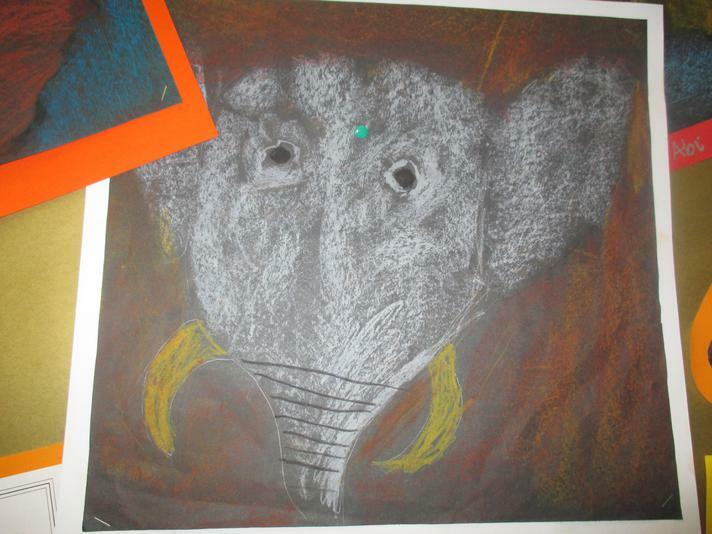 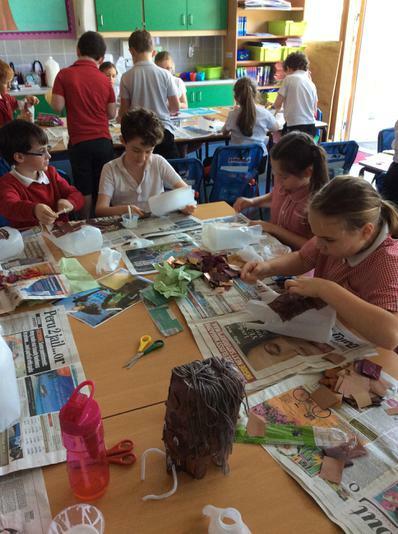 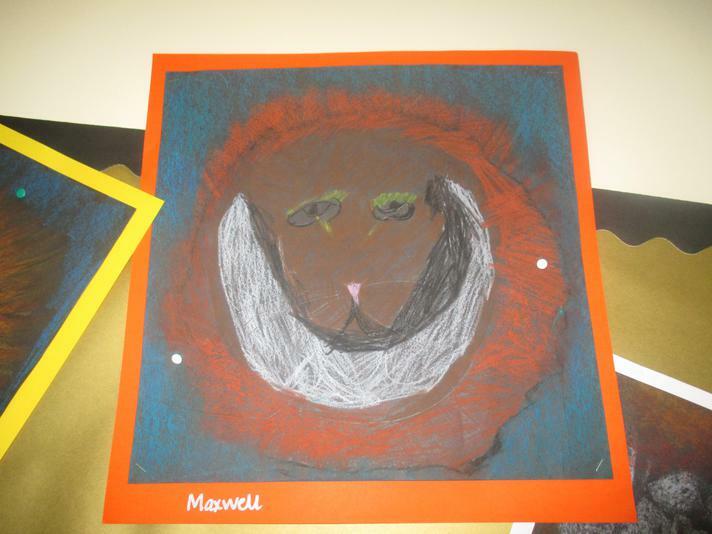 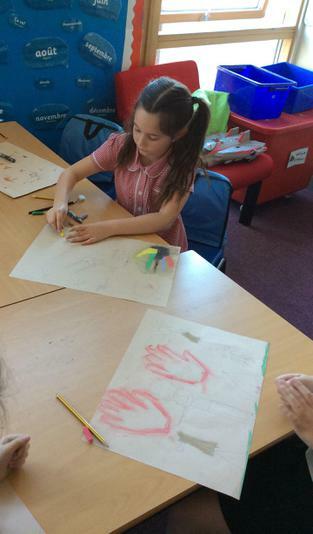 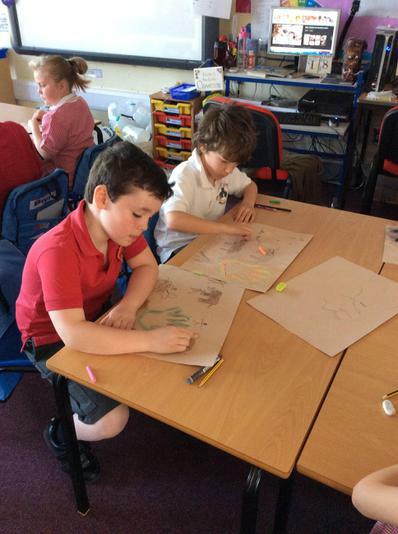 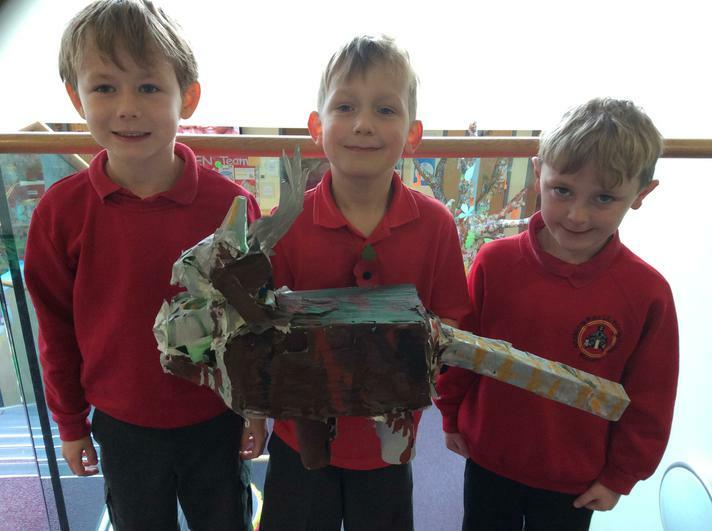 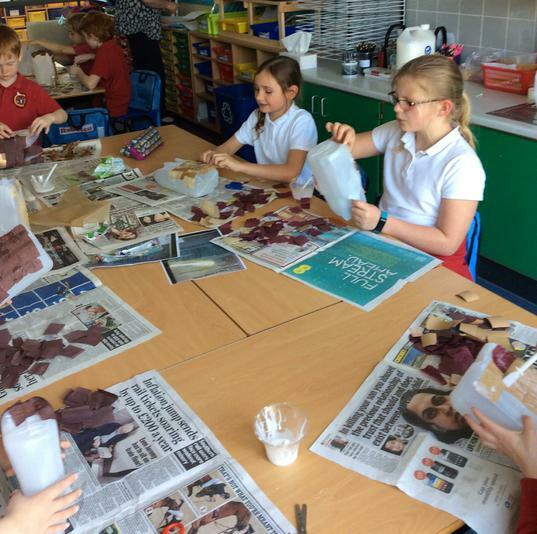 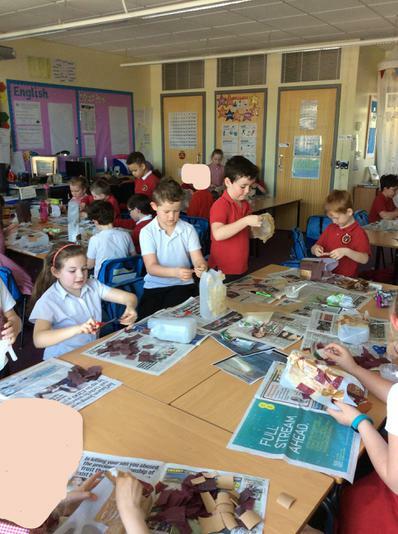 Sea Lions enjoyed making Woolly Mammoths and creating Stone Age cave paintings. 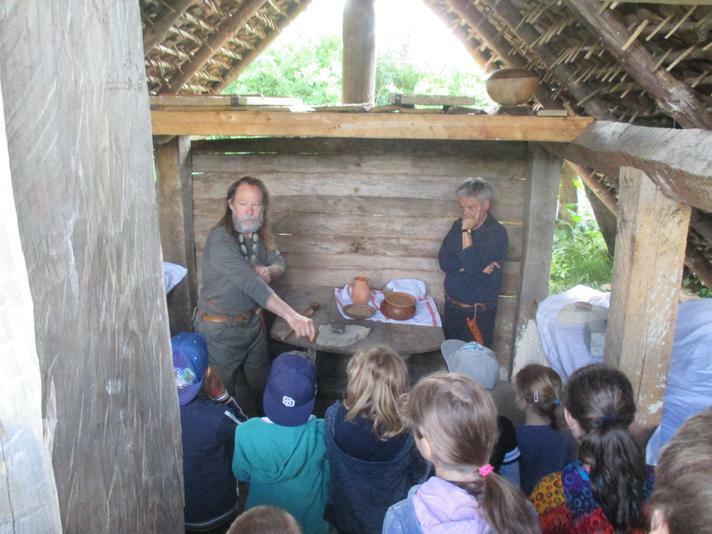 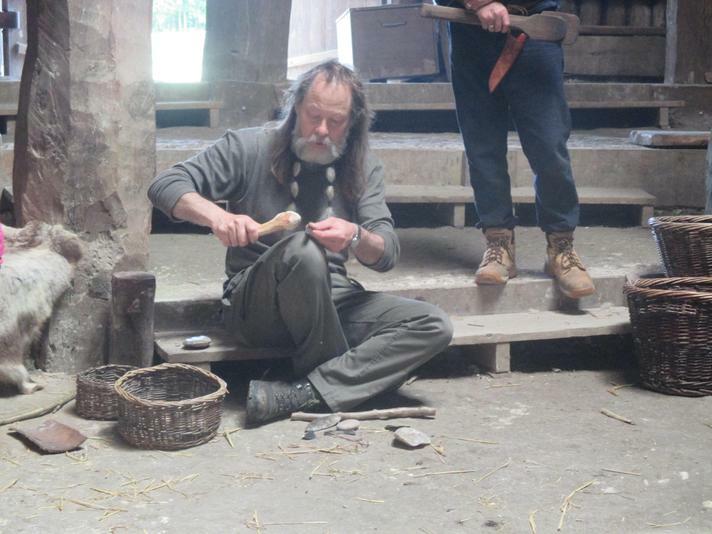 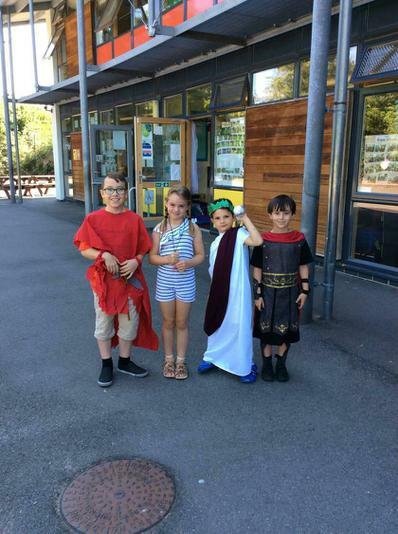 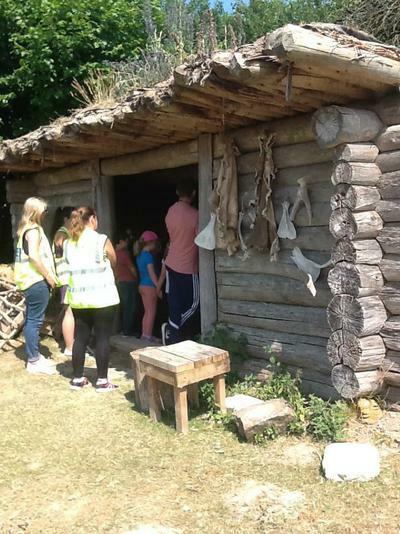 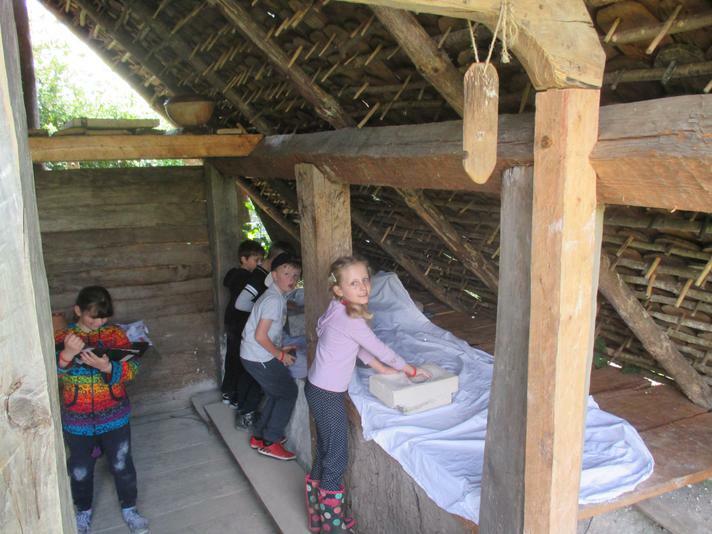 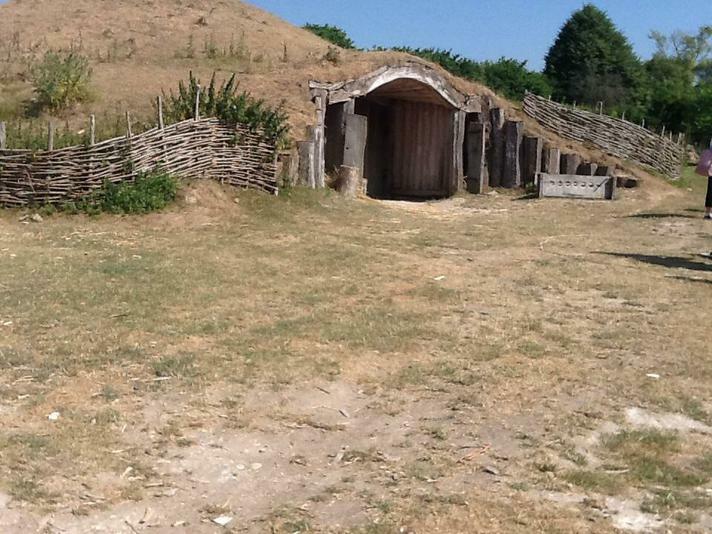 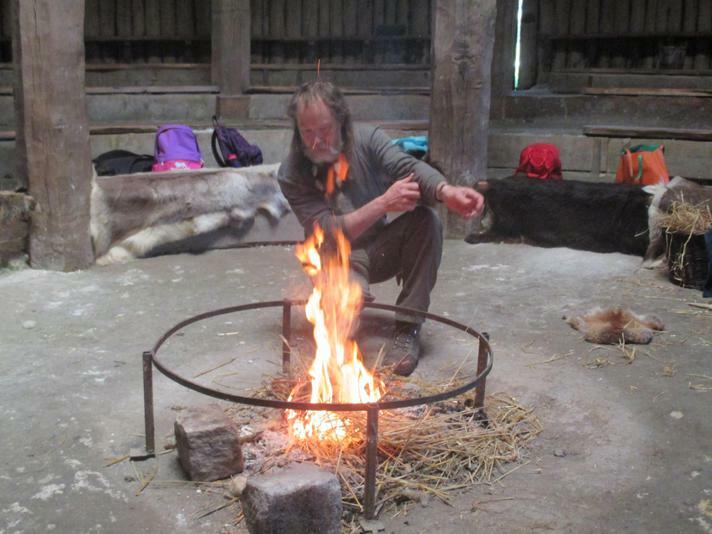 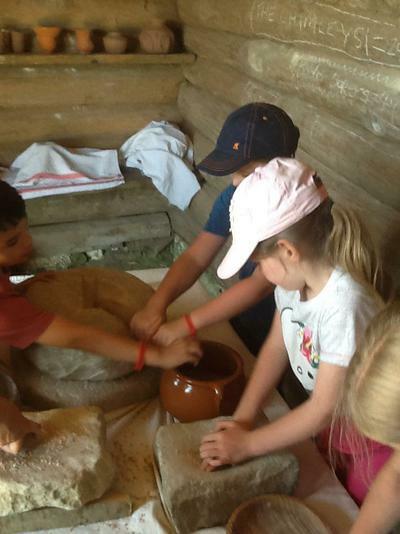 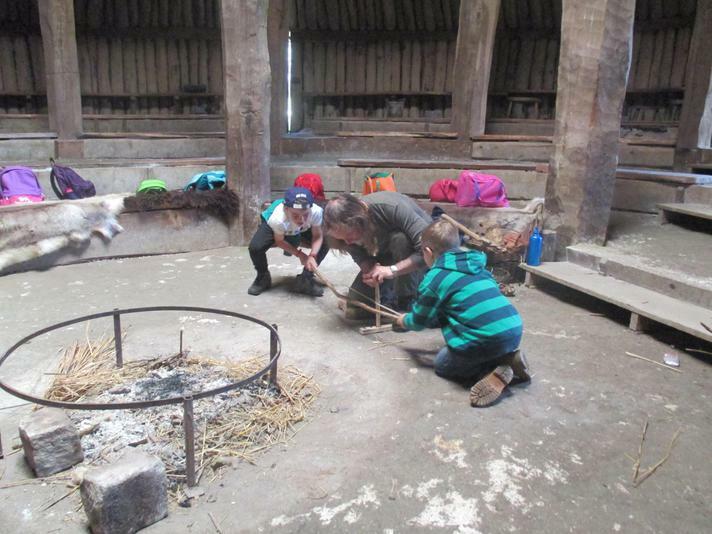 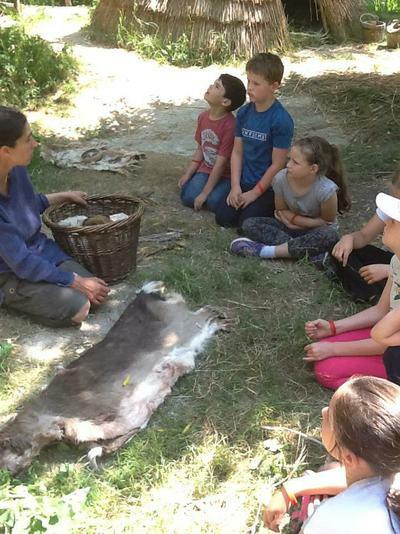 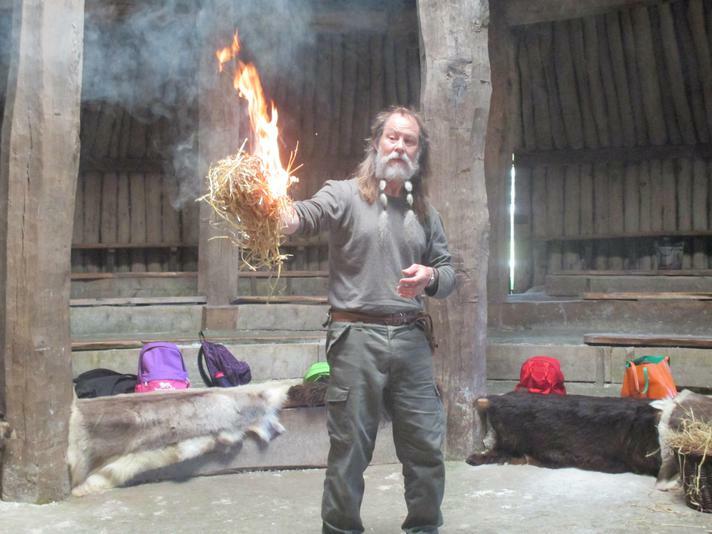 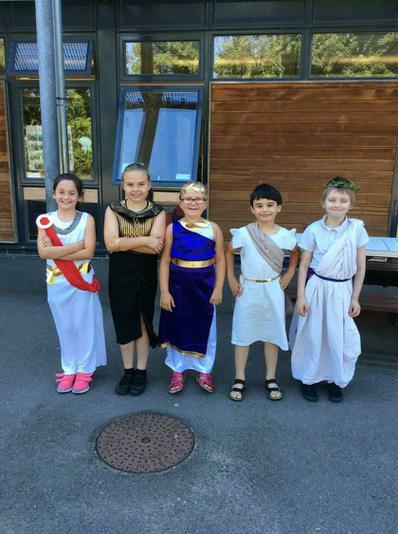 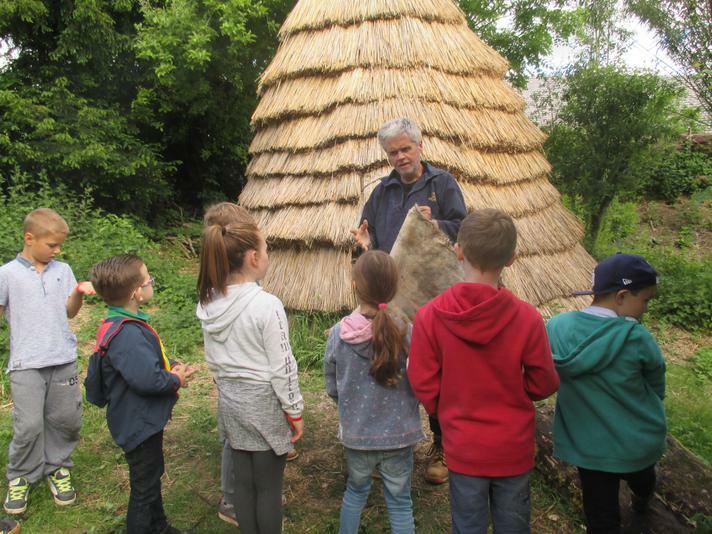 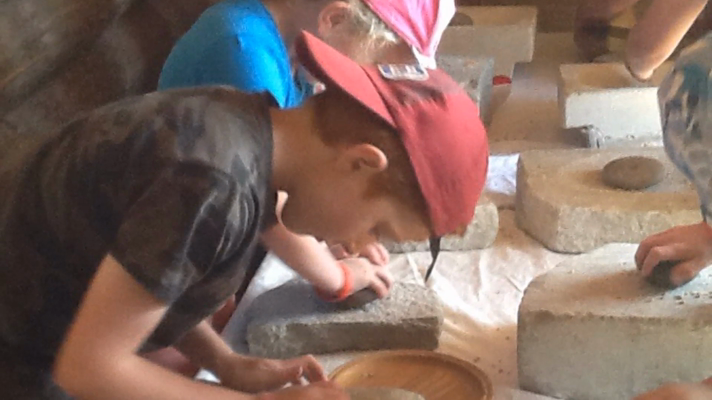 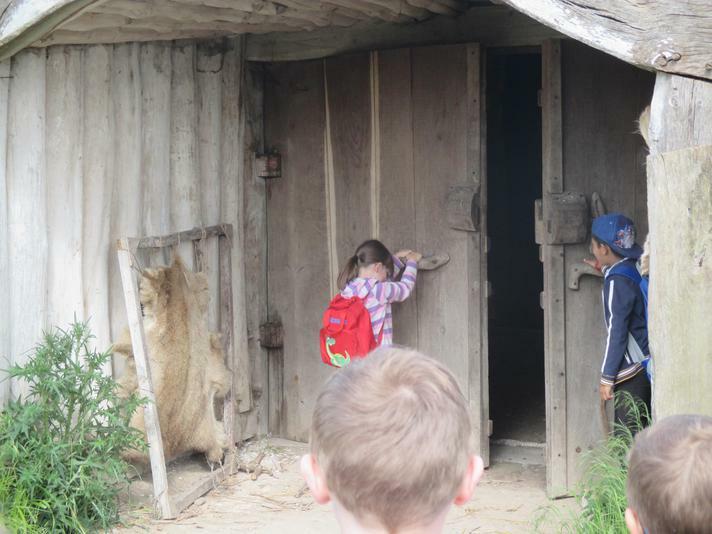 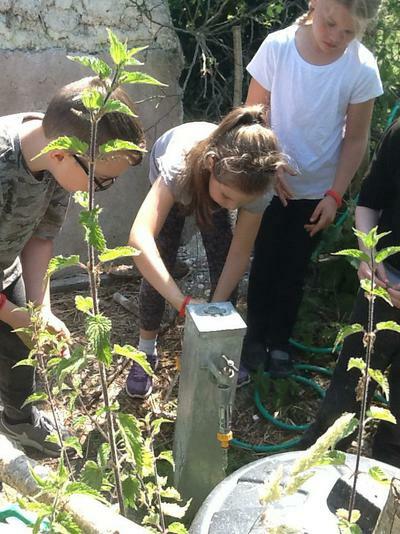 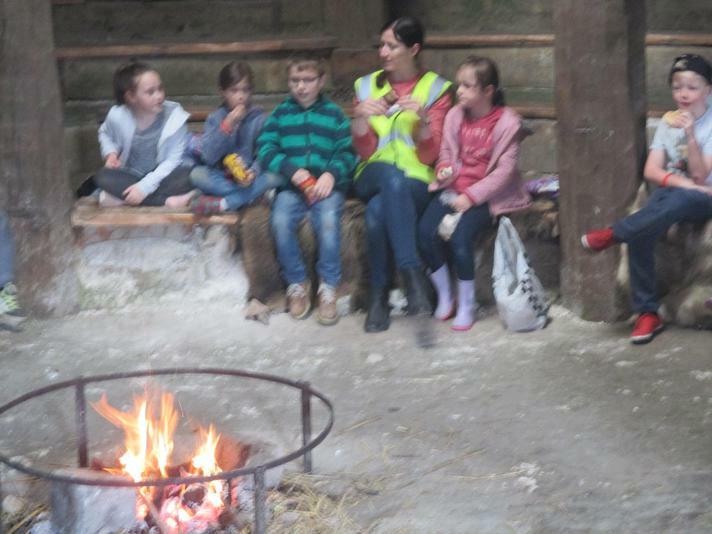 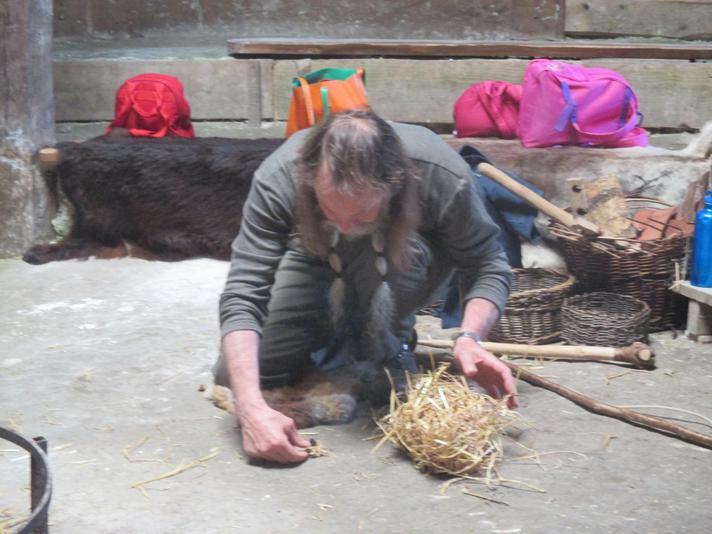 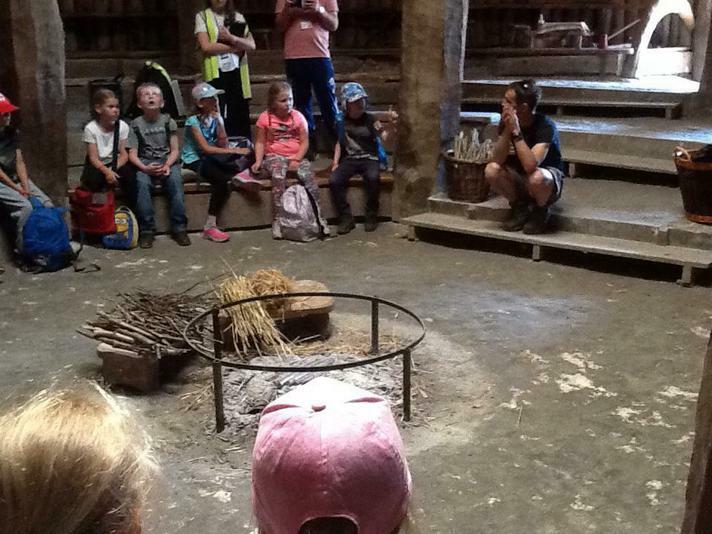 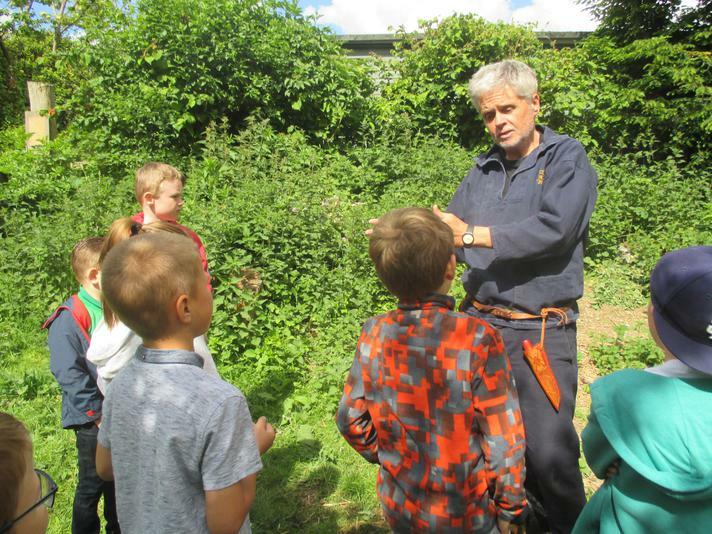 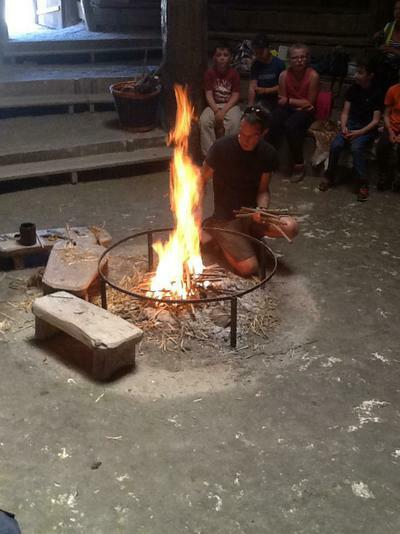 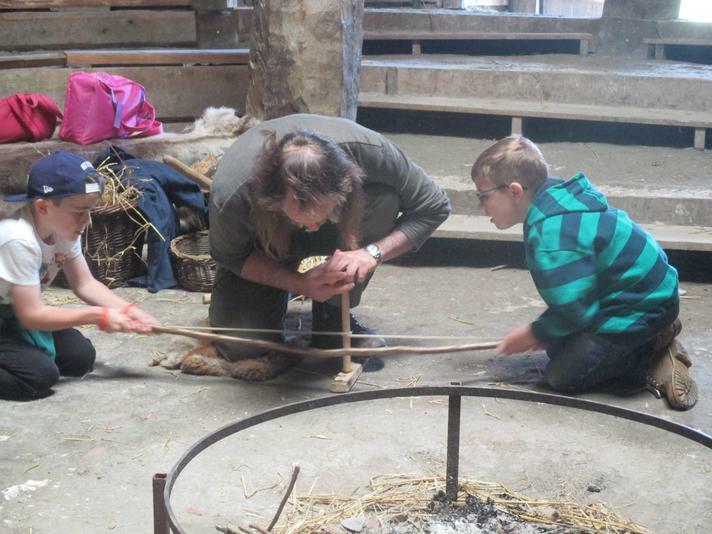 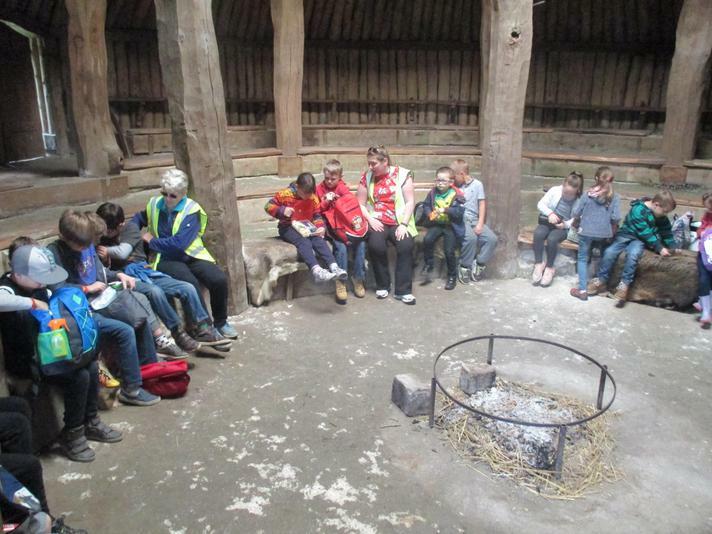 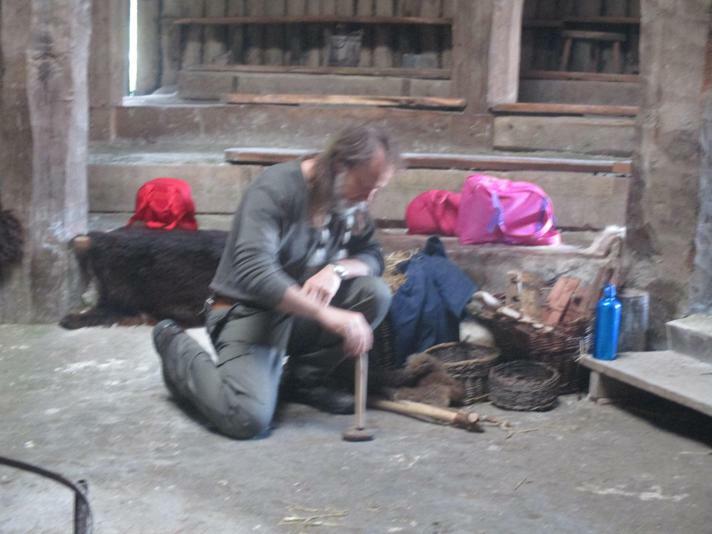 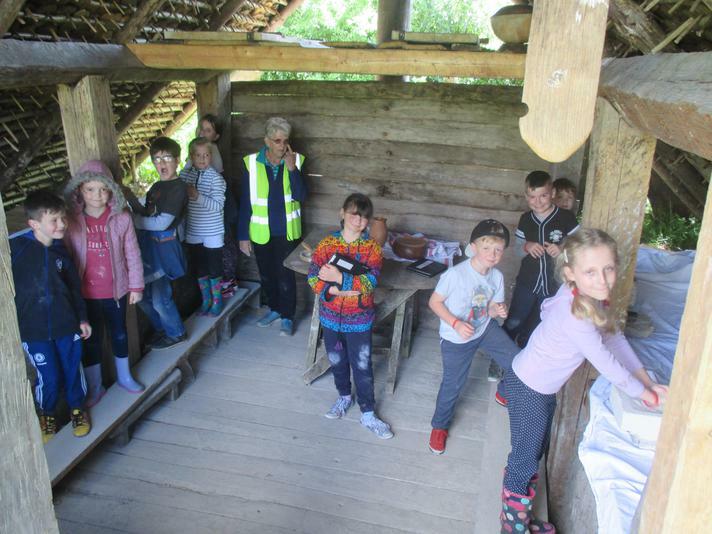 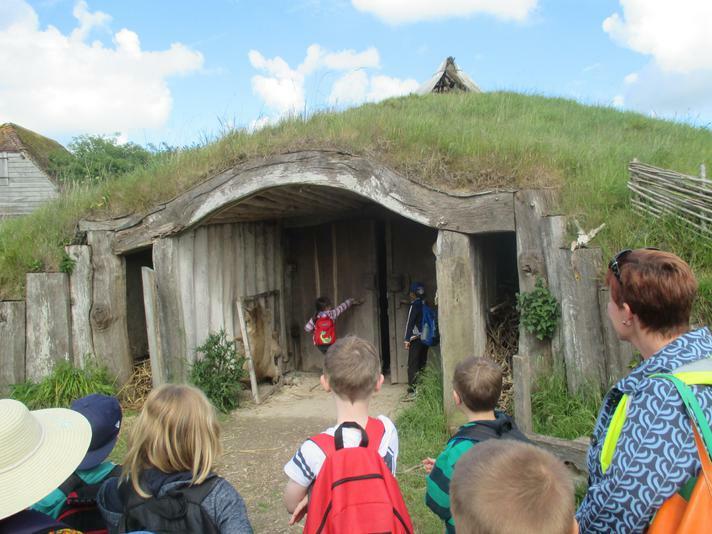 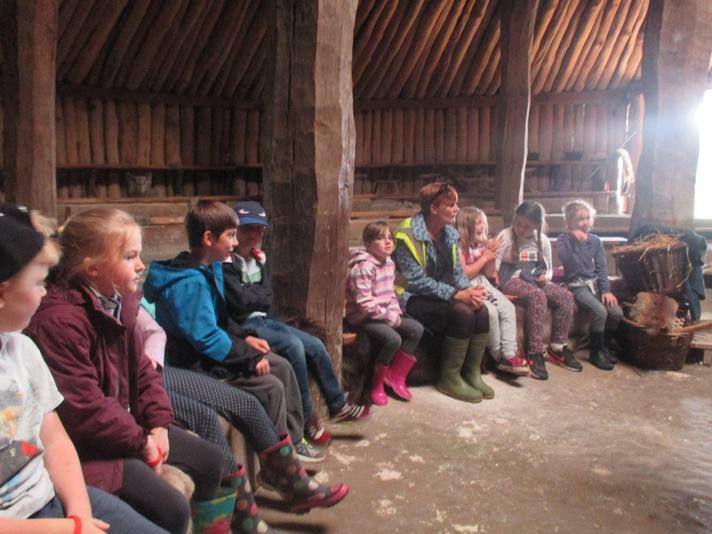 Summer Term - Wednesday 18 April 2018 Spectacular Stone Age WOW day! 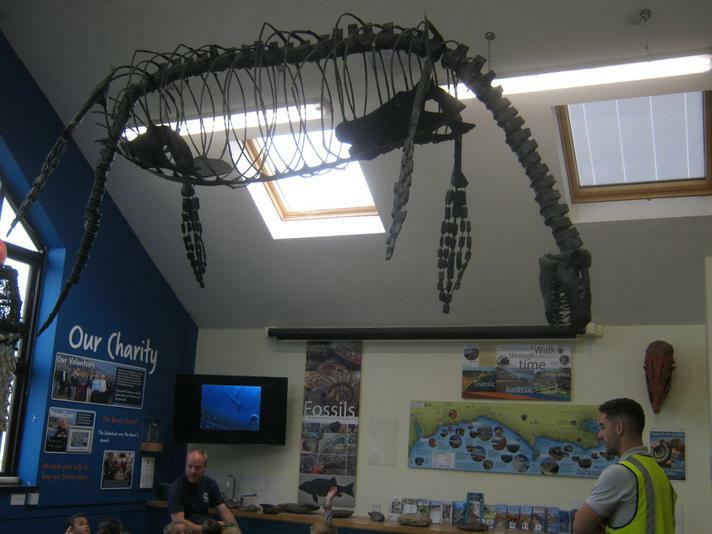 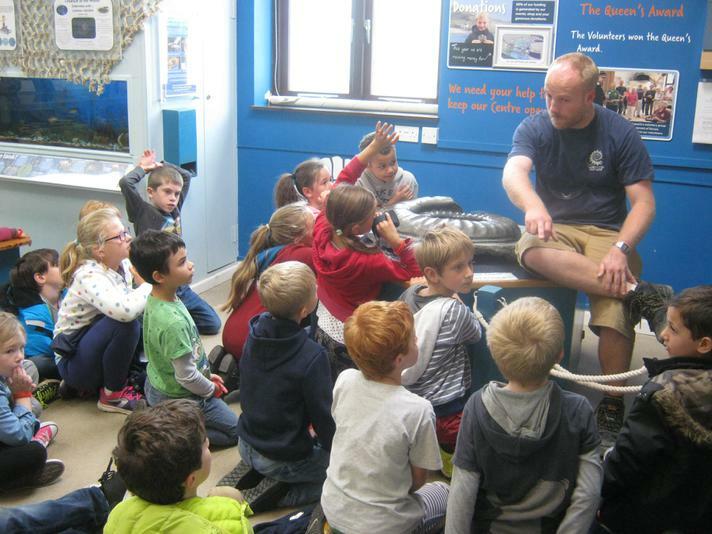 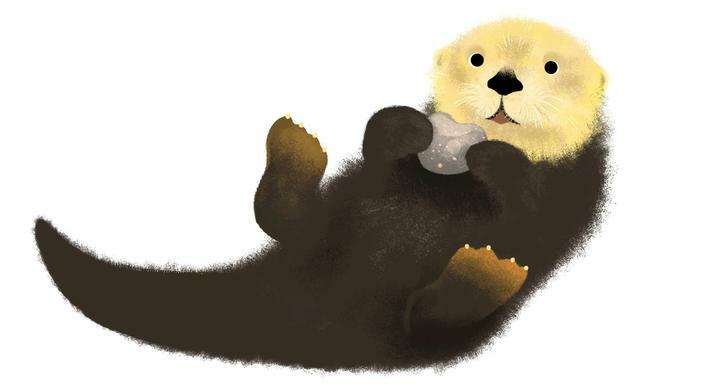 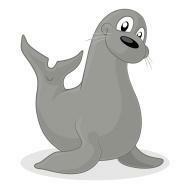 See what Sea Otters got up to! 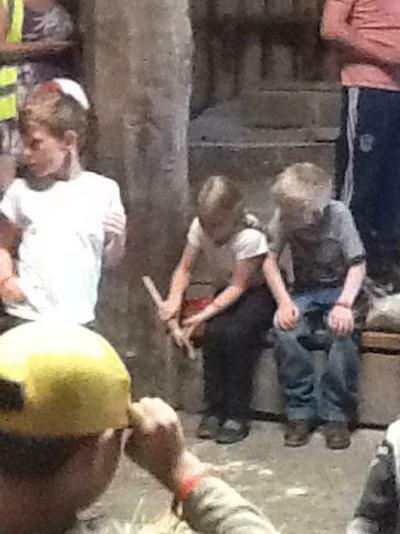 - of drums that is! 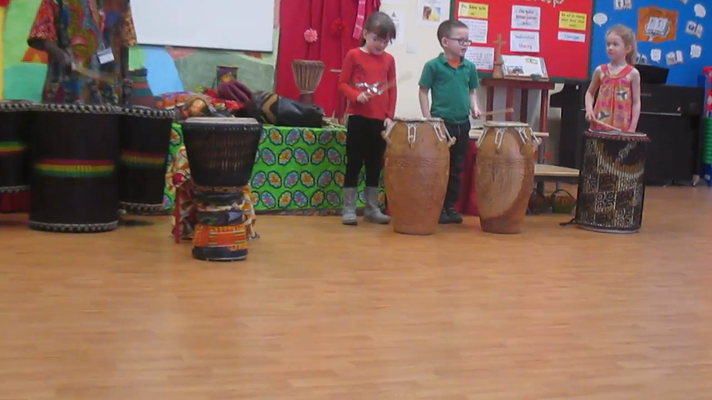 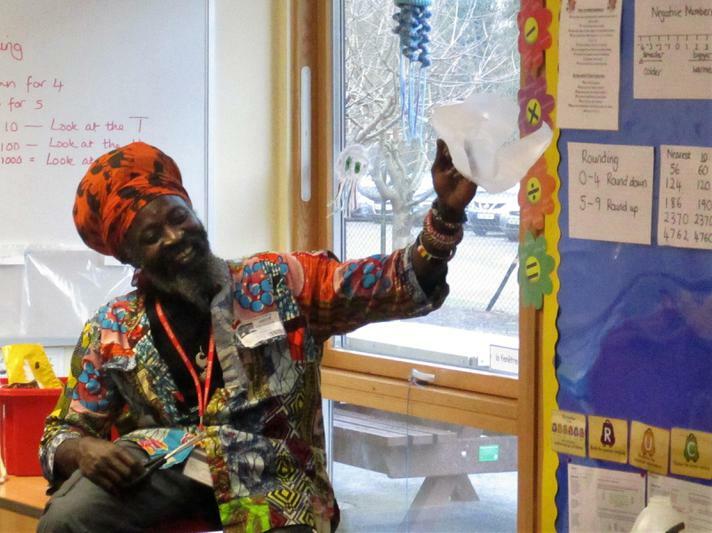 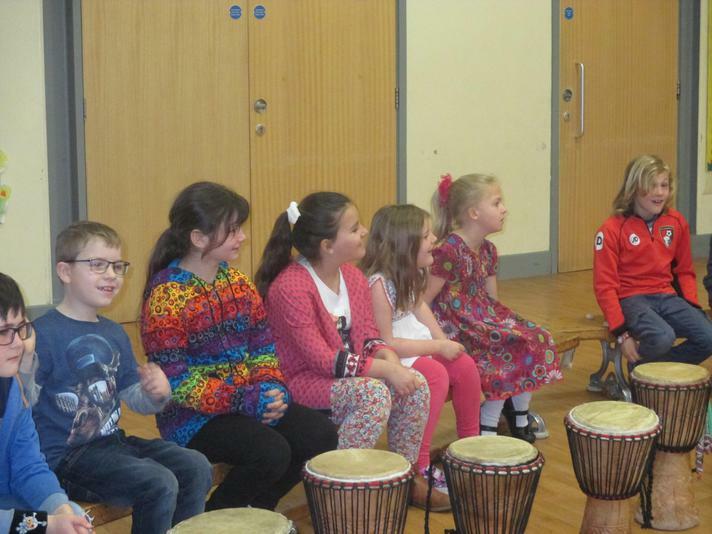 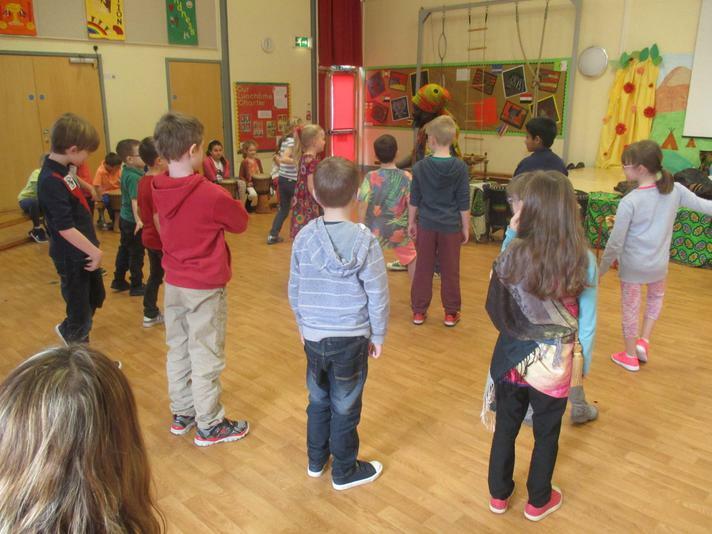 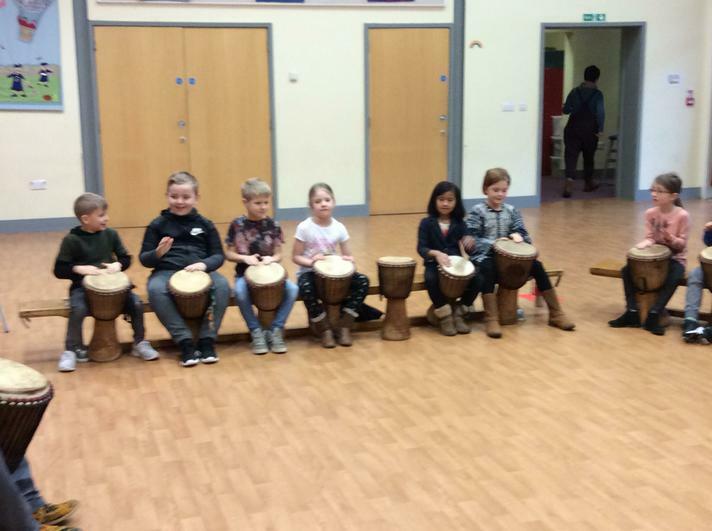 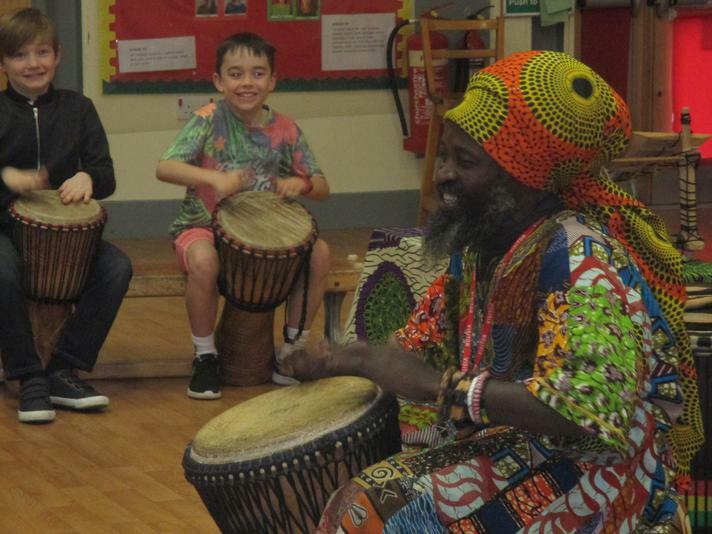 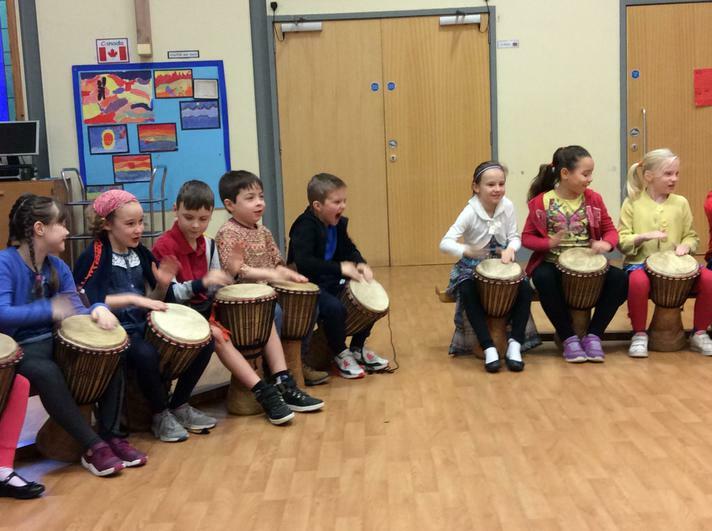 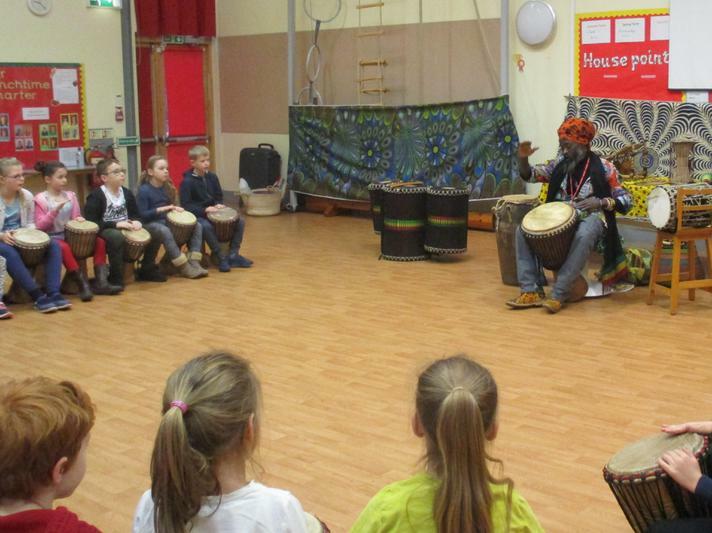 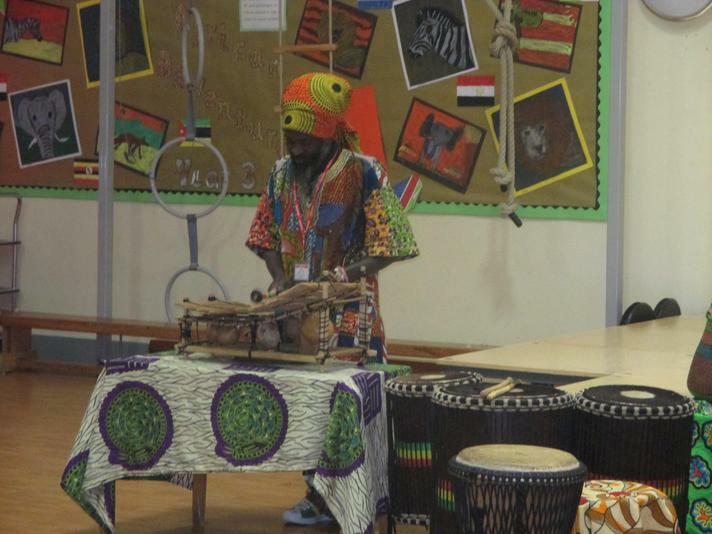 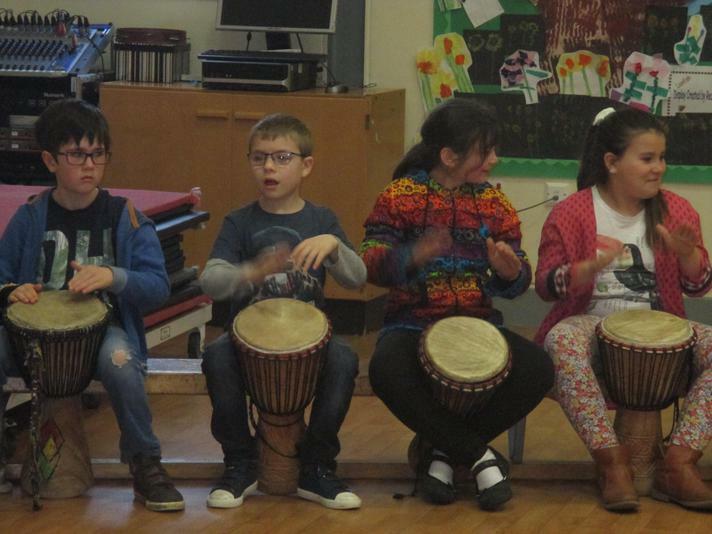 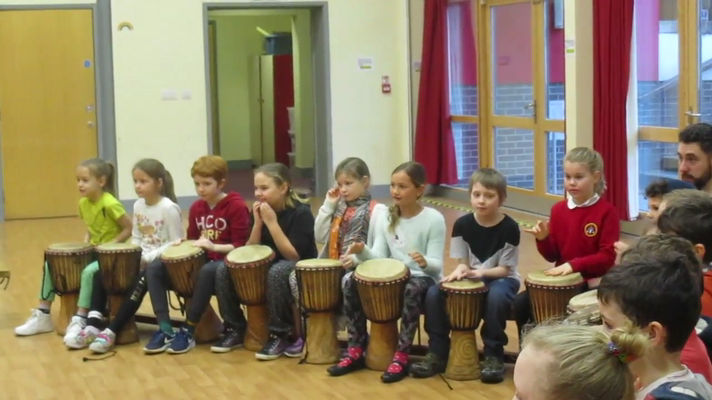 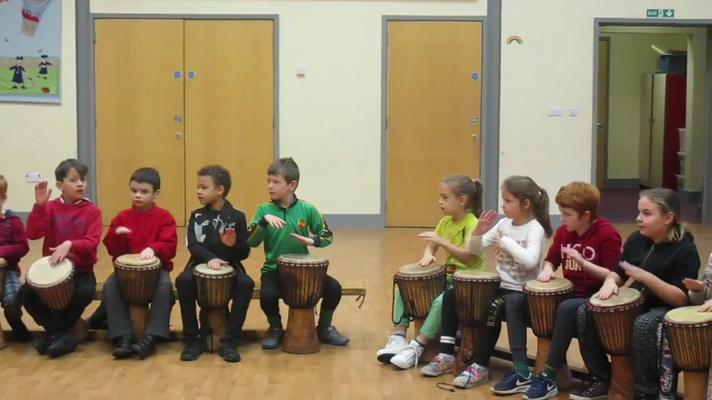 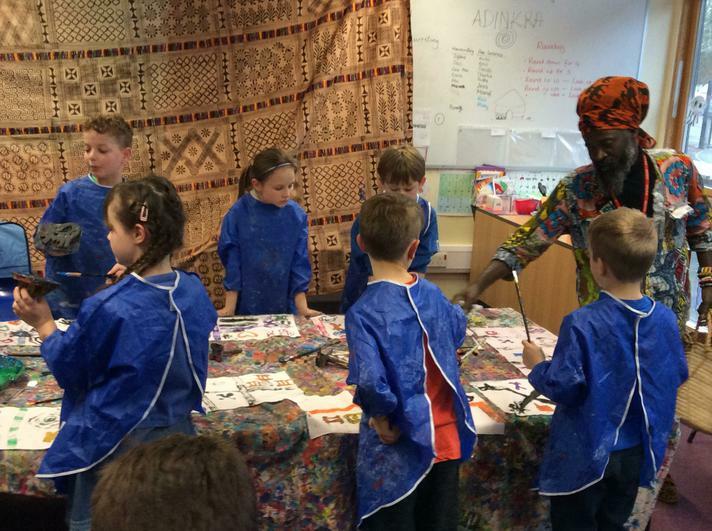 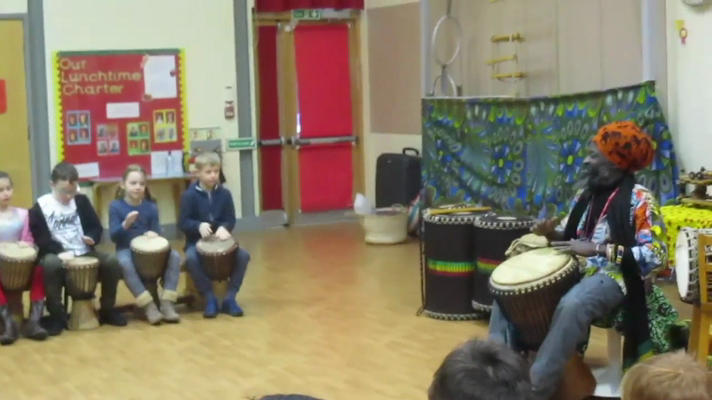 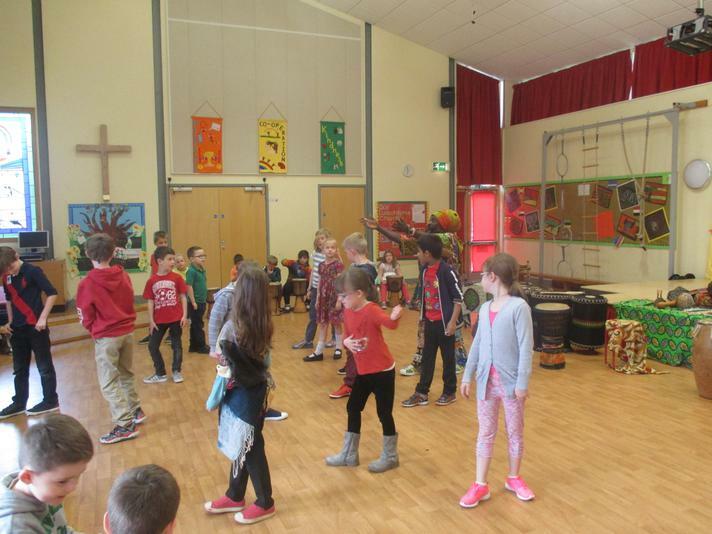 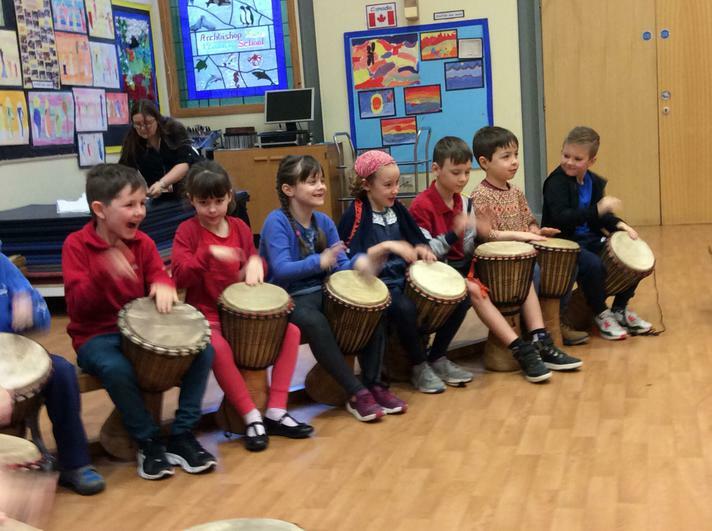 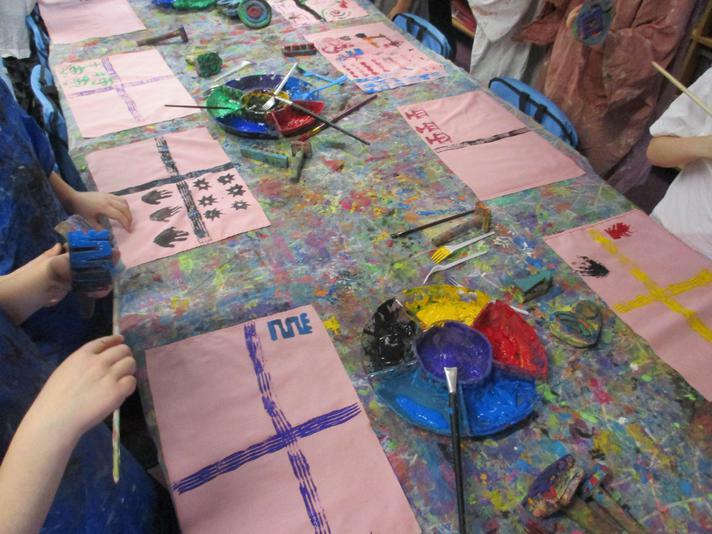 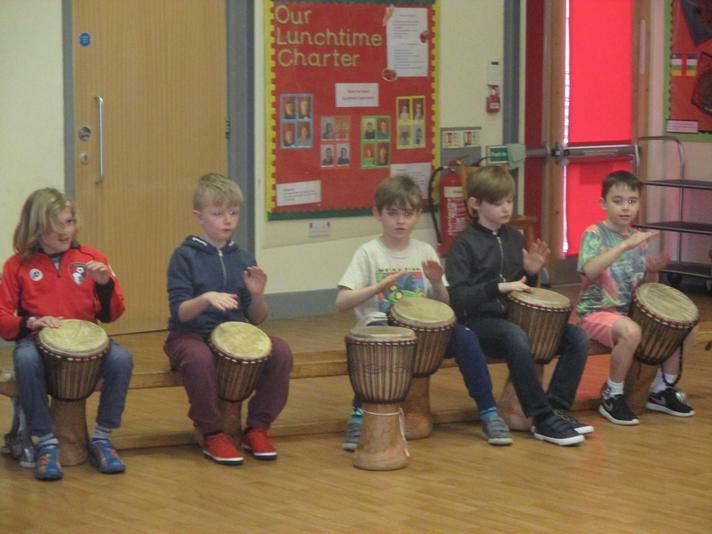 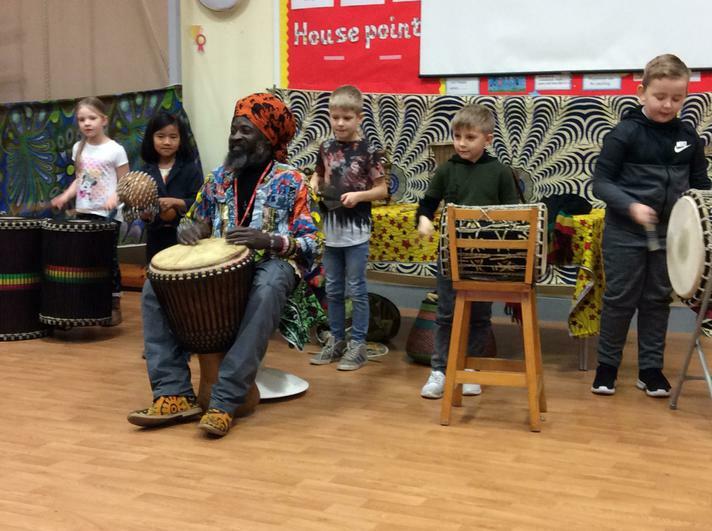 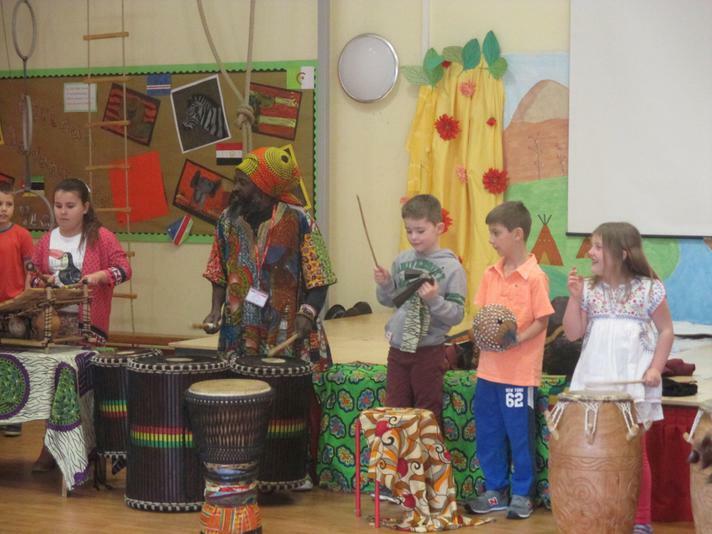 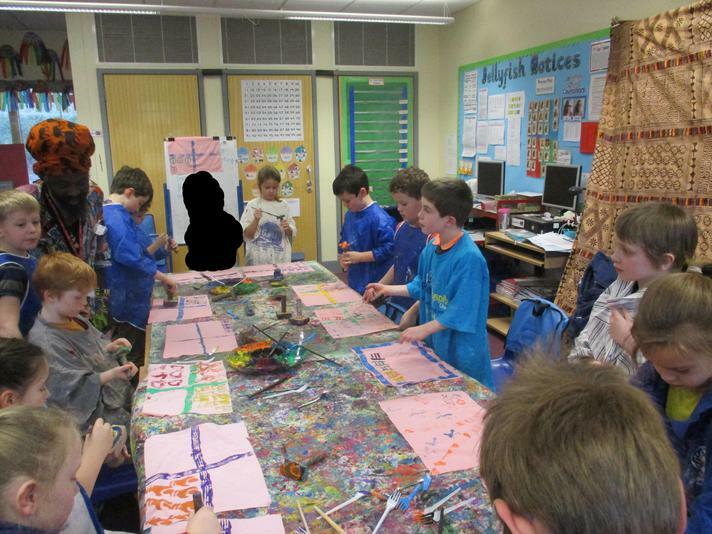 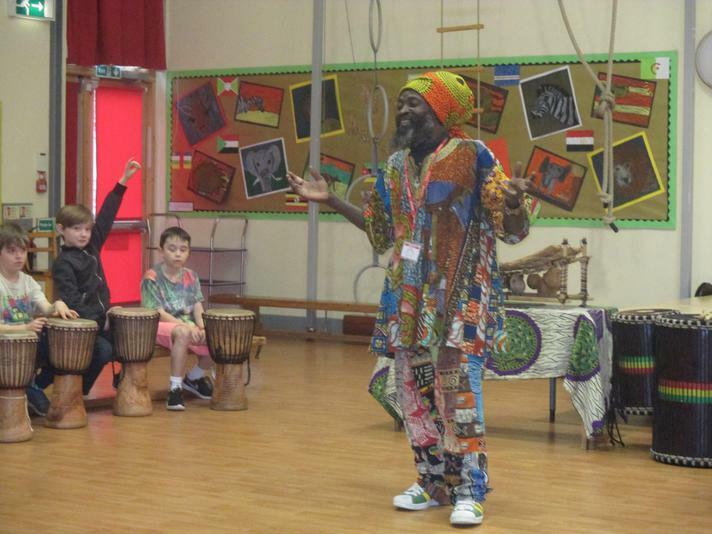 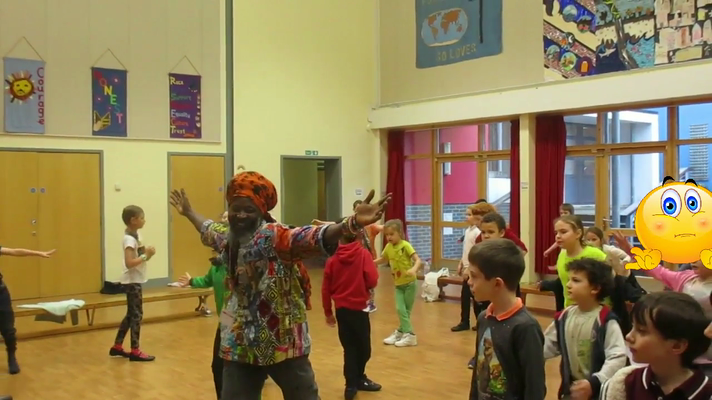 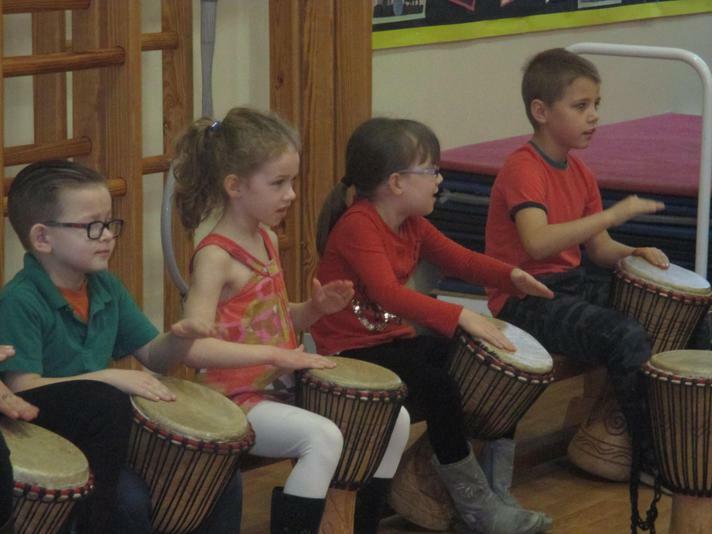 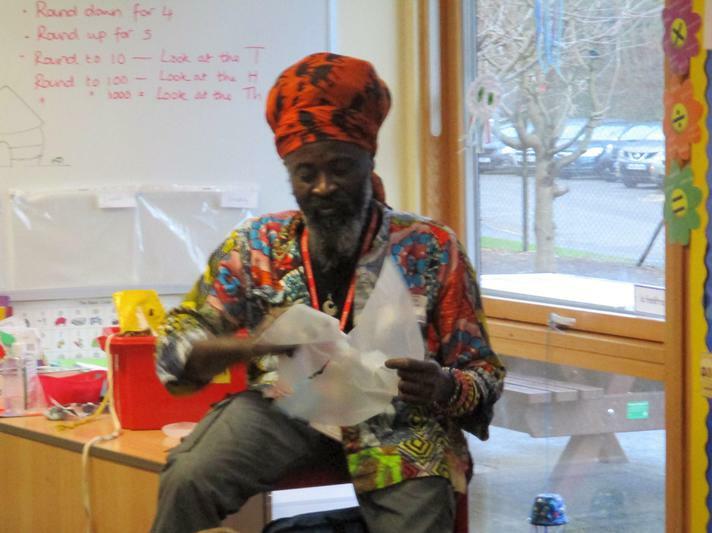 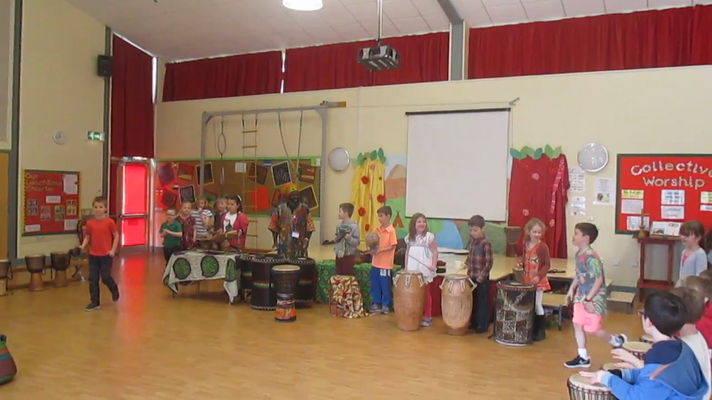 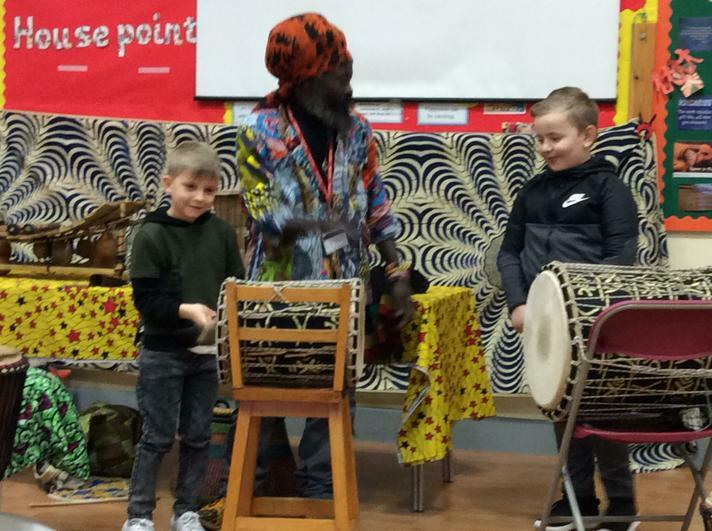 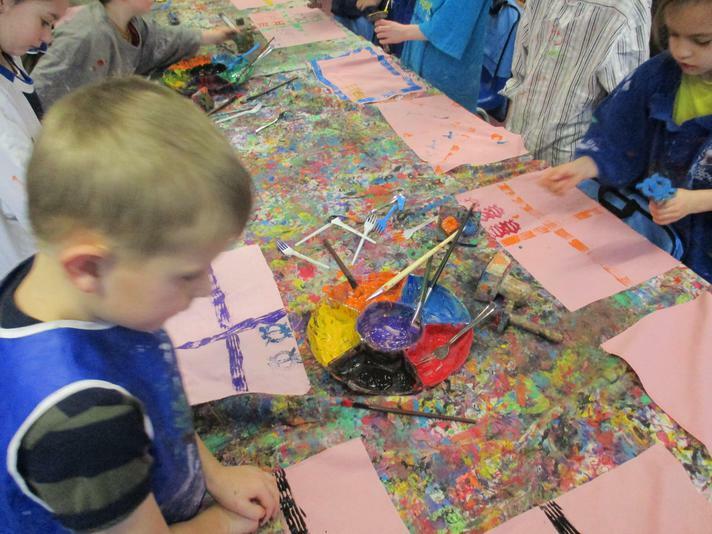 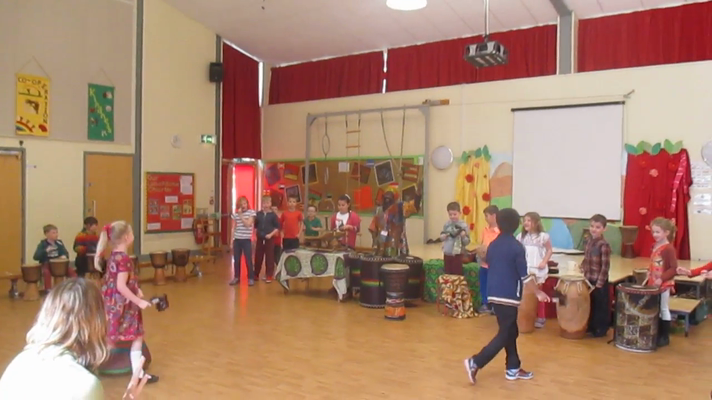 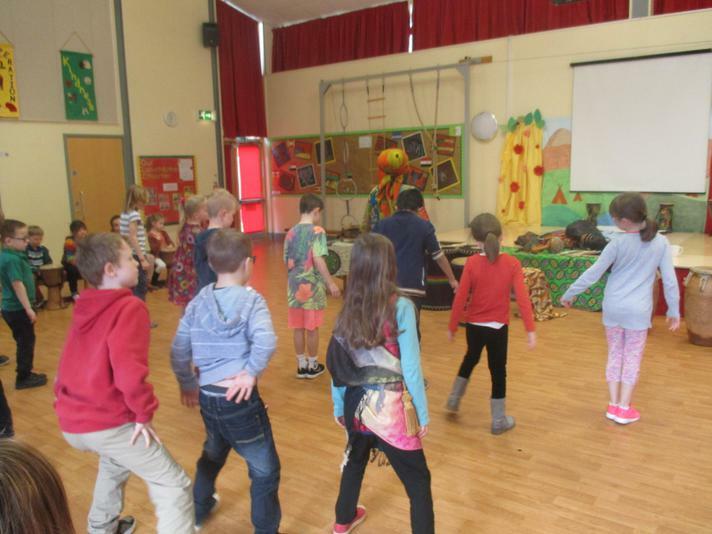 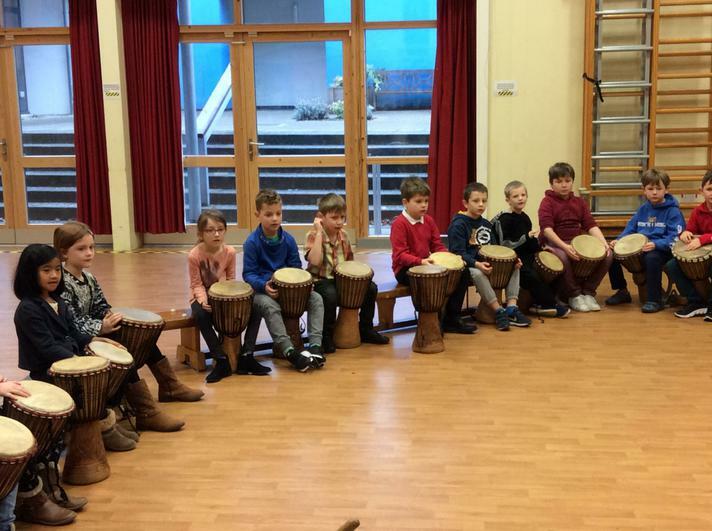 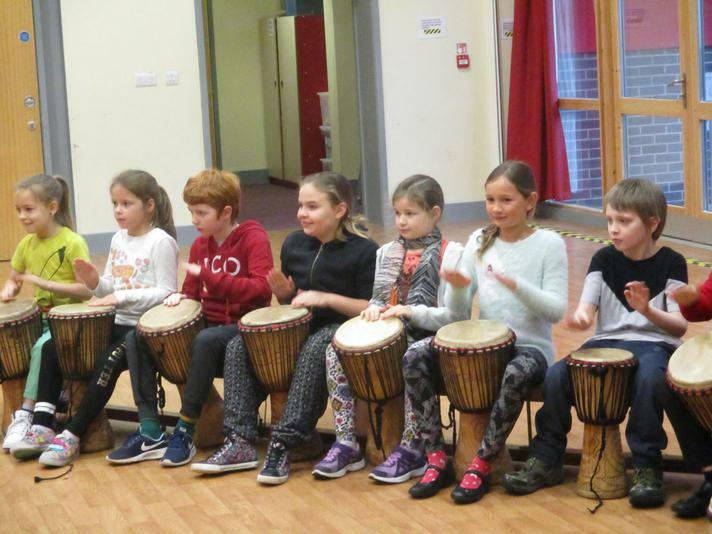 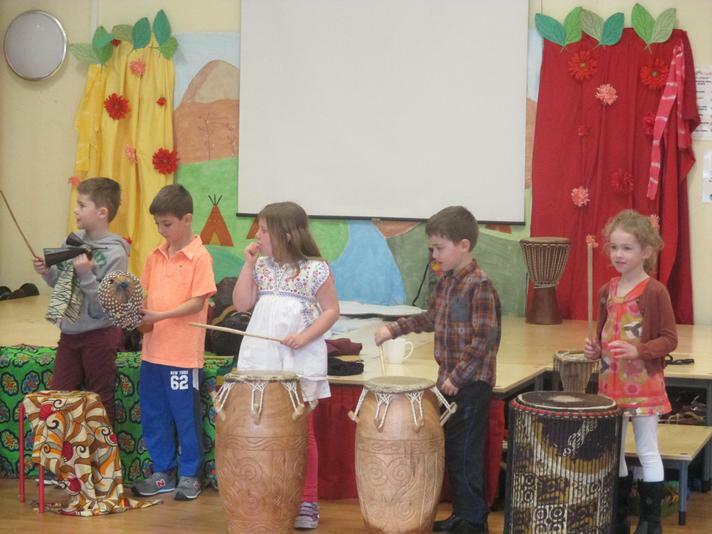 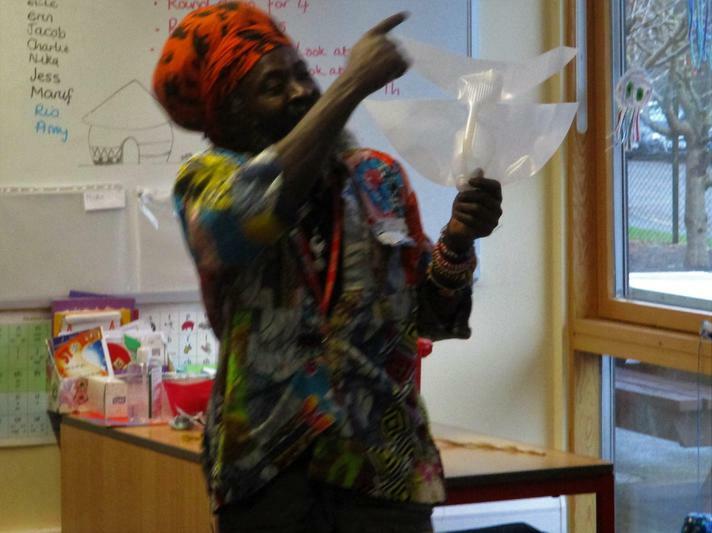 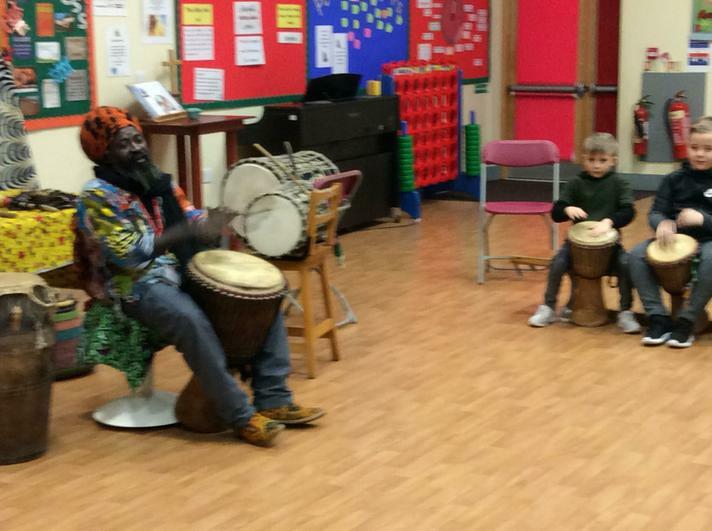 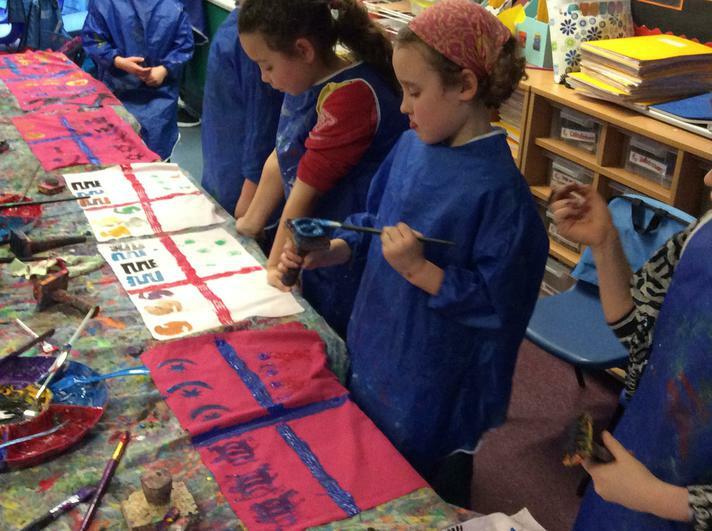 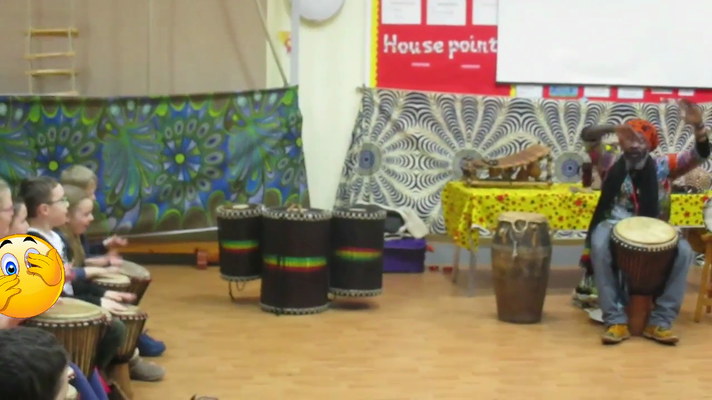 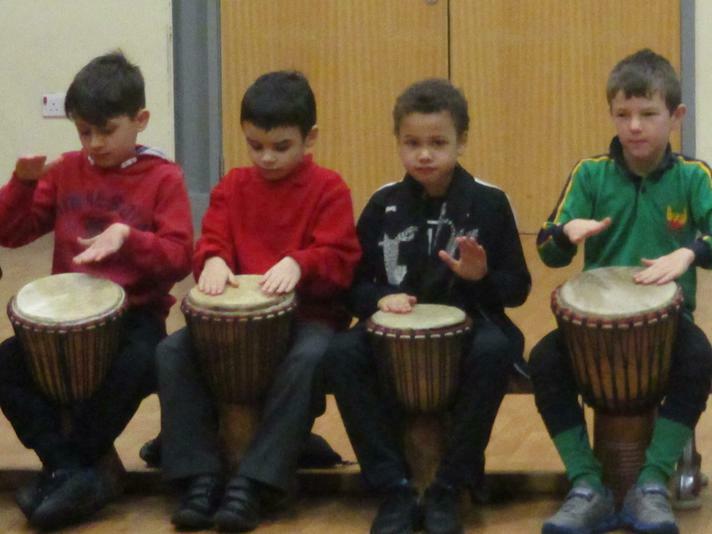 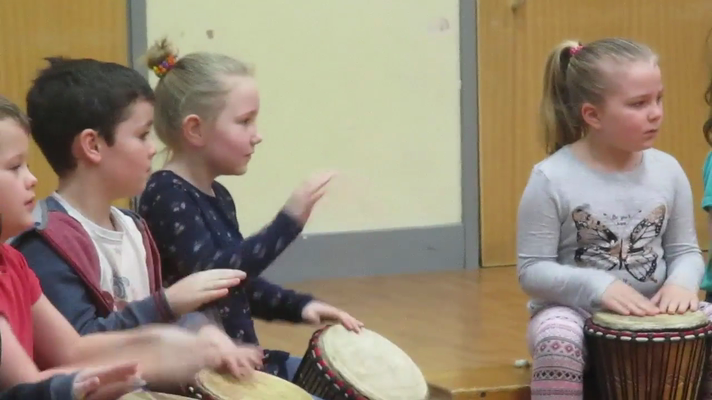 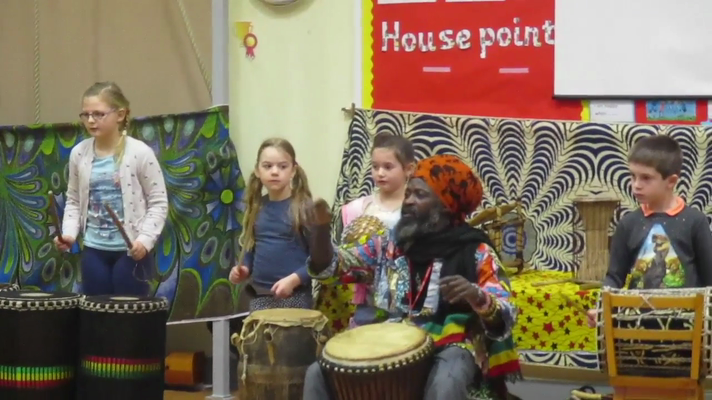 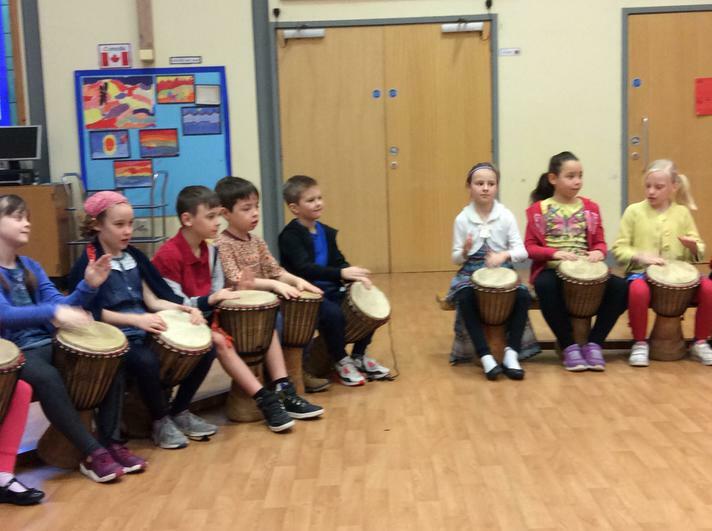 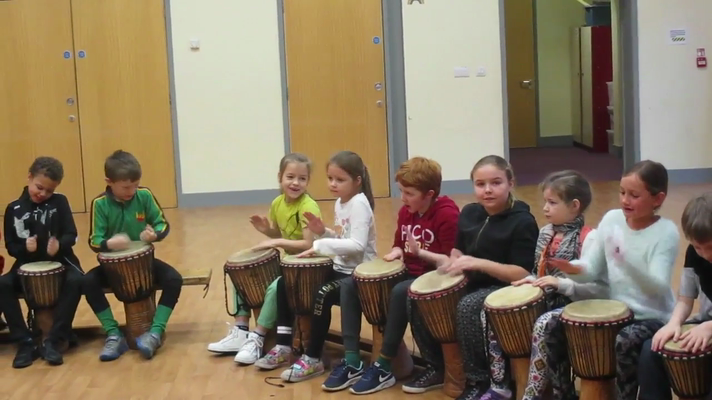 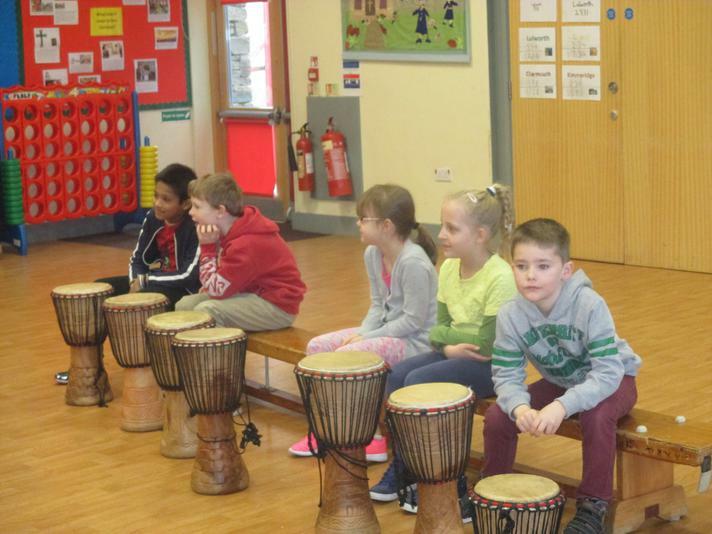 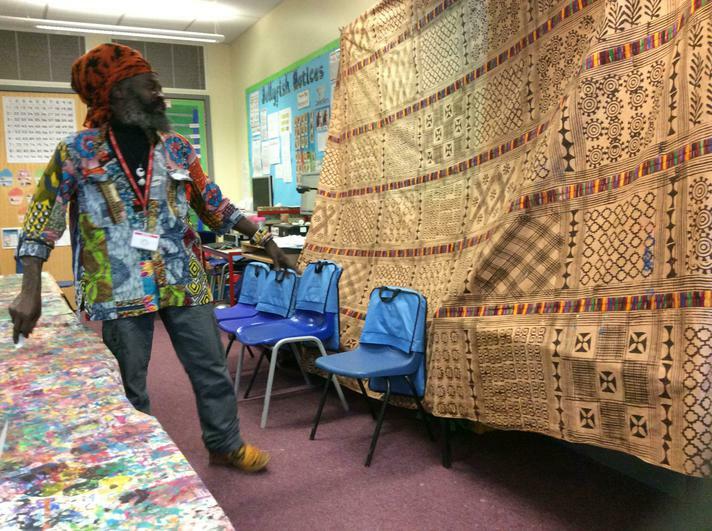 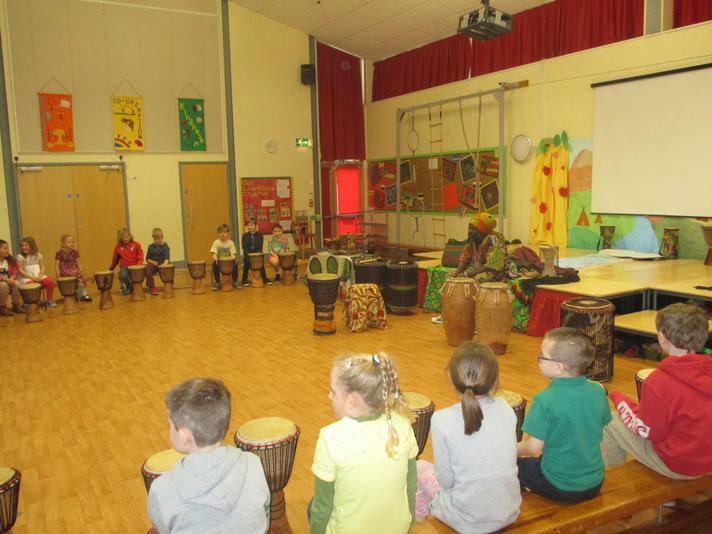 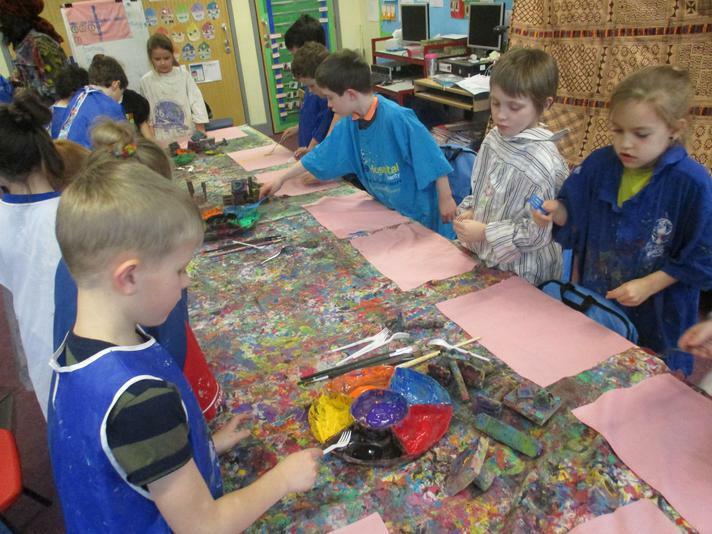 Today, 9 January, we celebrated our new topic "Africa" with drums, dance, painting and baking! 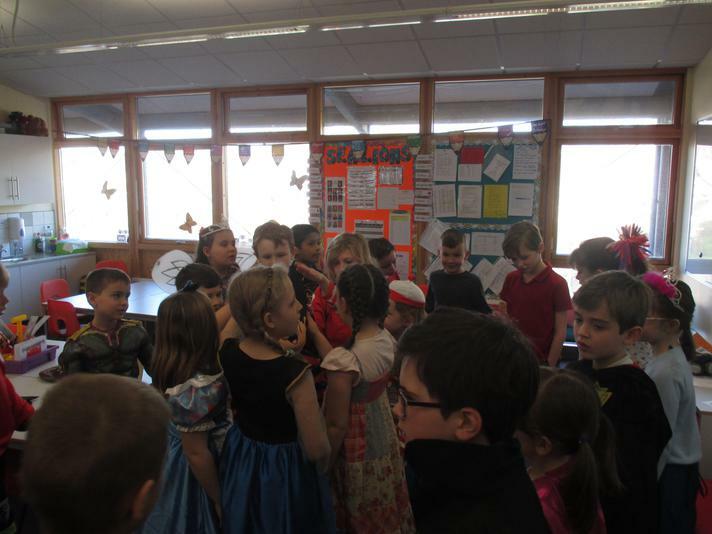 We enjoyed our CR8 day. 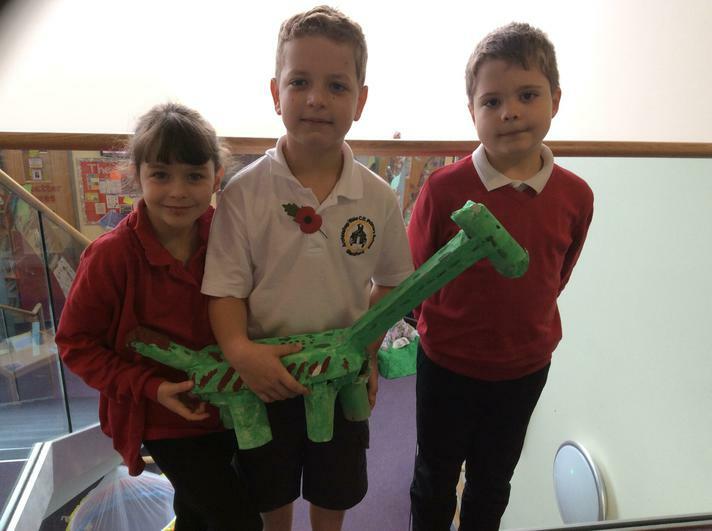 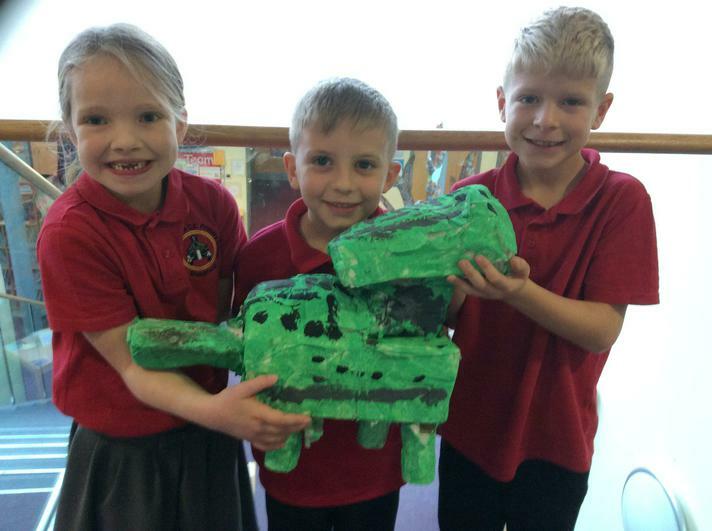 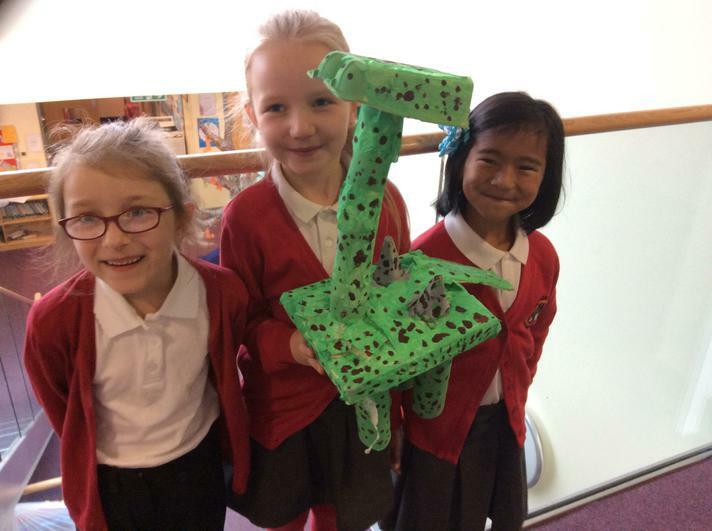 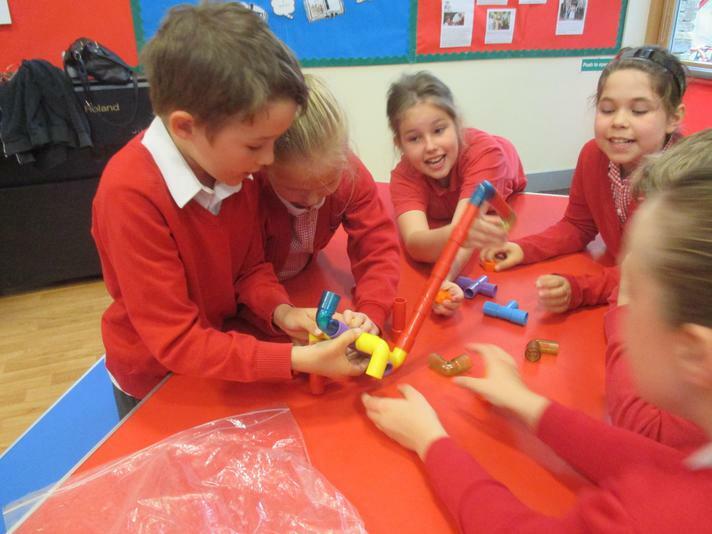 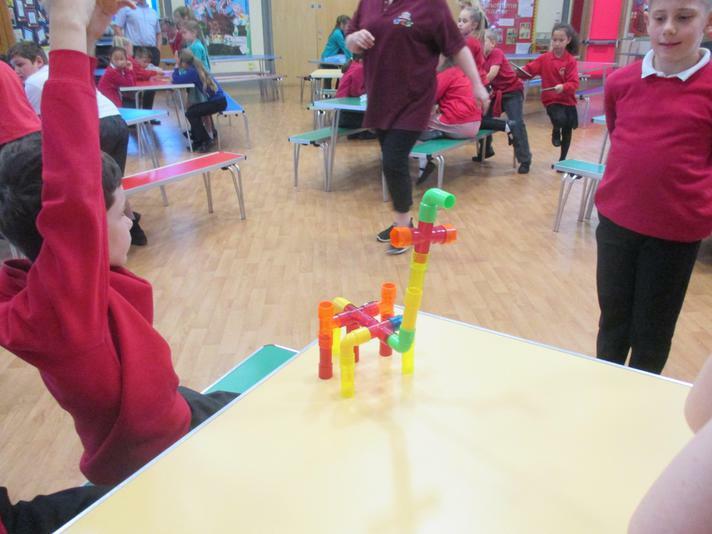 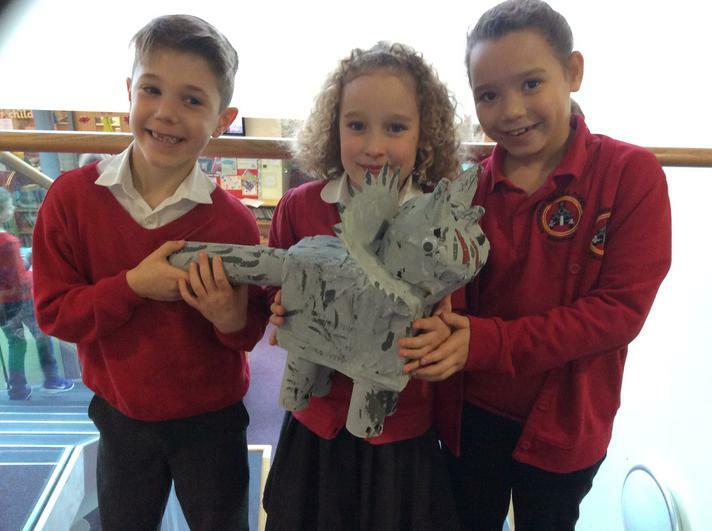 We co-operated to make our dinosaurs. 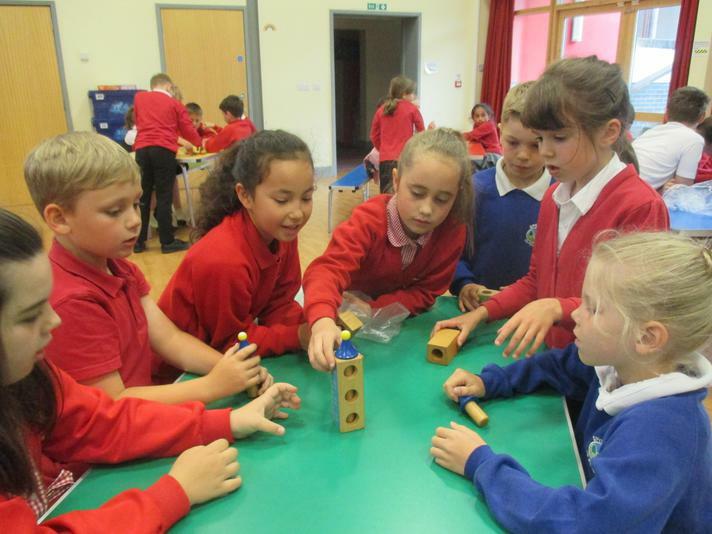 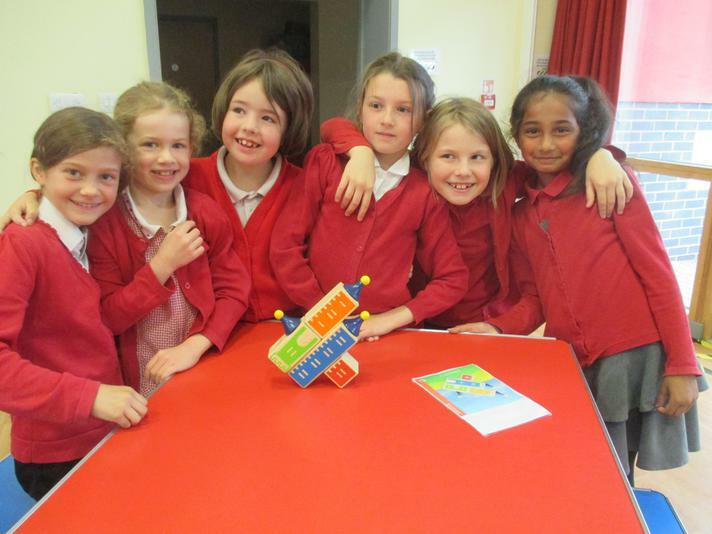 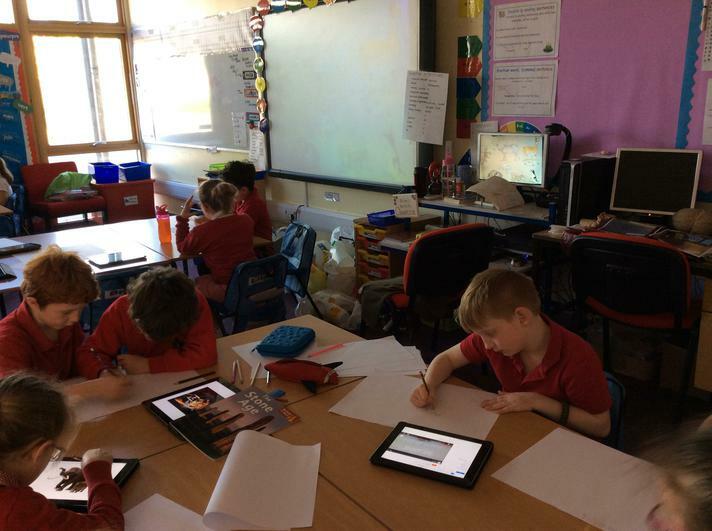 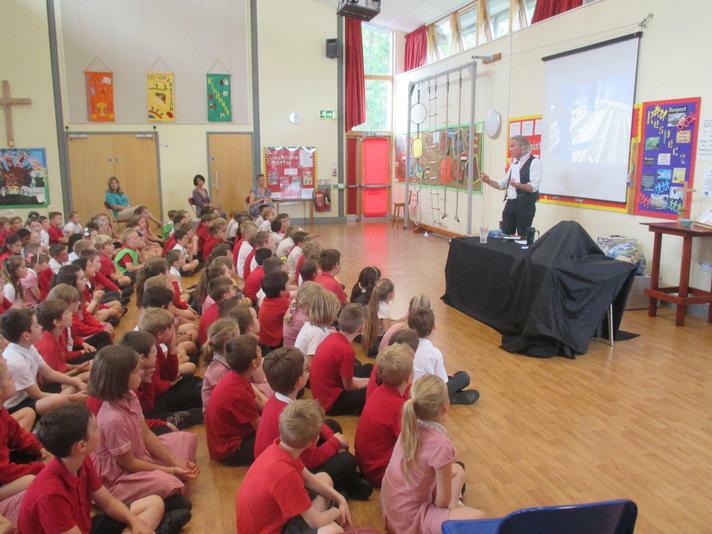 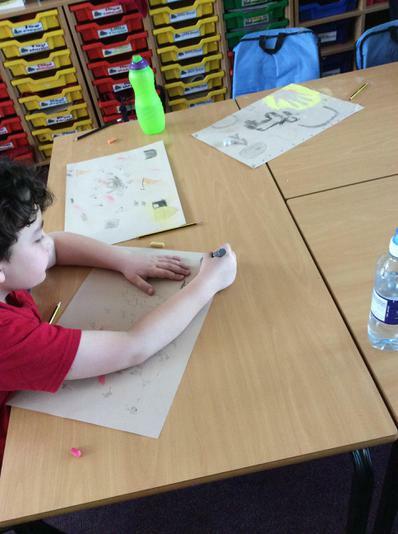 Children learnt about the Wright Brothers, the Montgolfier Brothers and Amelia Earhart. 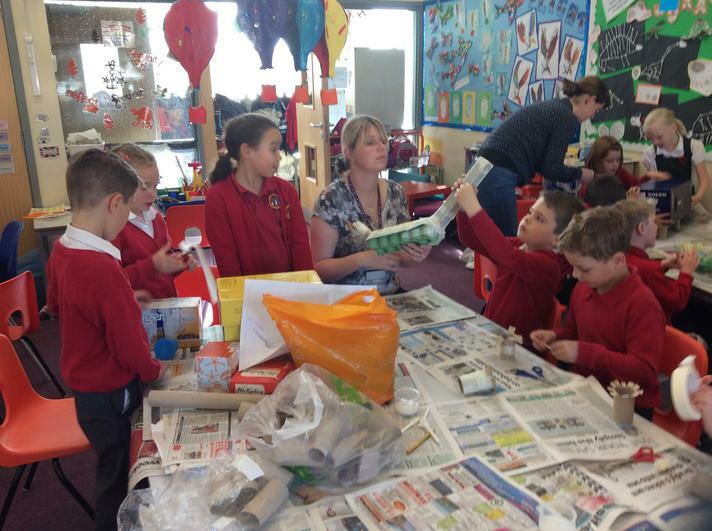 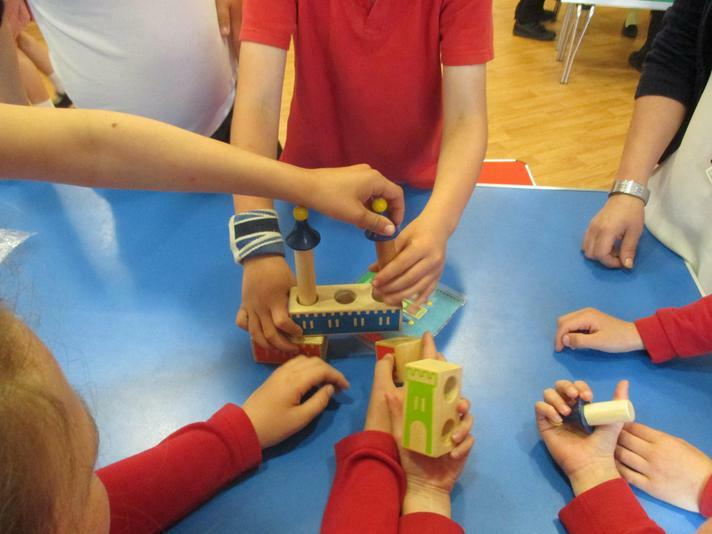 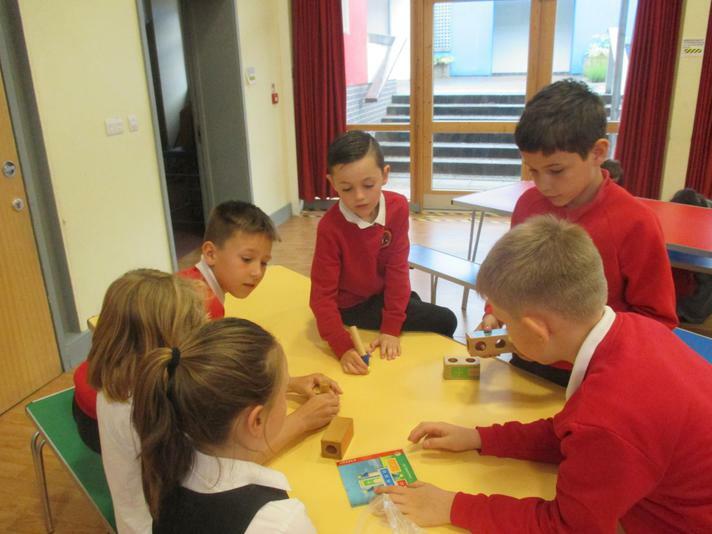 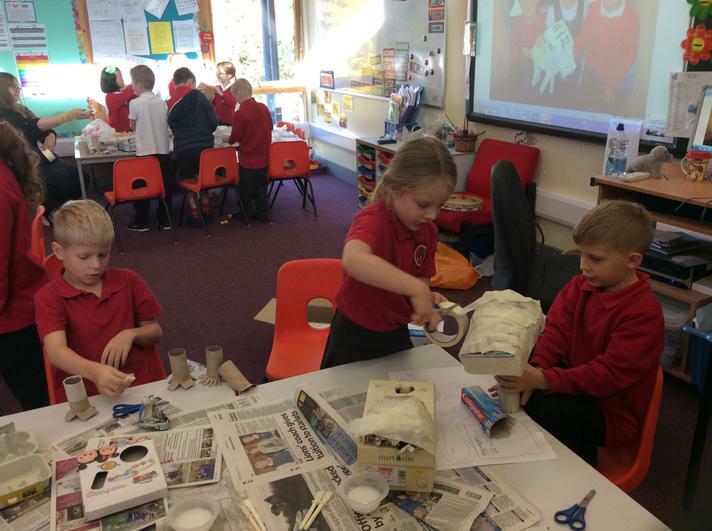 Sea Otters made junk model planes as well as designing and making their own bi-planes using wooden pegs and lolly sticks. 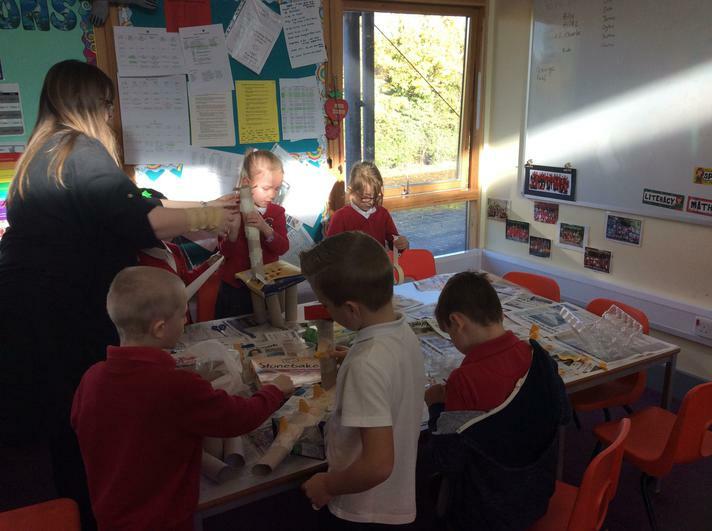 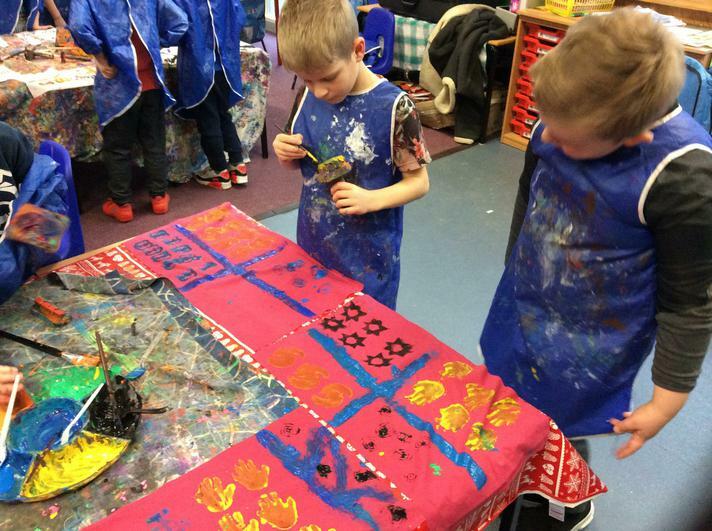 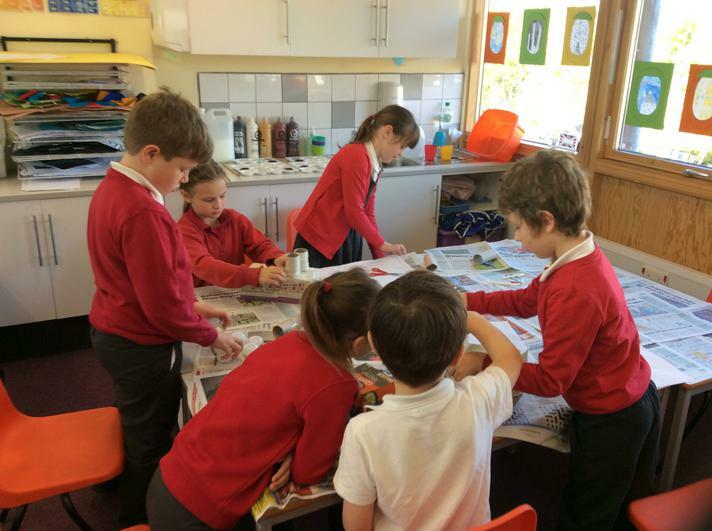 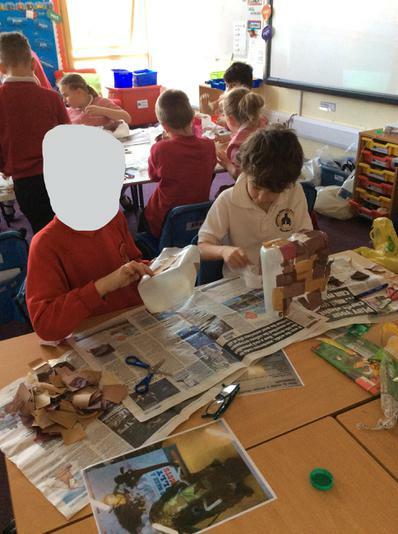 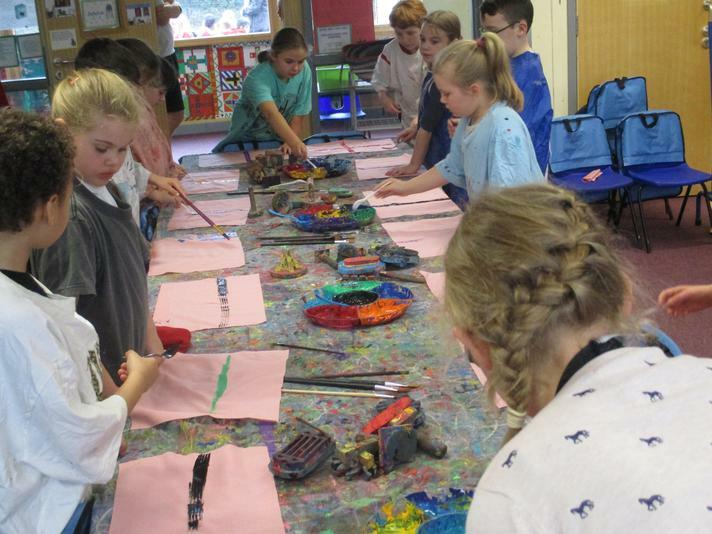 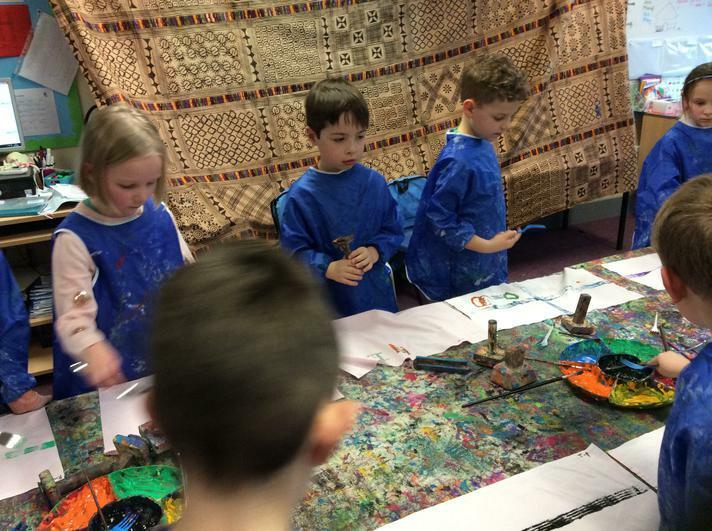 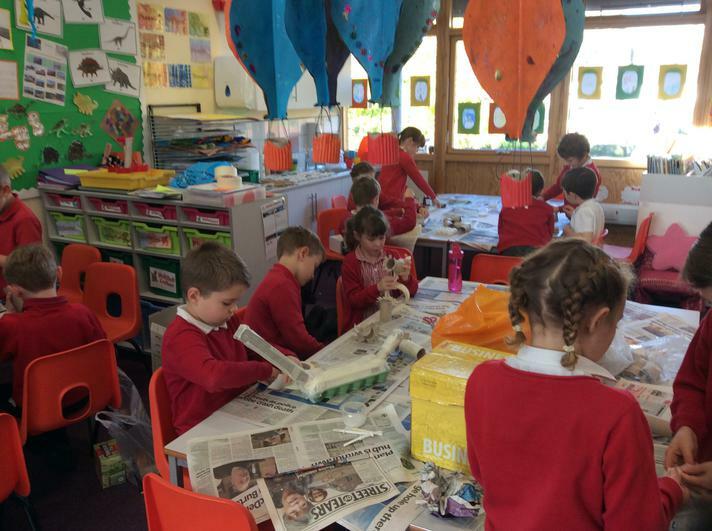 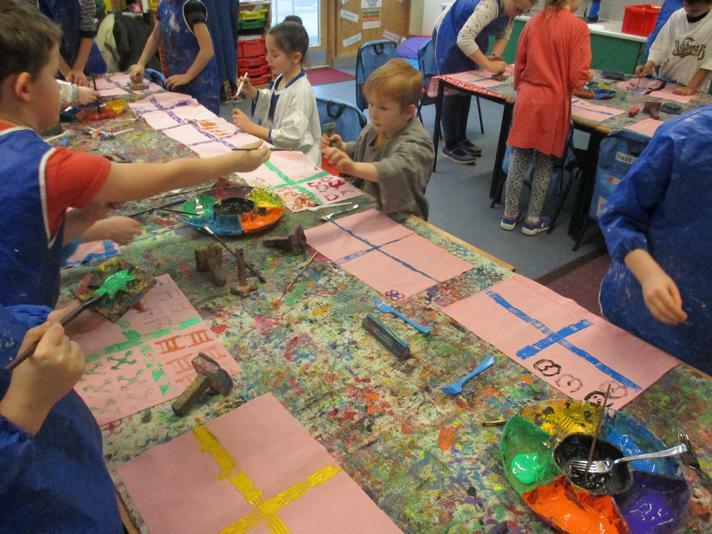 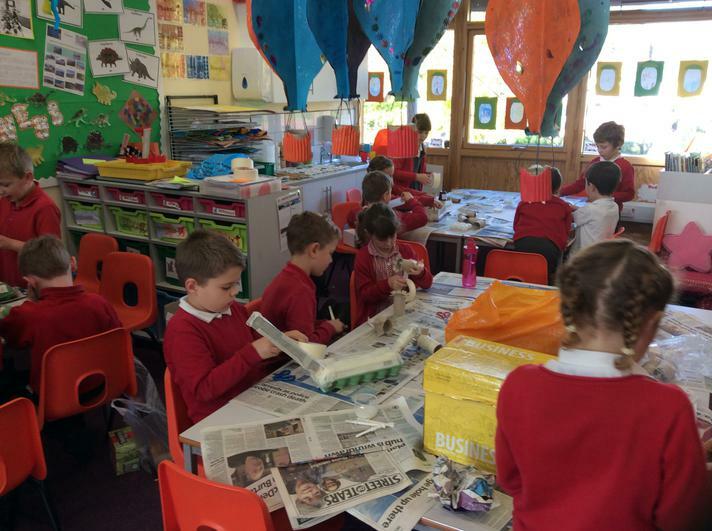 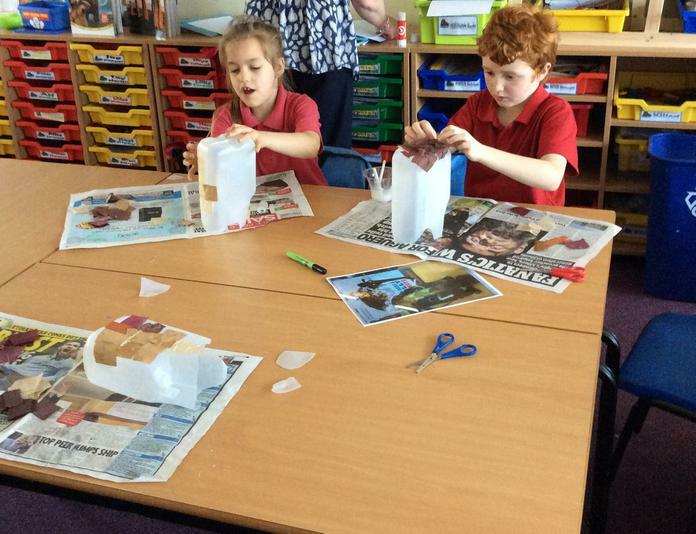 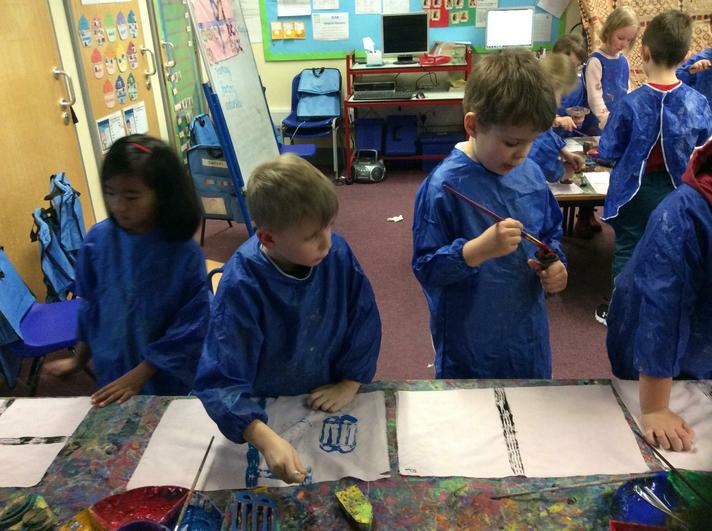 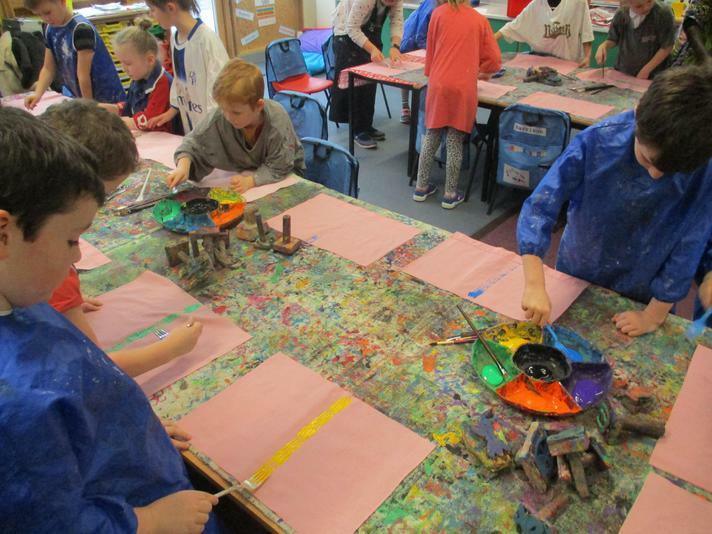 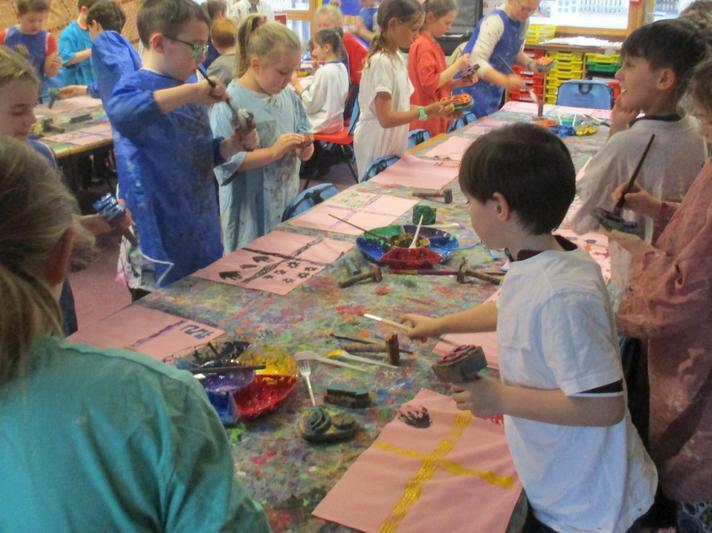 They designed their own Hot Air Balloons and made 3D models, they also collaged aeroplanes and designed bird wings using paint drops and blowing the paint with a straw. 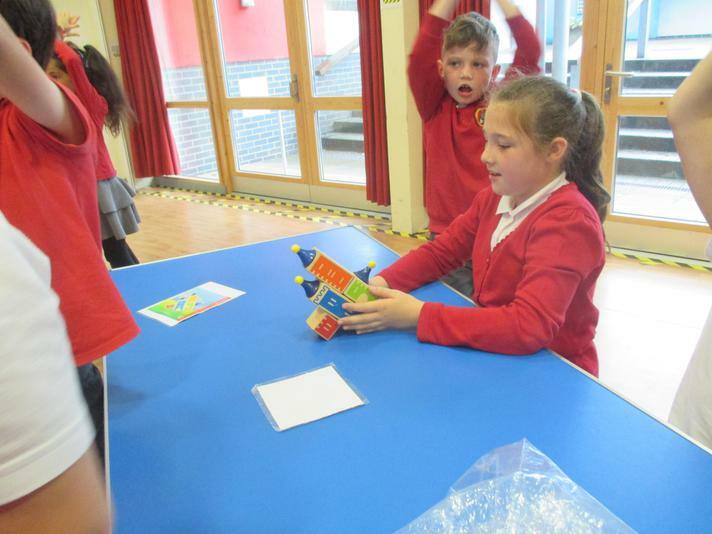 We also had a paper plane competition and a science experiment to see who could keep their egg from breaking when dropped from a height! 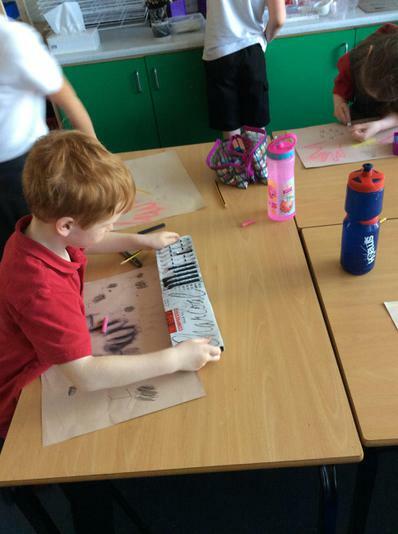 The children had a chance to draw a "birds eye view" perspective for the windows of the aeroplane we created in Sea Otters classroom. 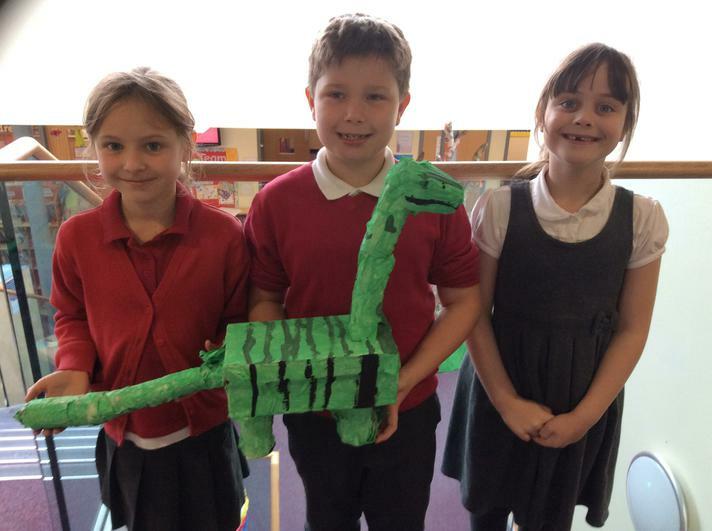 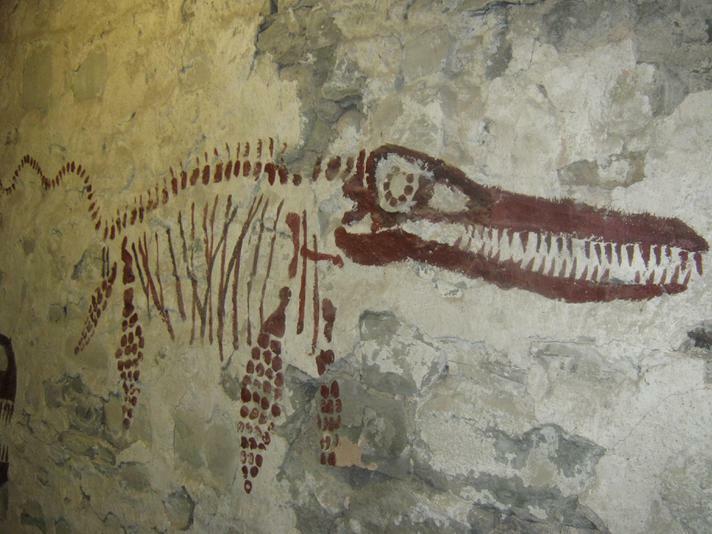 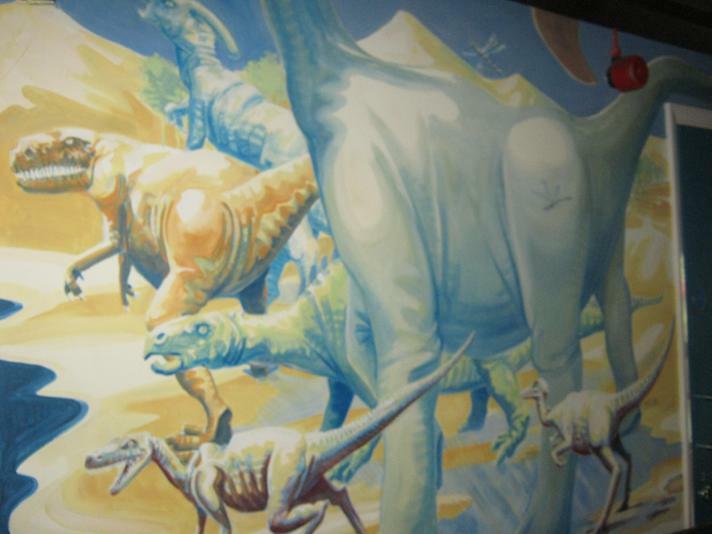 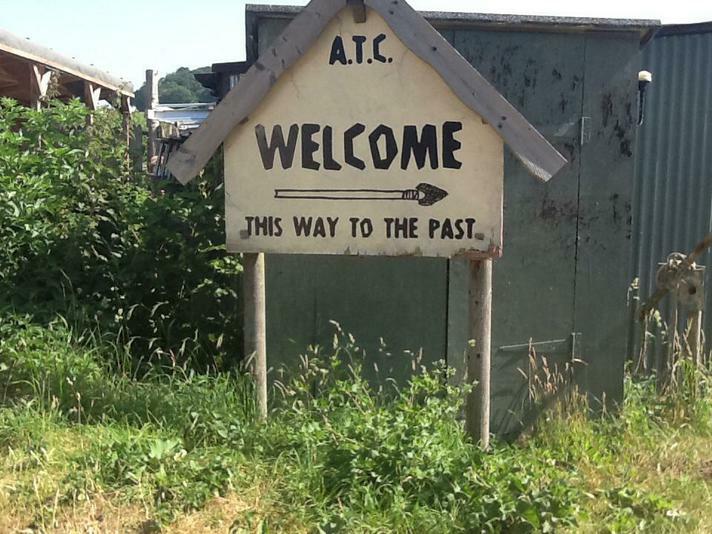 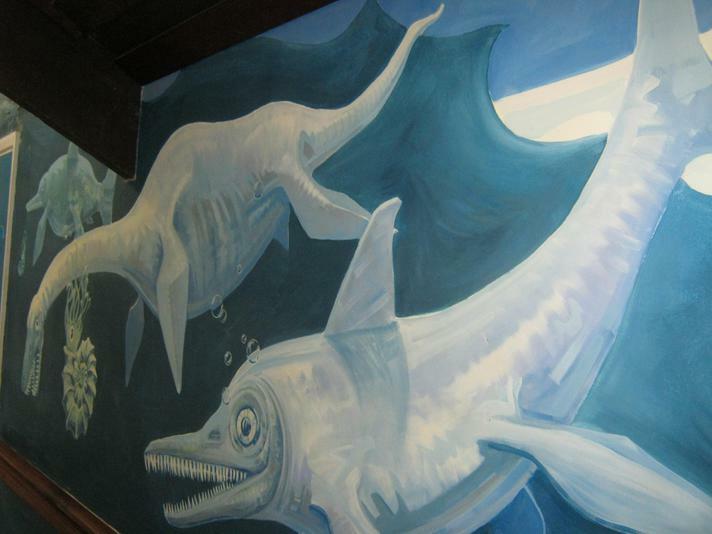 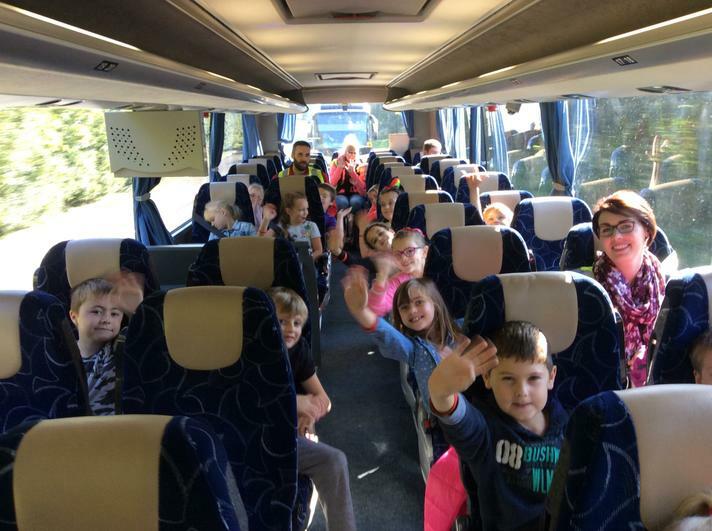 Our new and exciting year started off with a trip back in time to the Land Of The Dinosaurs! 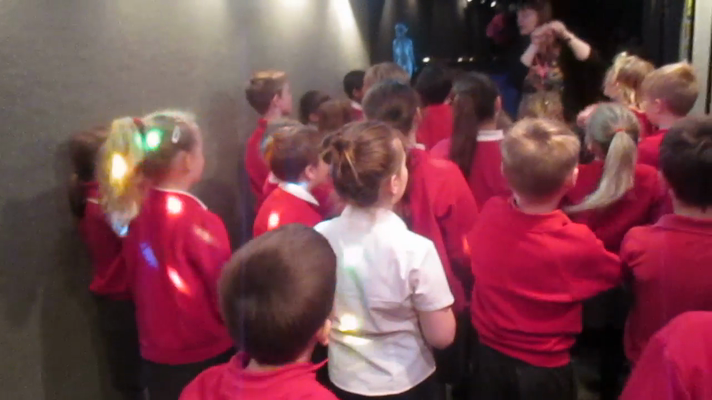 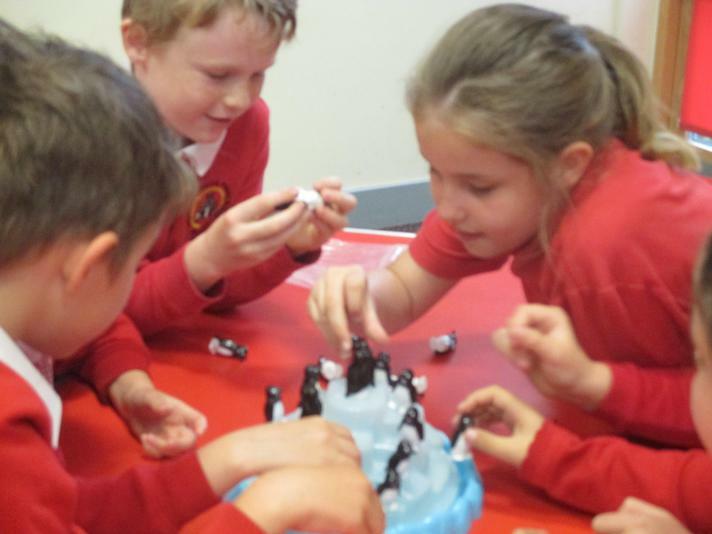 Both Year 3 Classes were thrown back into History through the amazingly fantastic Science Dome today. 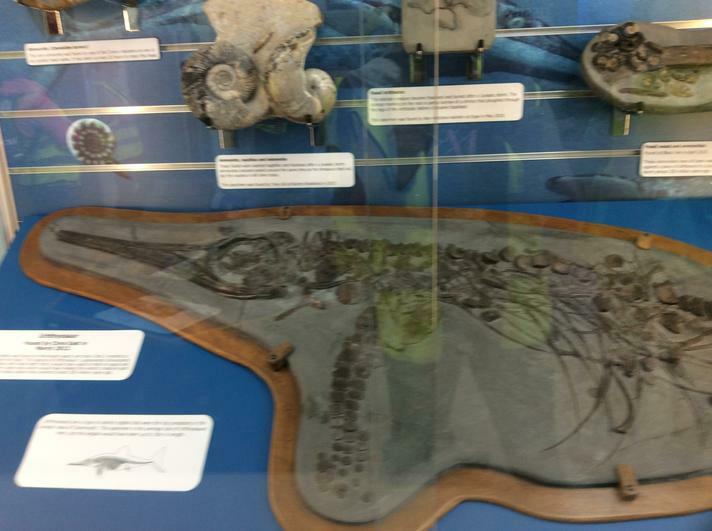 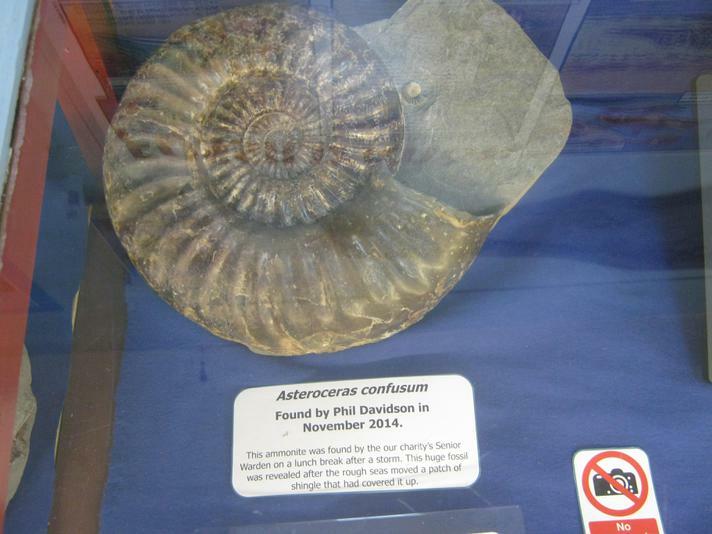 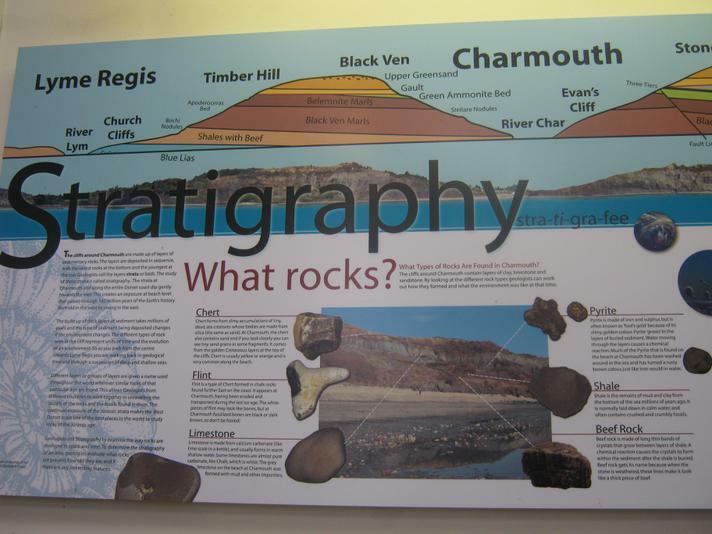 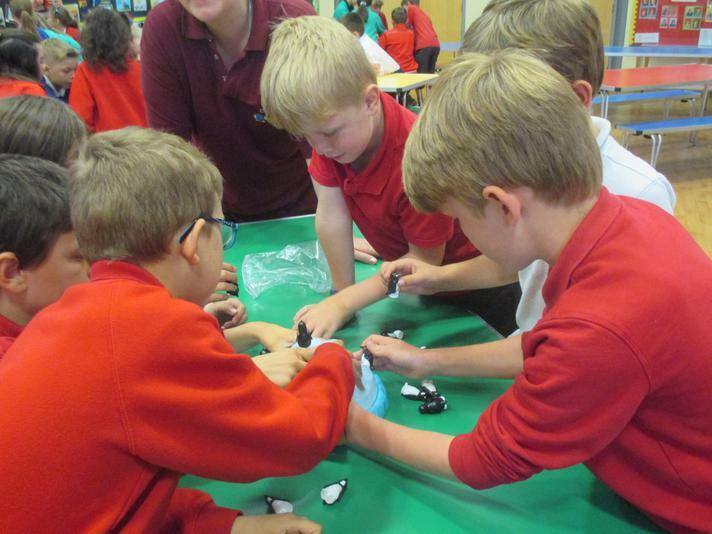 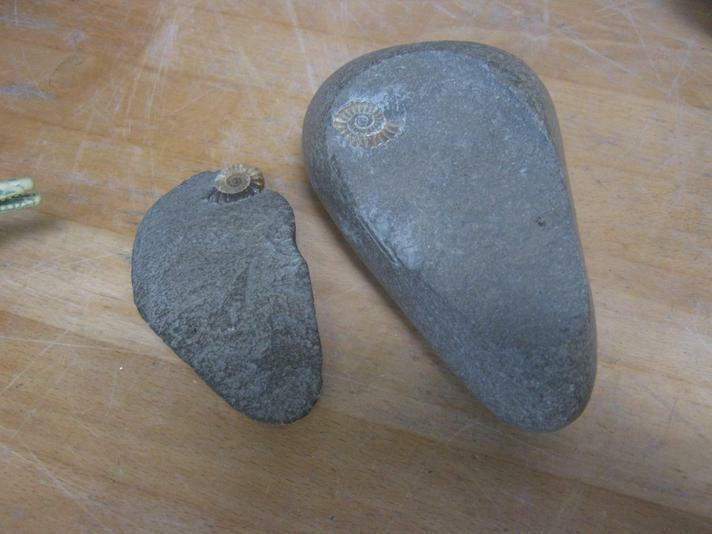 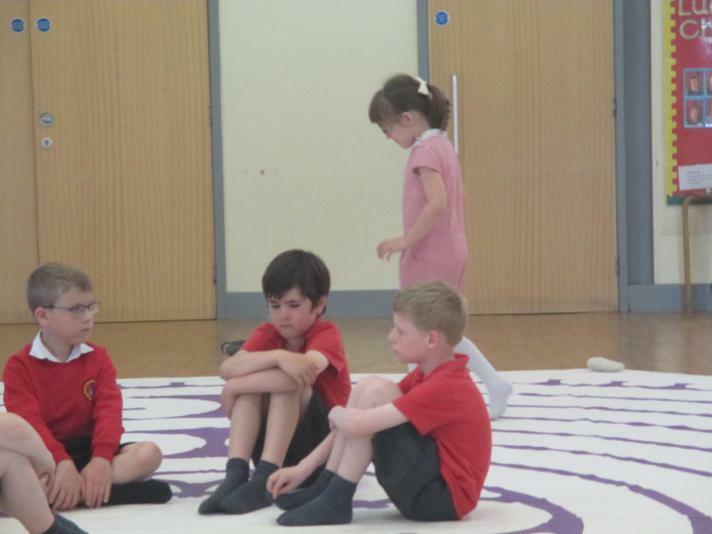 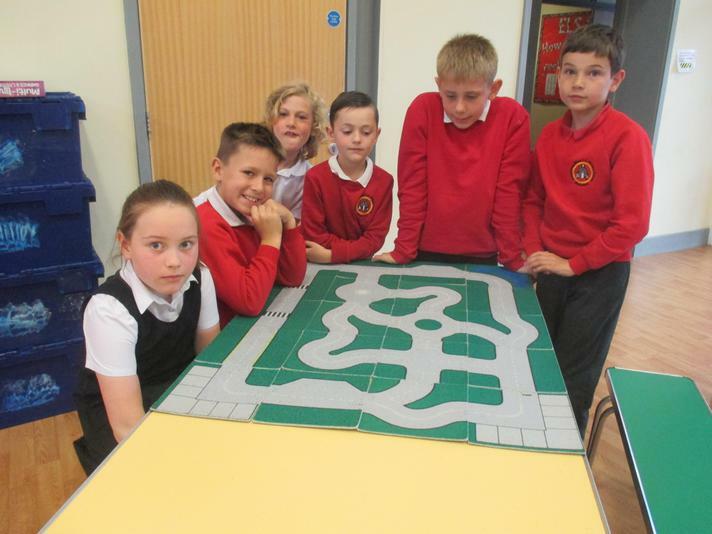 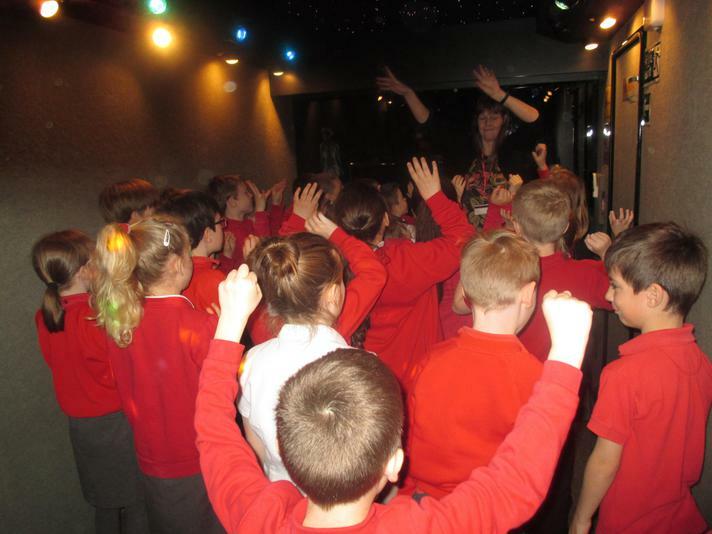 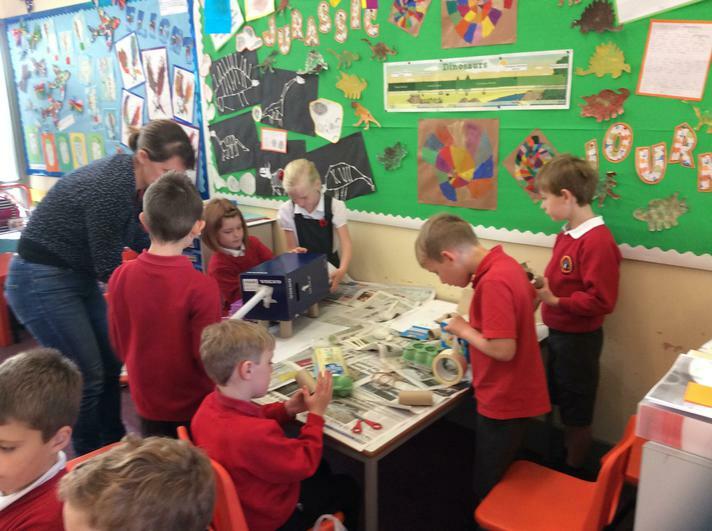 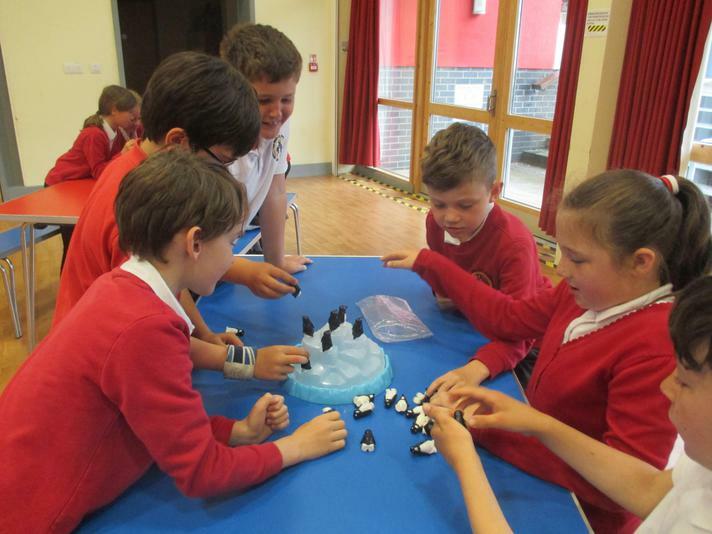 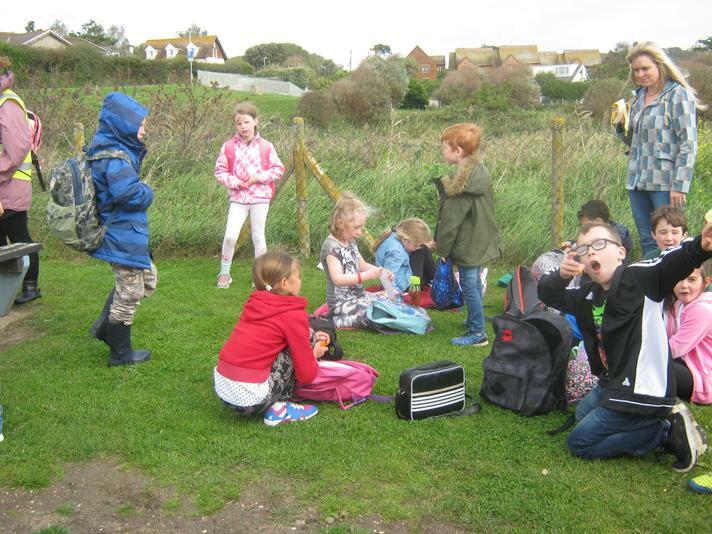 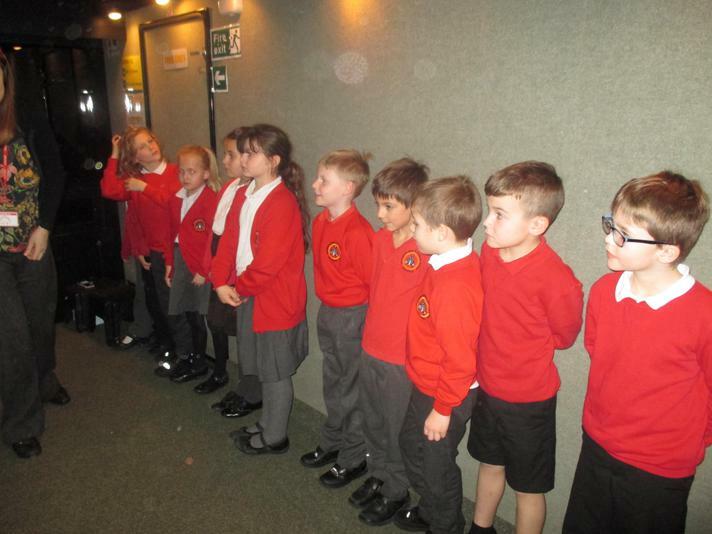 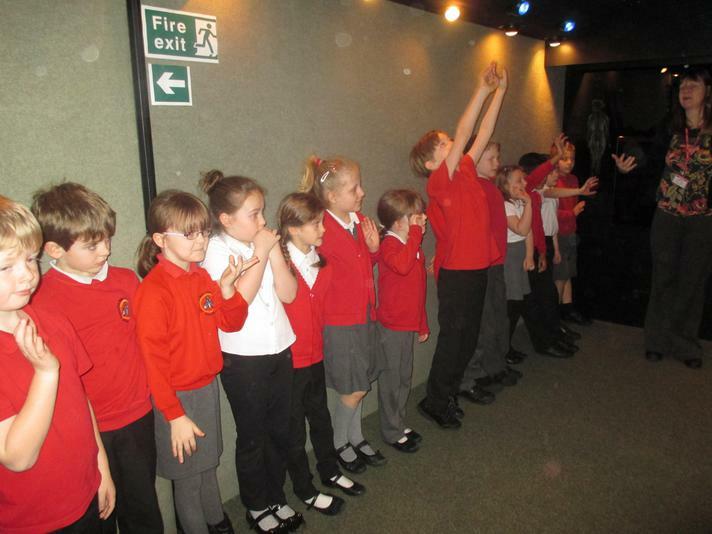 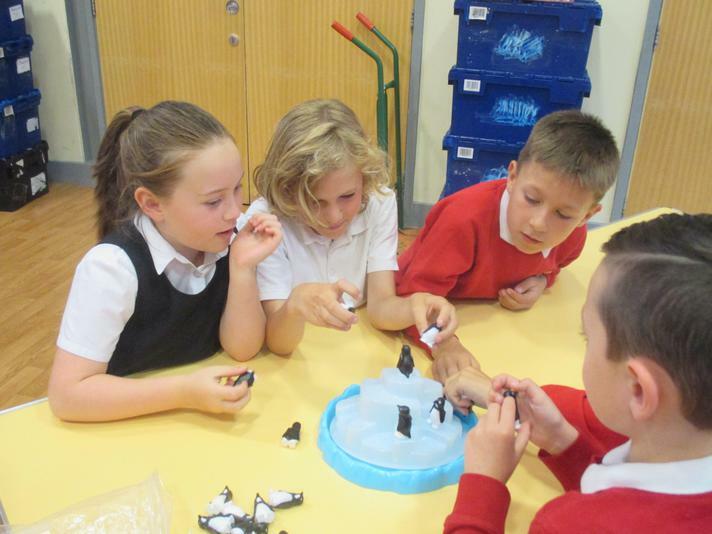 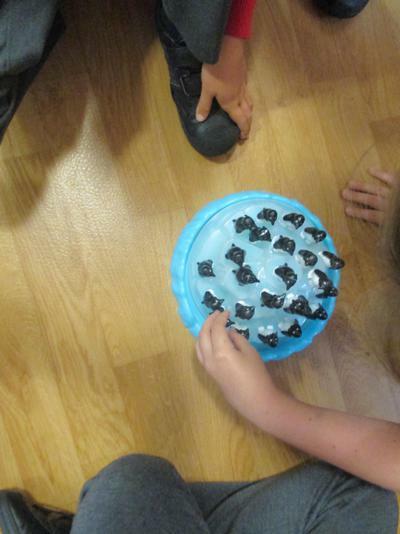 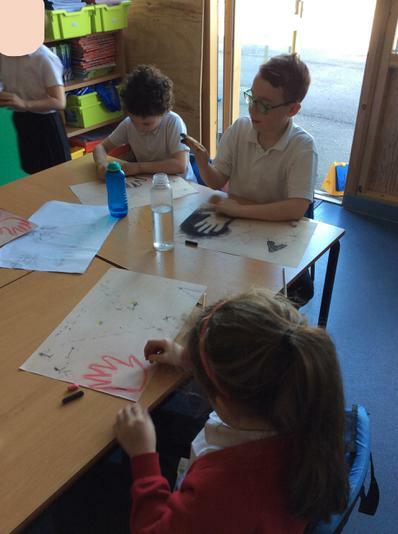 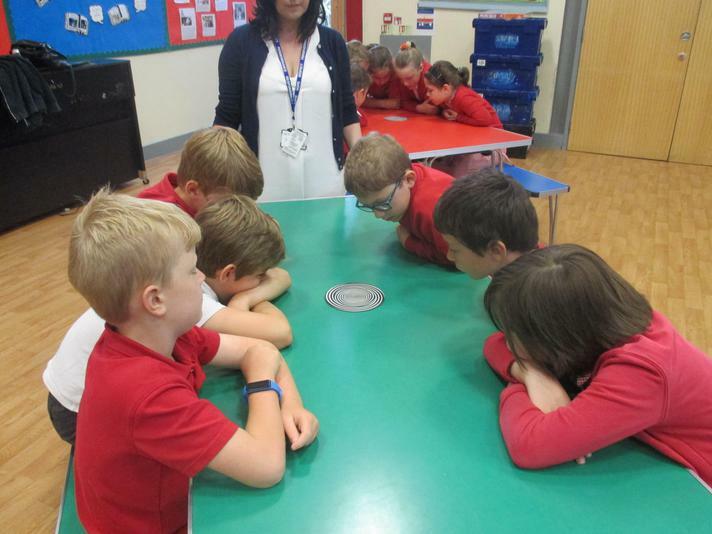 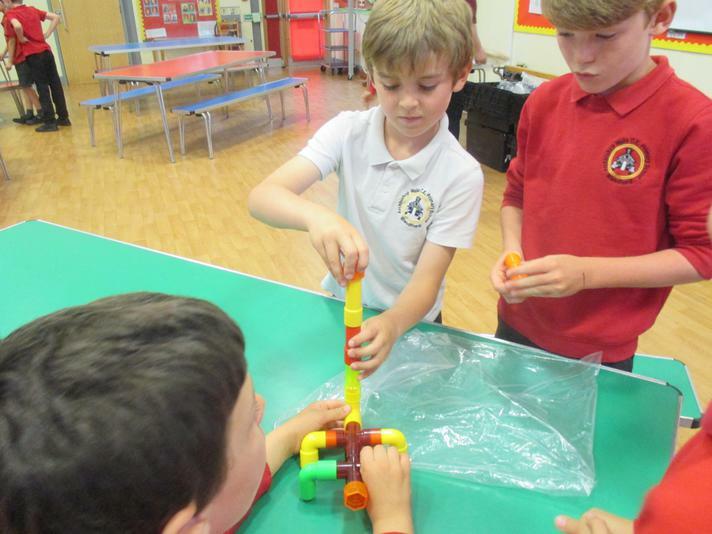 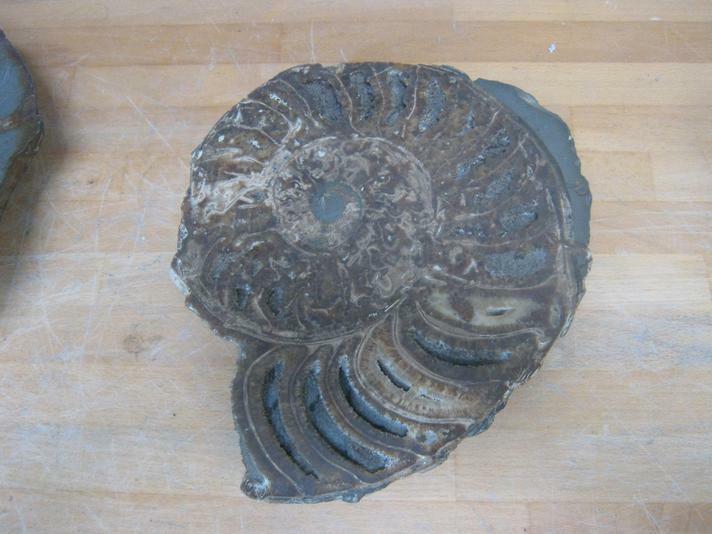 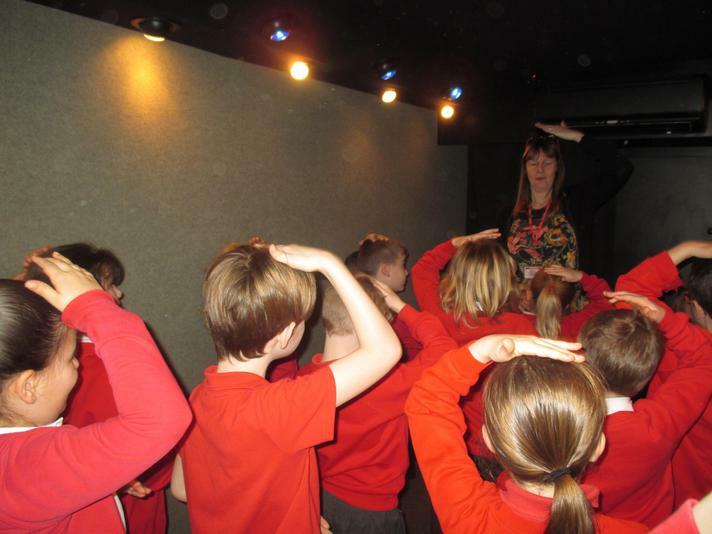 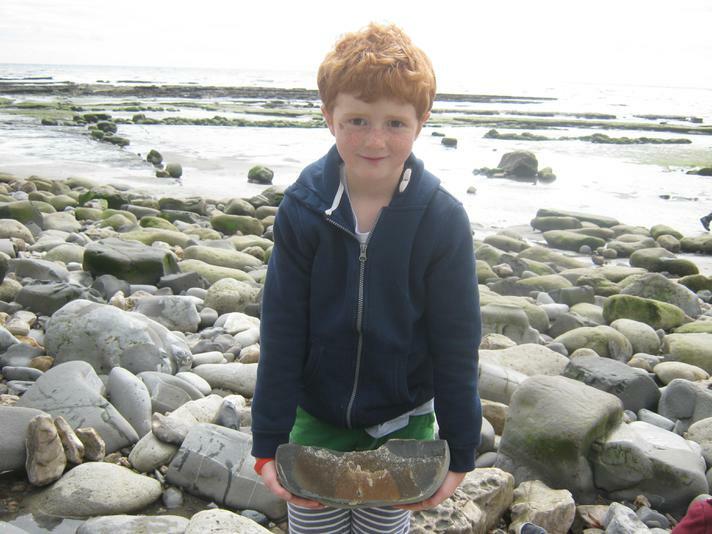 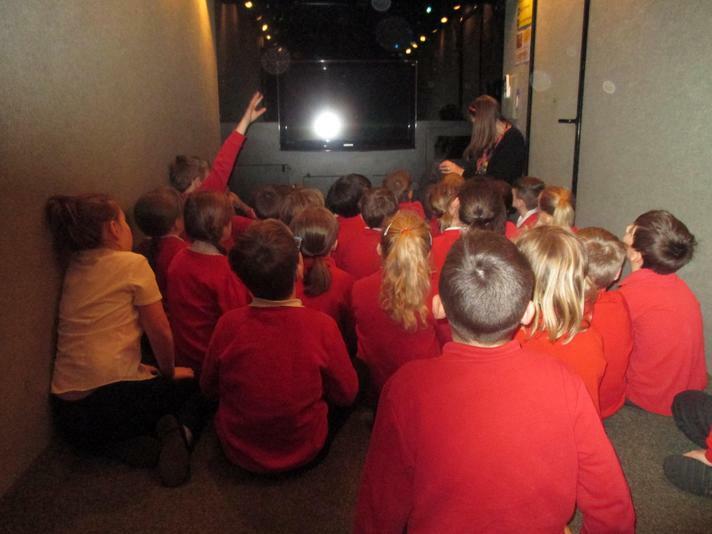 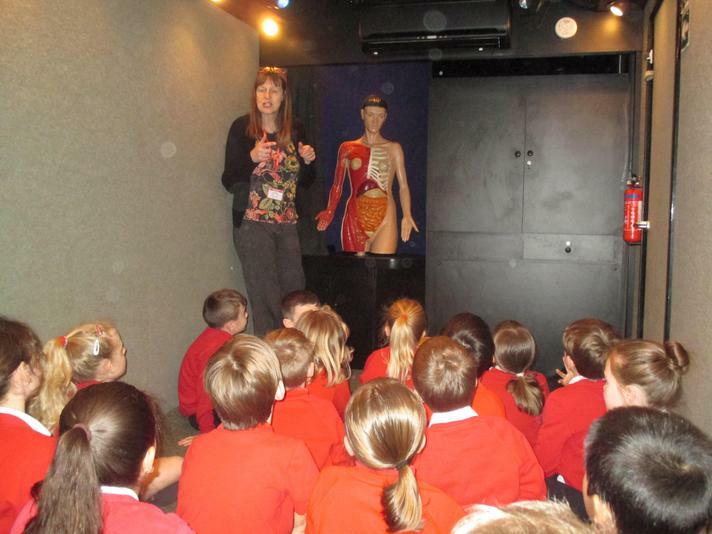 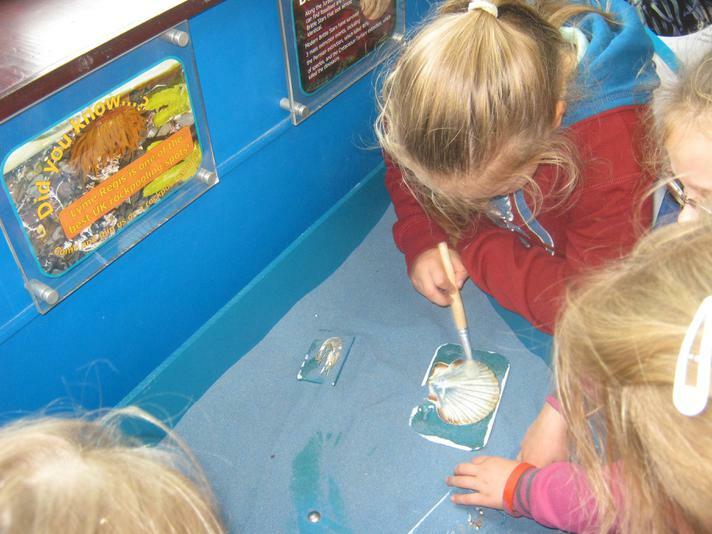 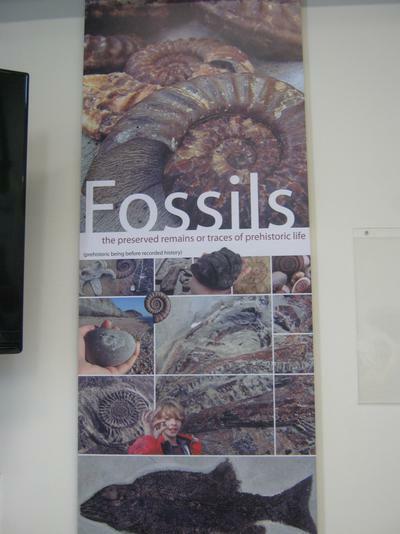 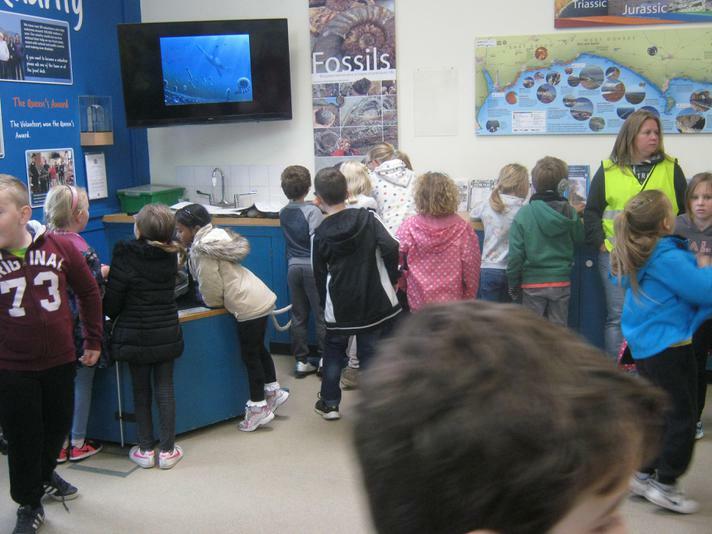 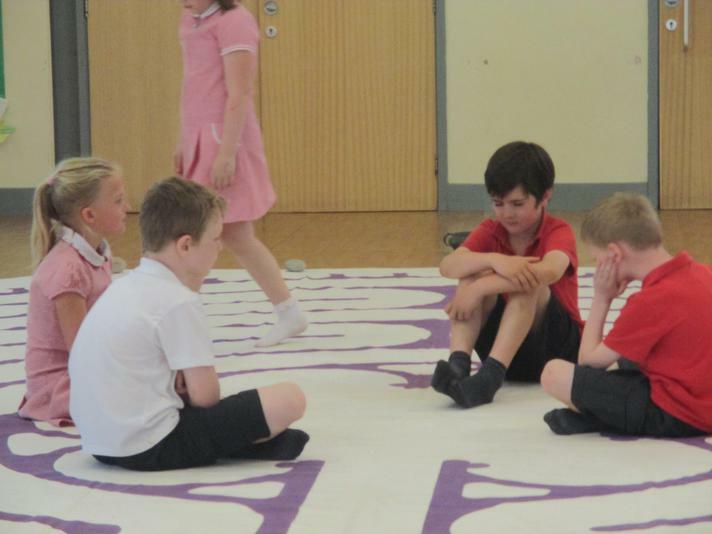 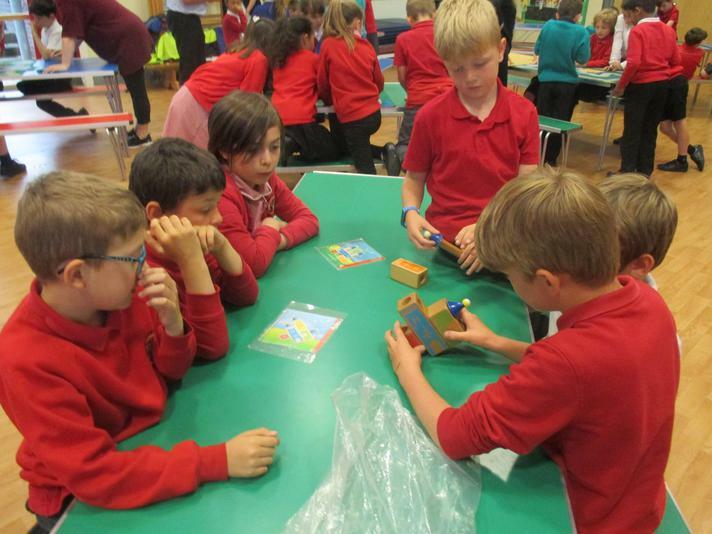 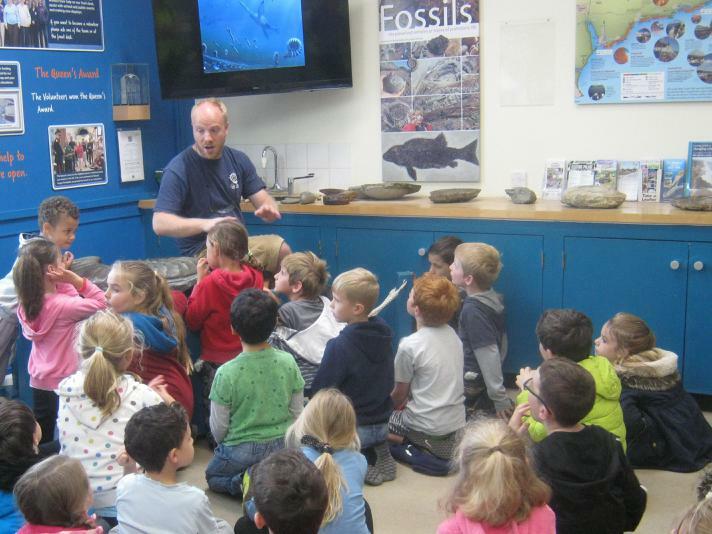 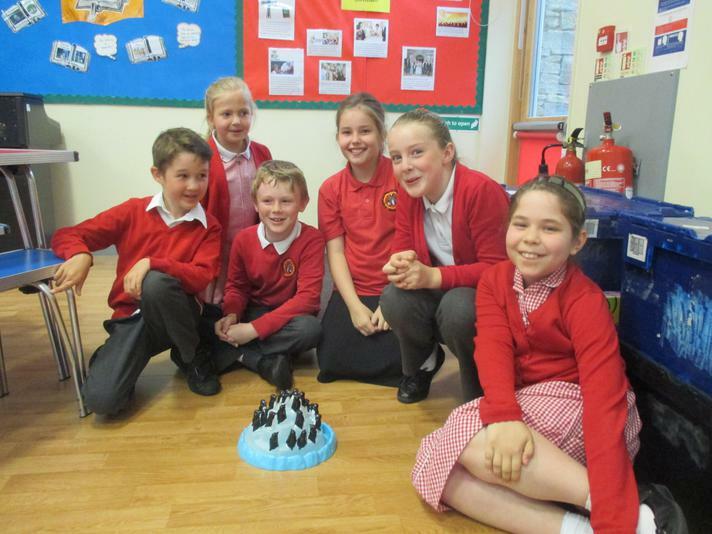 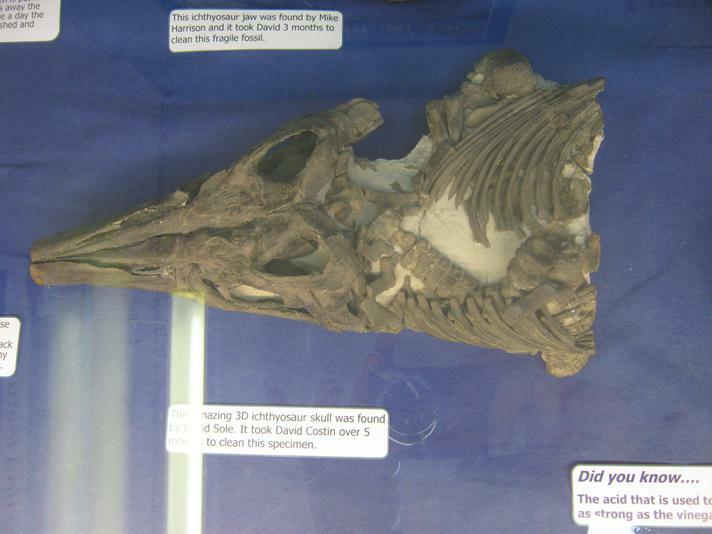 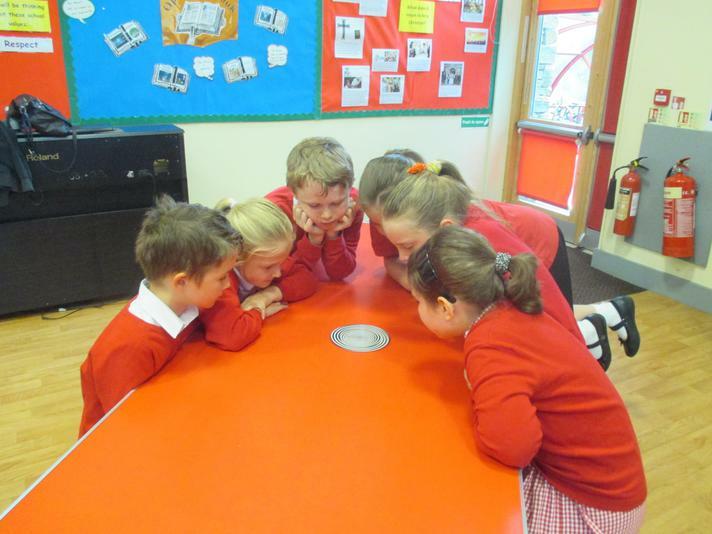 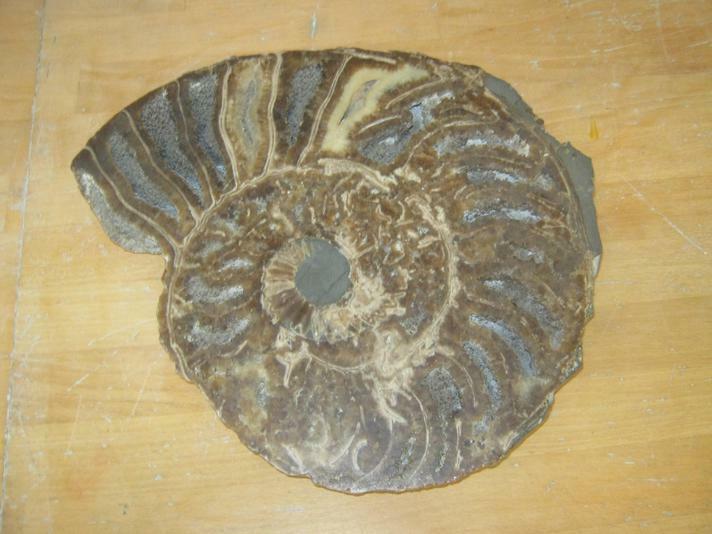 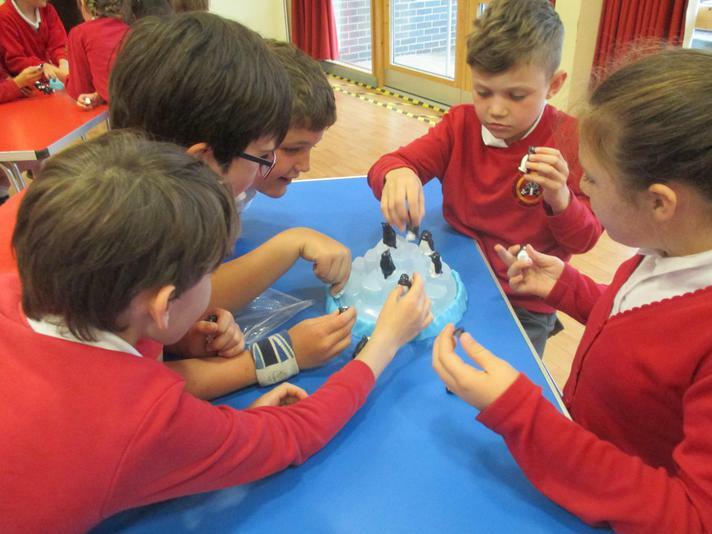 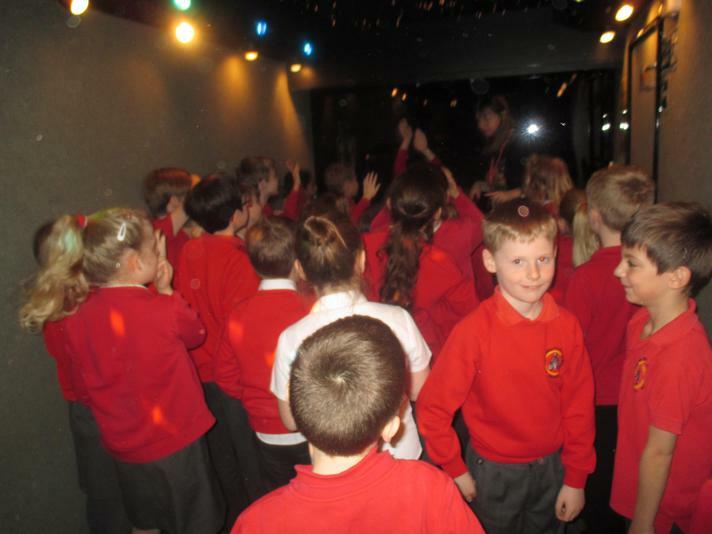 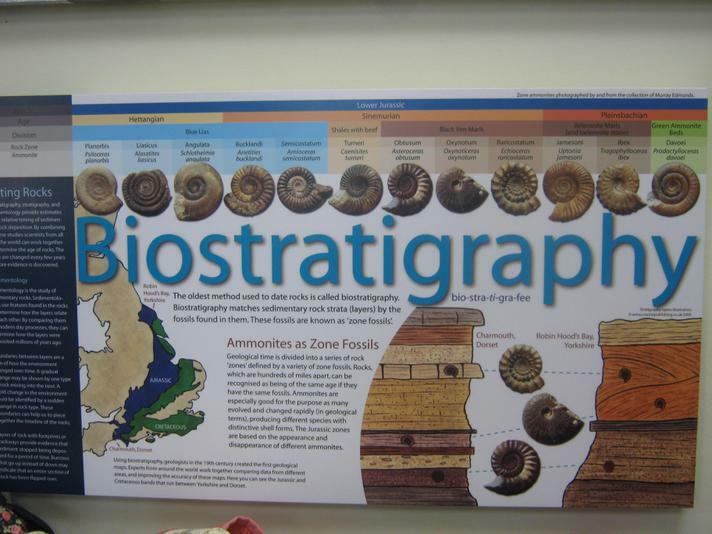 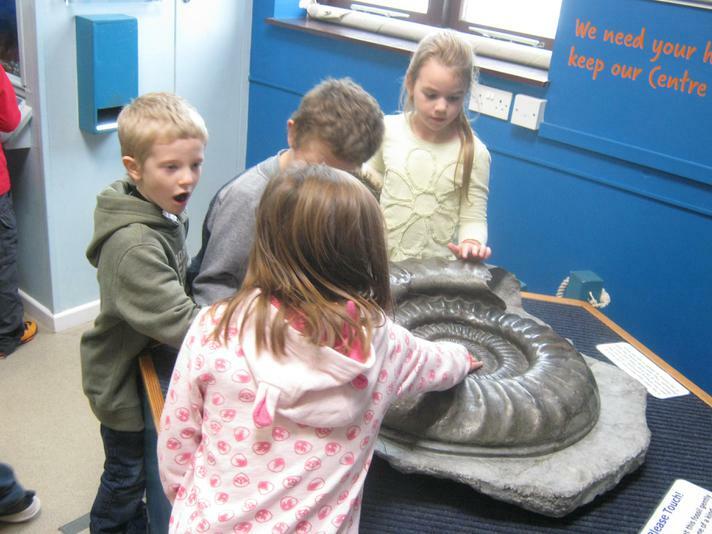 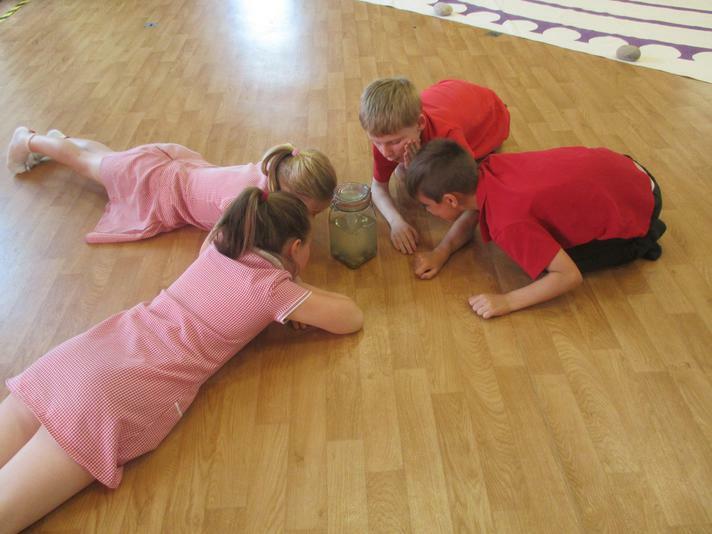 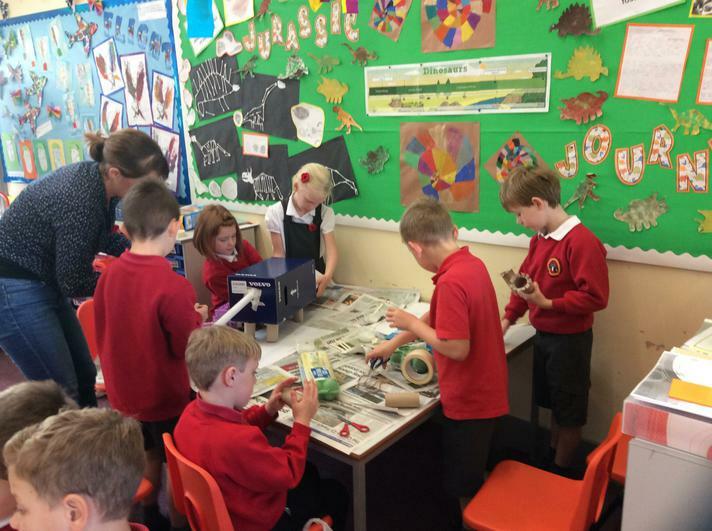 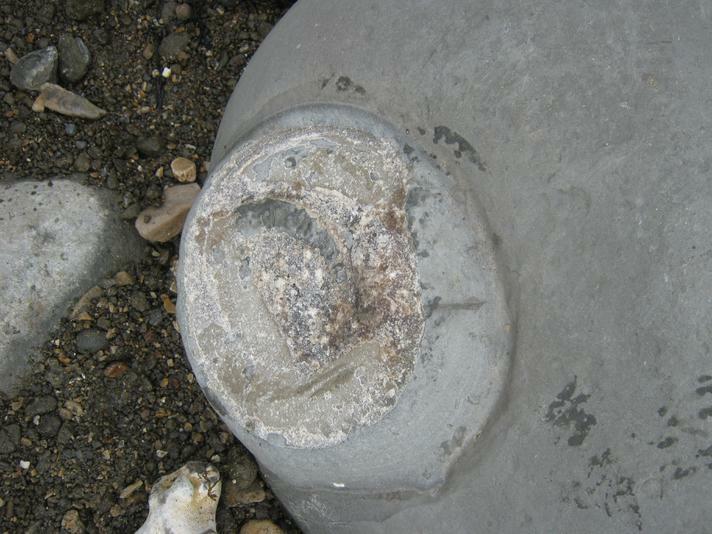 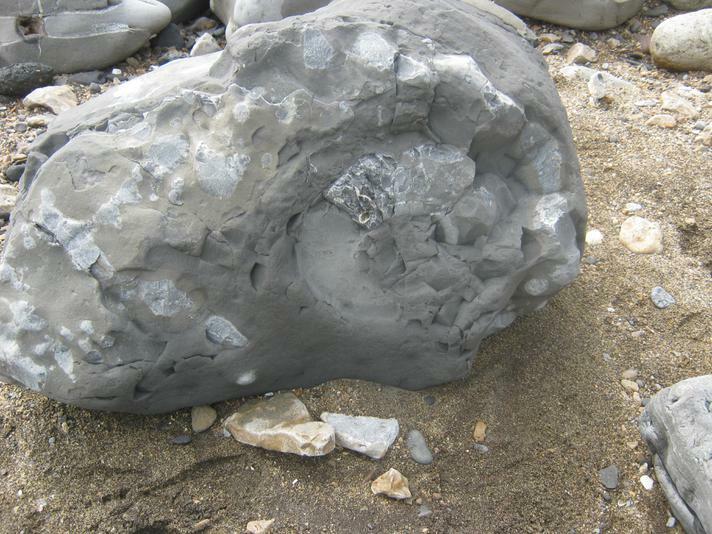 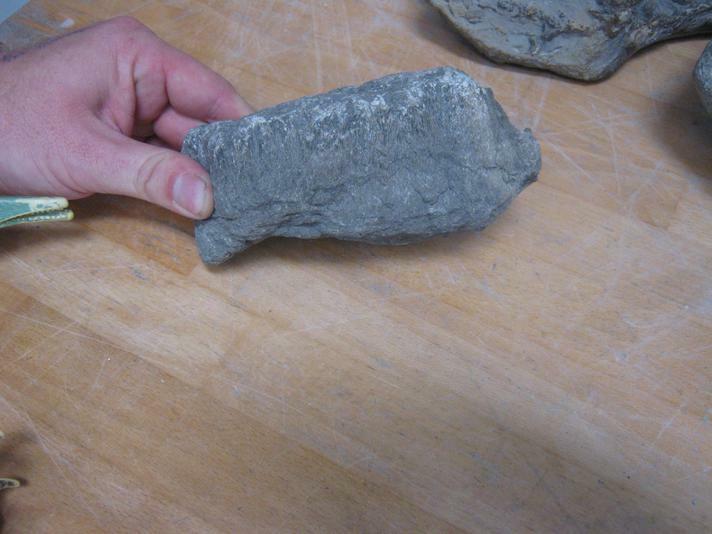 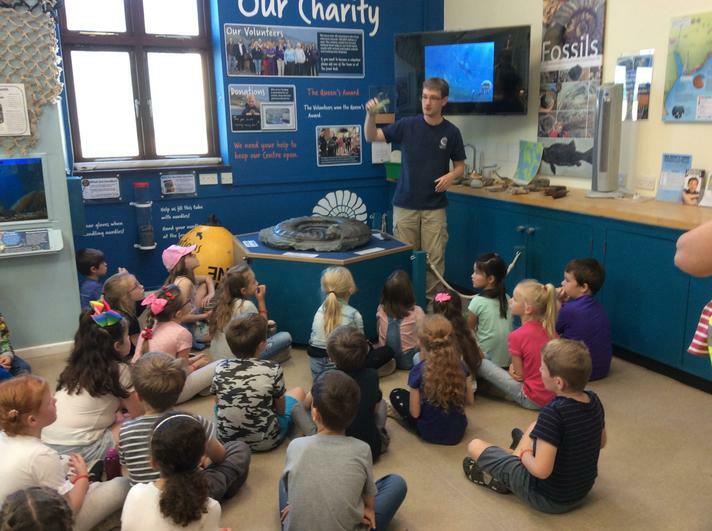 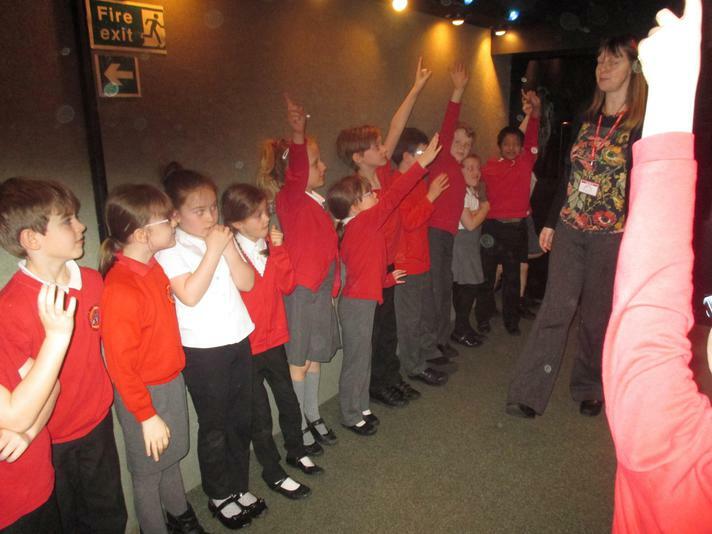 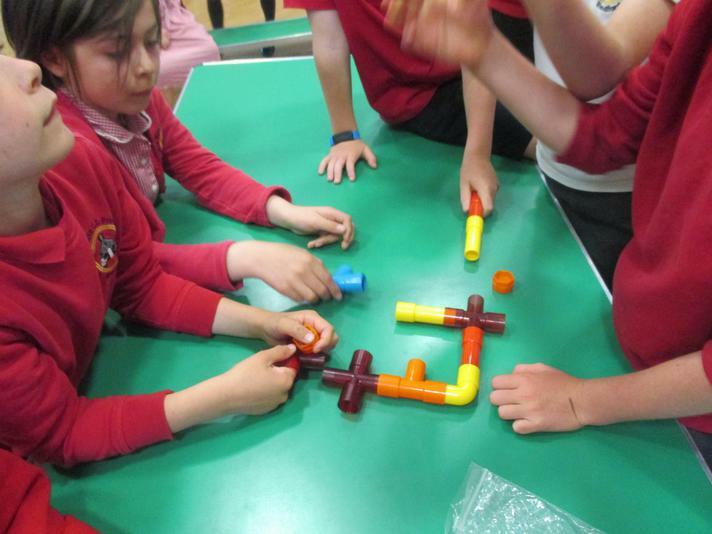 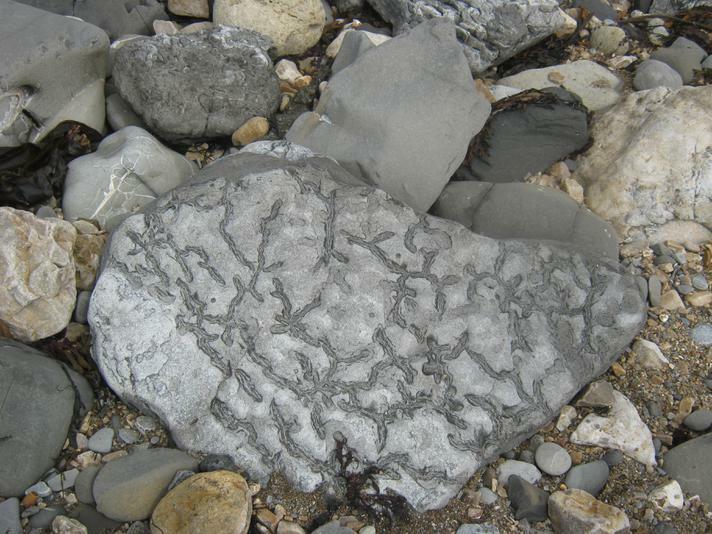 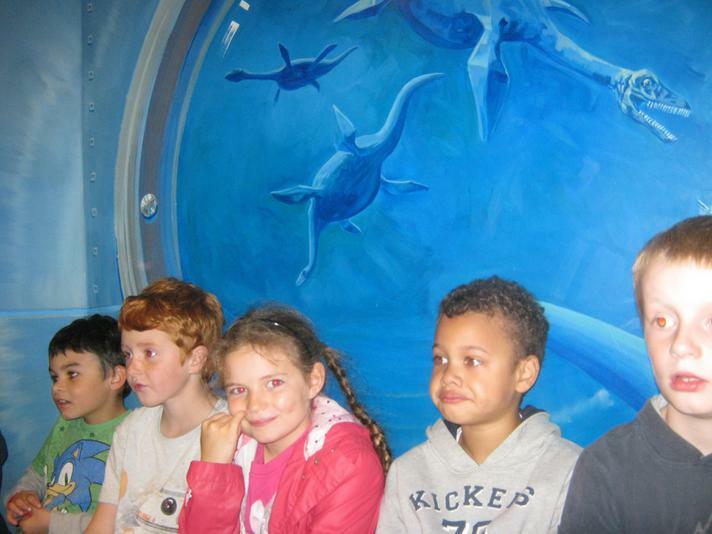 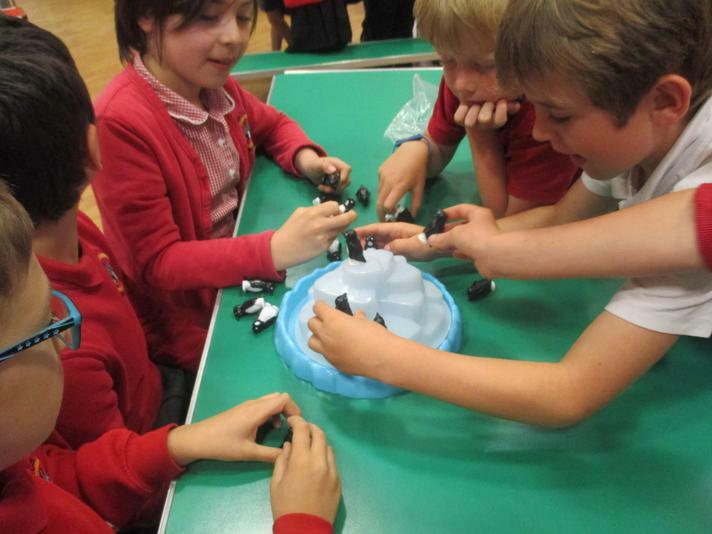 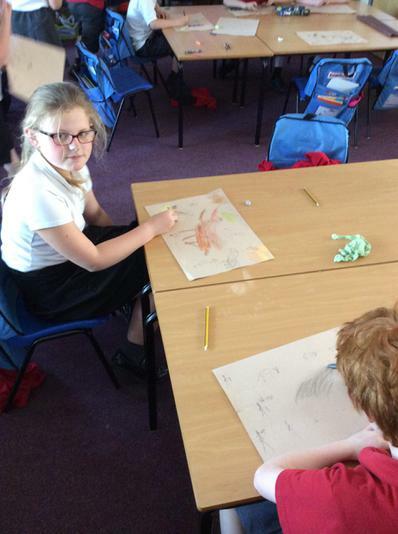 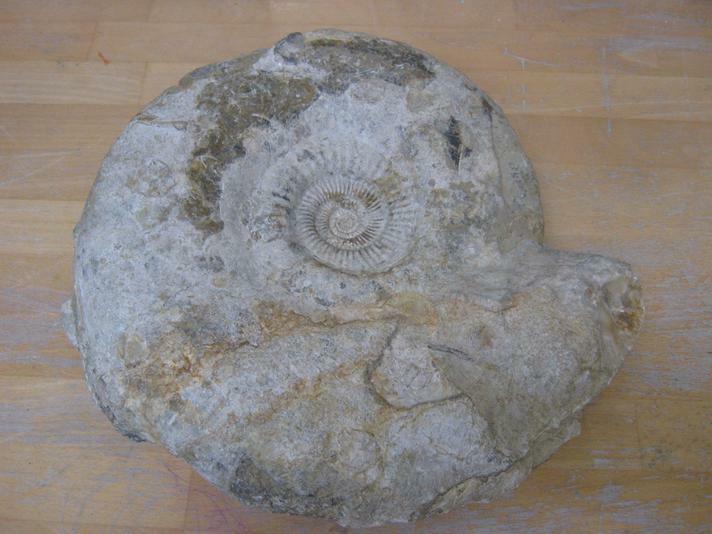 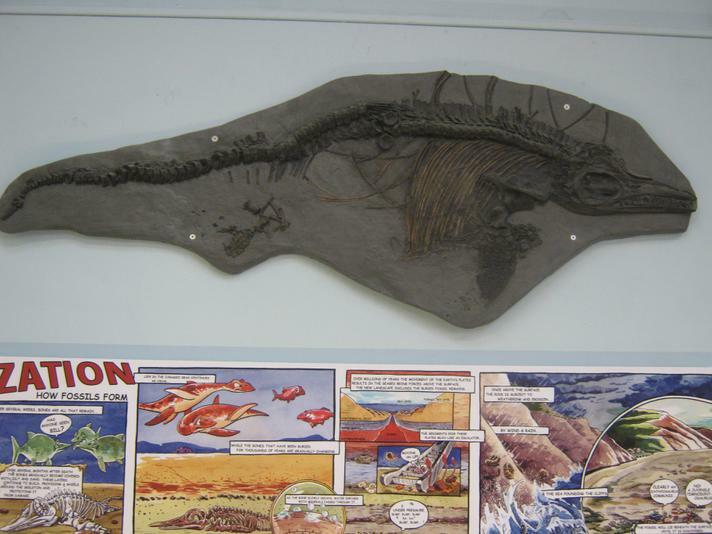 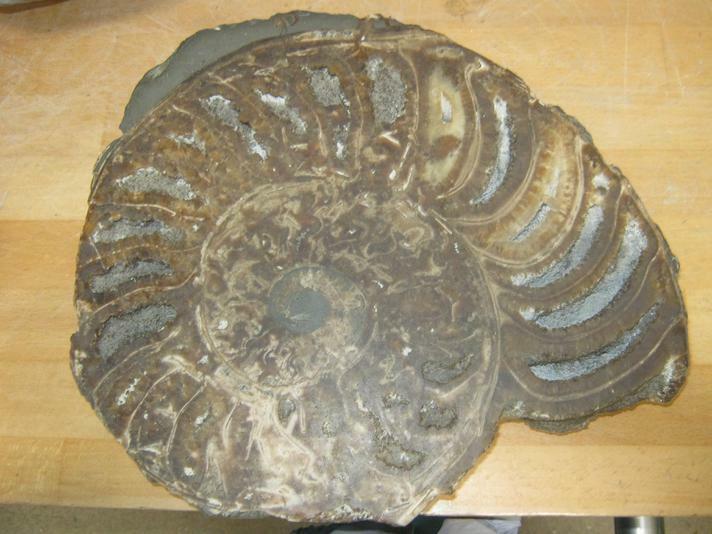 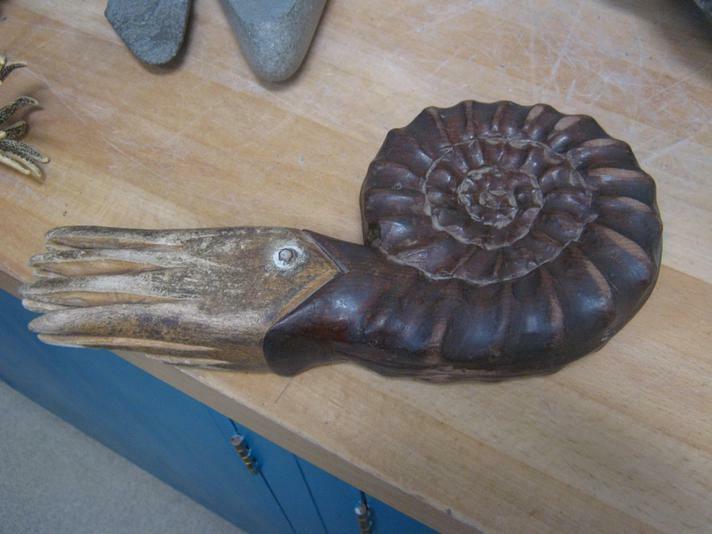 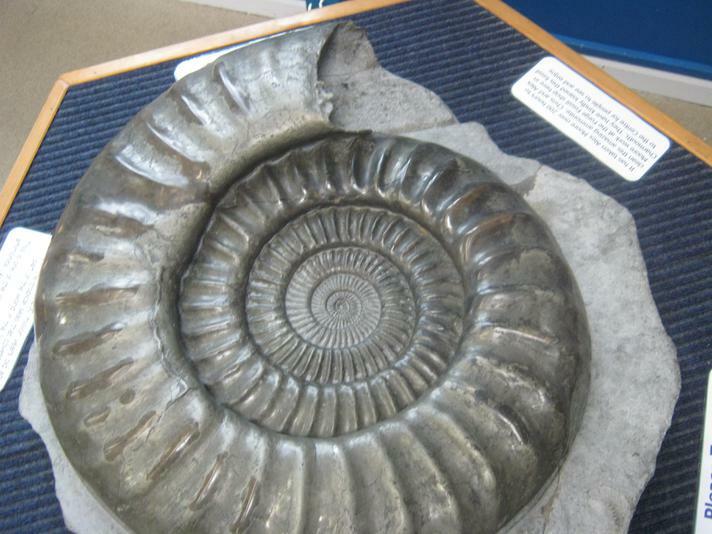 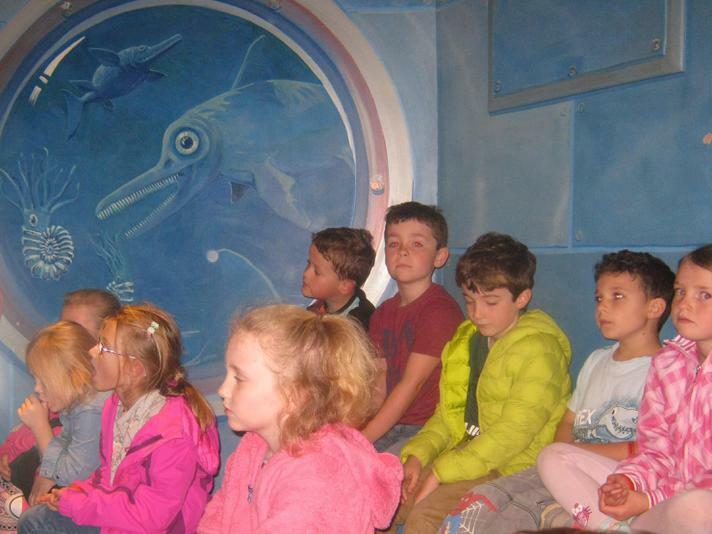 The children were taught about the earliest forms of earth and how it has changed over the last 245 million years. 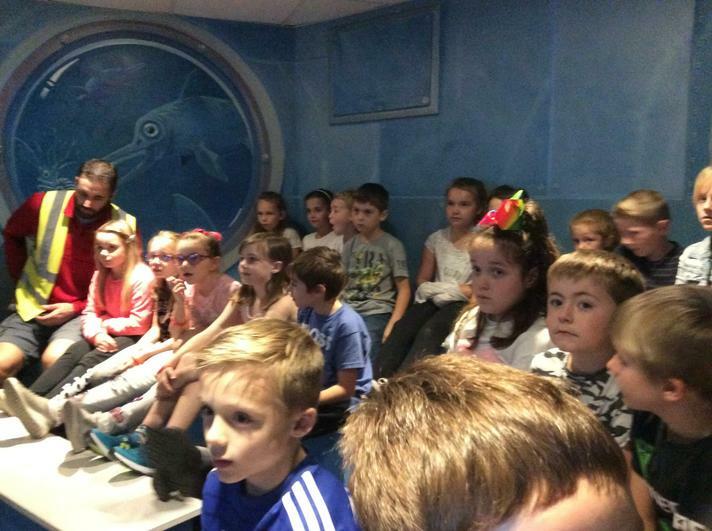 They were introduced to Dinosaurs through the interactive 360 degree display inside the dome and were immersed into a new world with smiles and fascination all round. 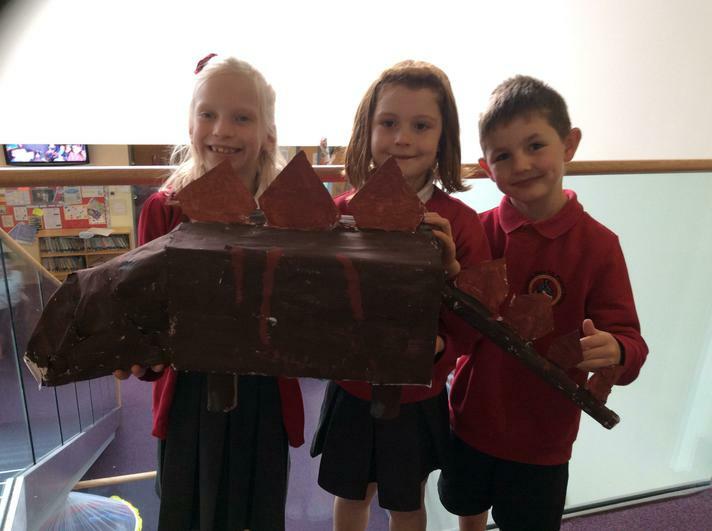 The children also watched a feature film, 'Dinosaurs @ Dusk' where they took to the skies and discovered the origins of flight following a teenage girl, Lucy, and her father, who share a passion for flying and all things that fly. 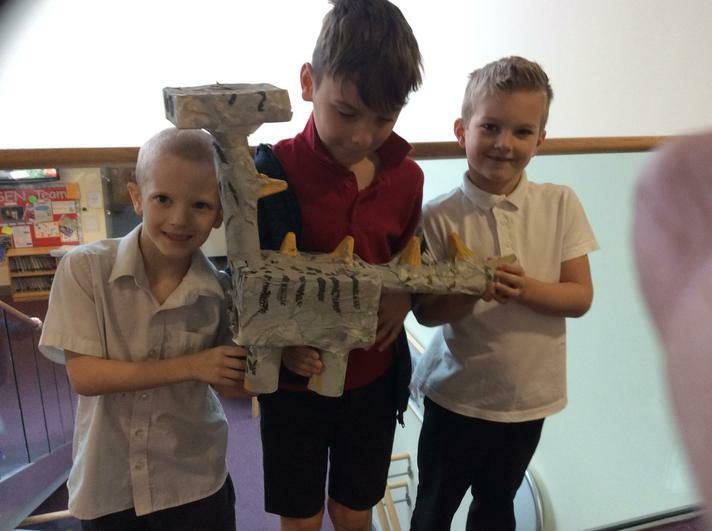 The children witnessed paragliding over the countryside, and experienced the soaring of pterosaurus and the ancestors of the modern bird; the feathered dinosaurs. 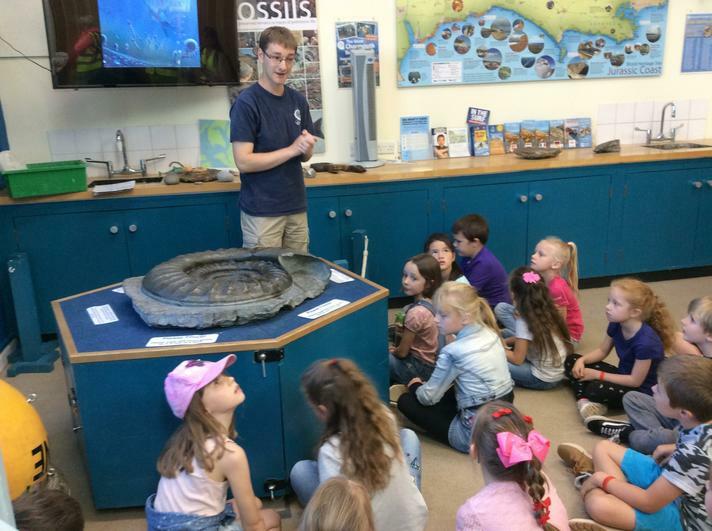 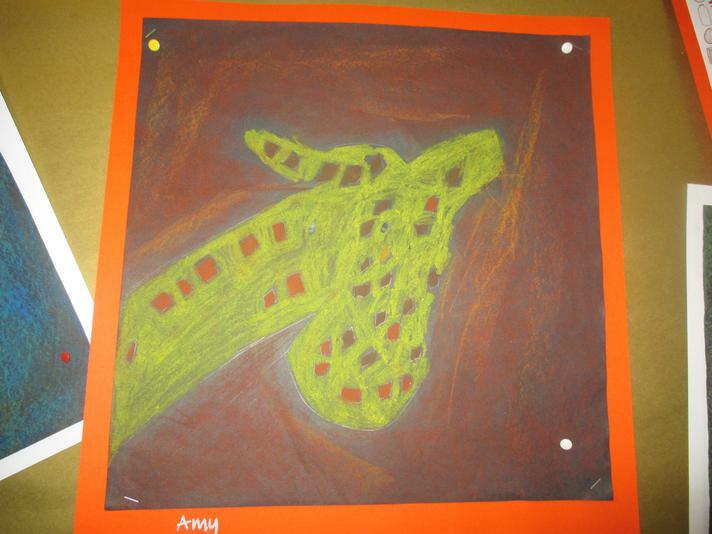 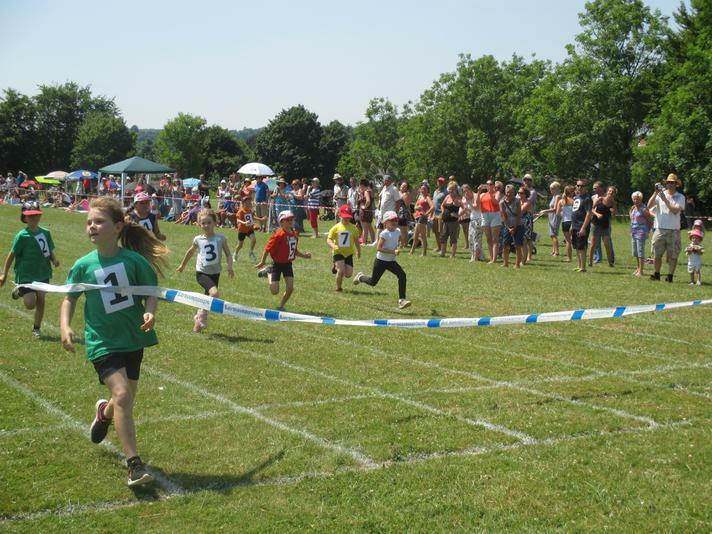 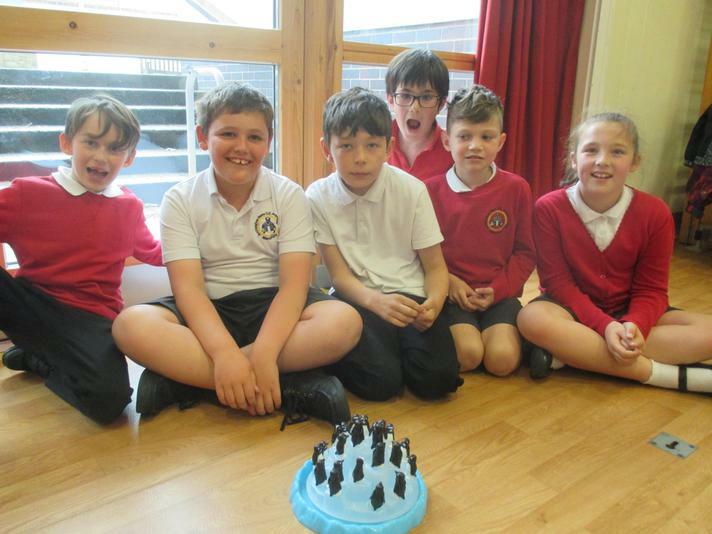 Children were also given insights into continental drift, proper motion of stars, asteroids and impacts, extinctions and the congvergent development of flight amoung species. 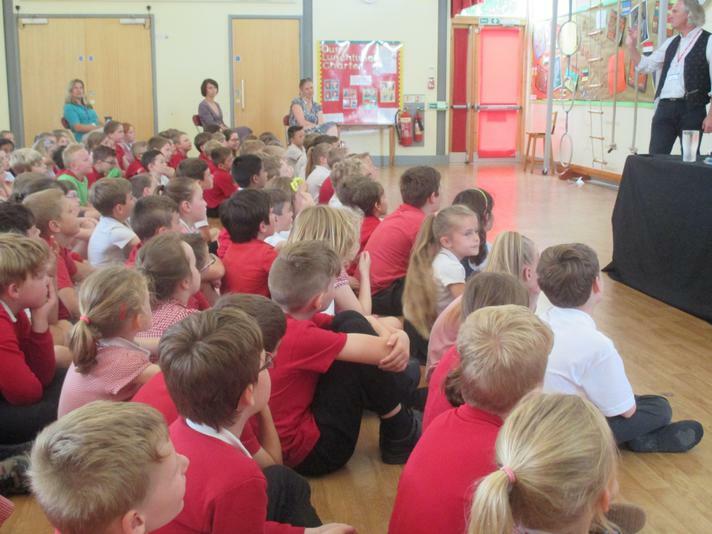 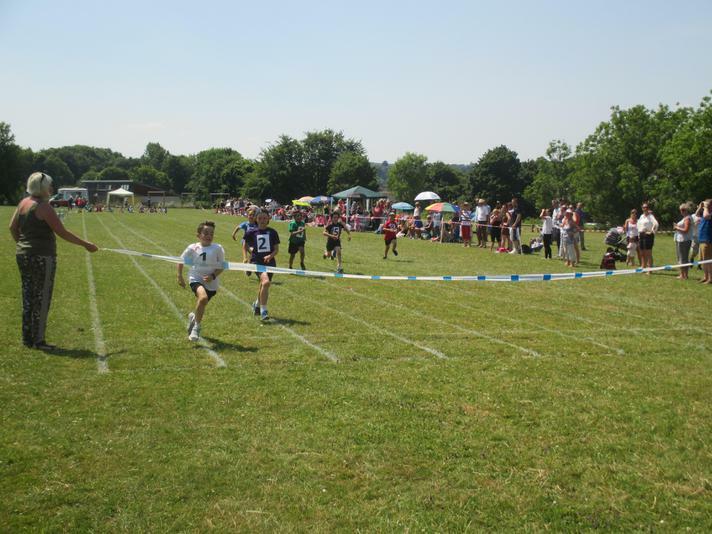 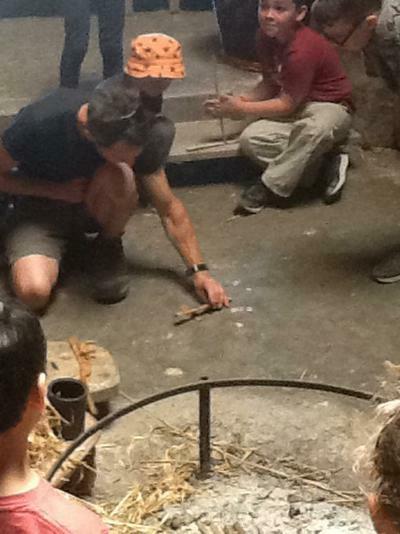 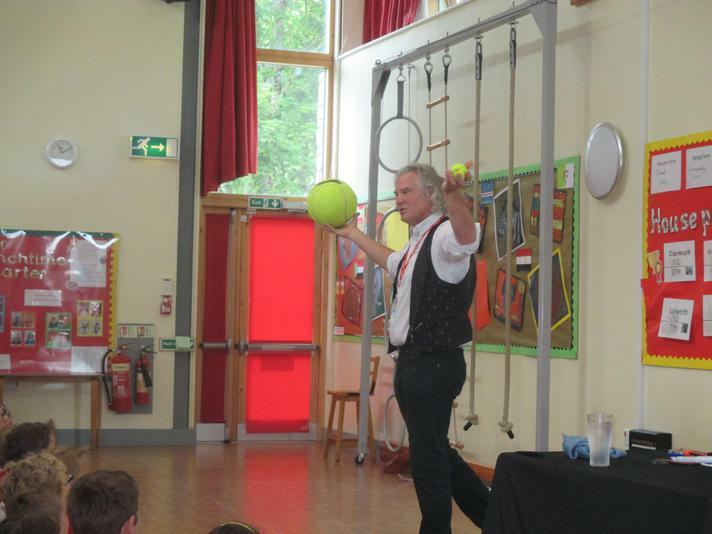 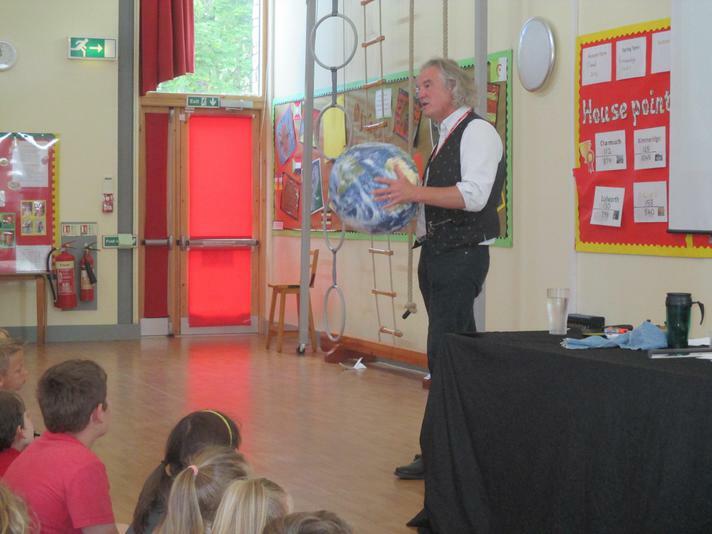 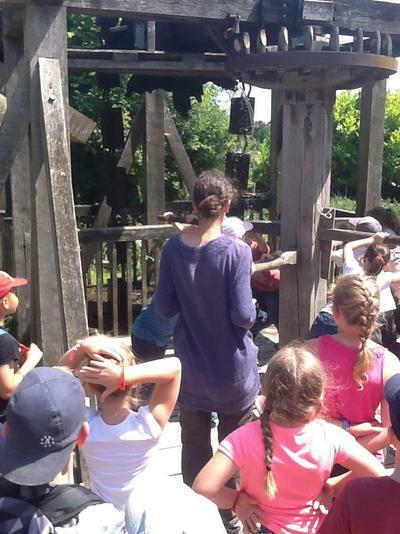 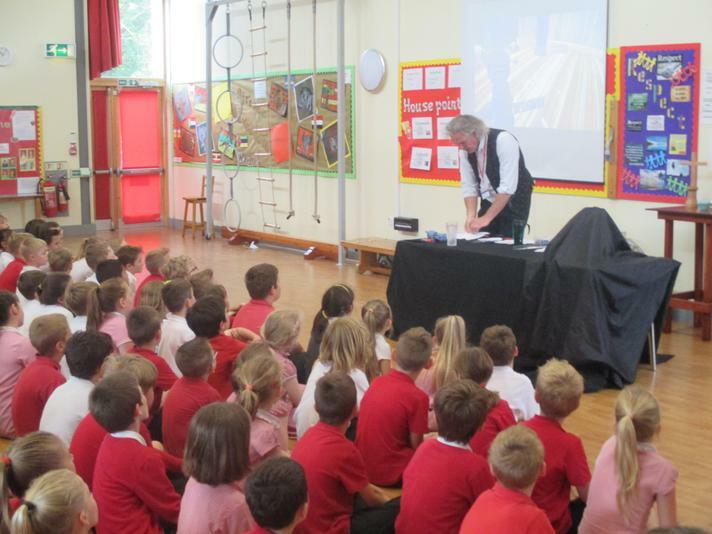 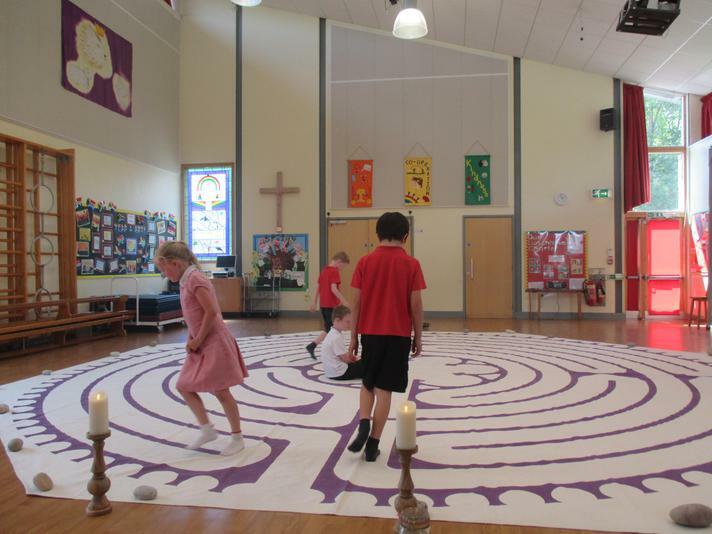 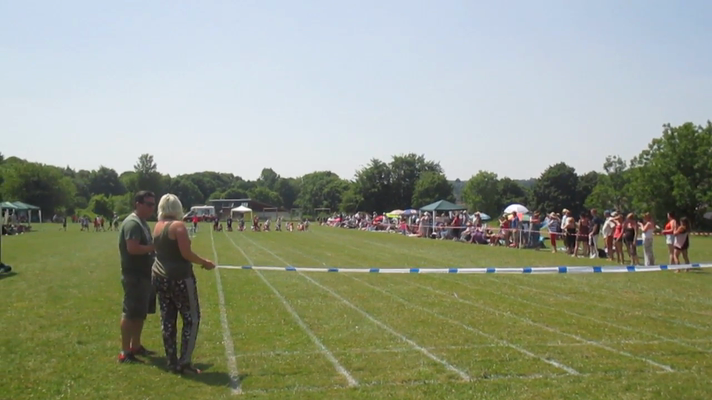 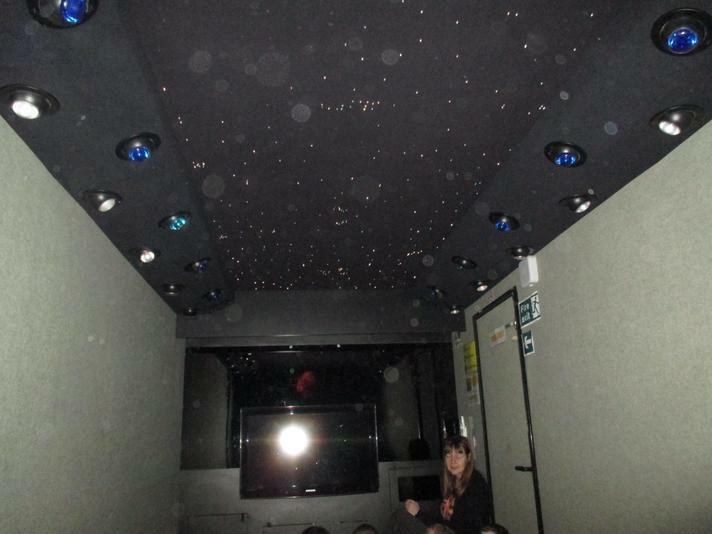 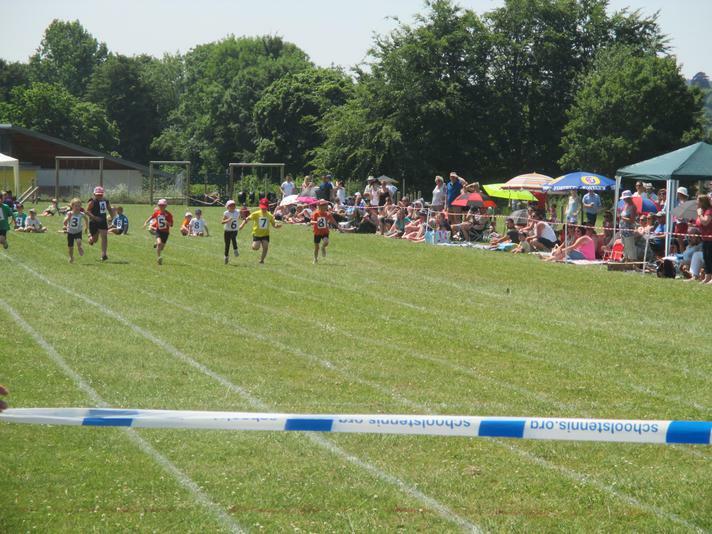 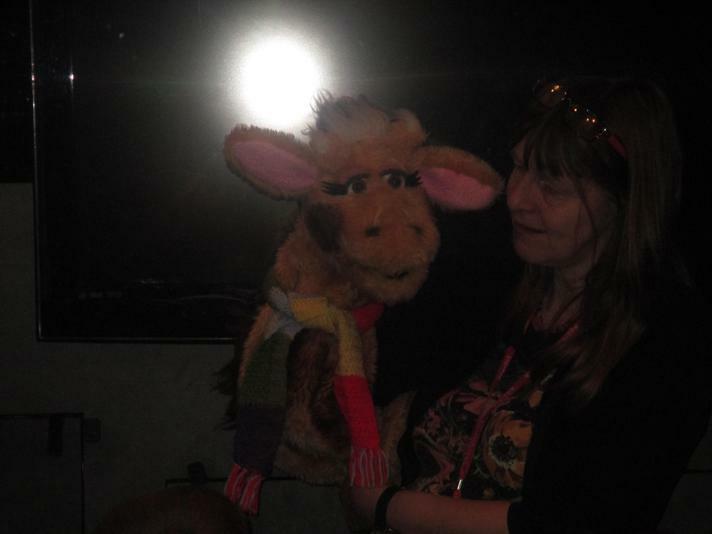 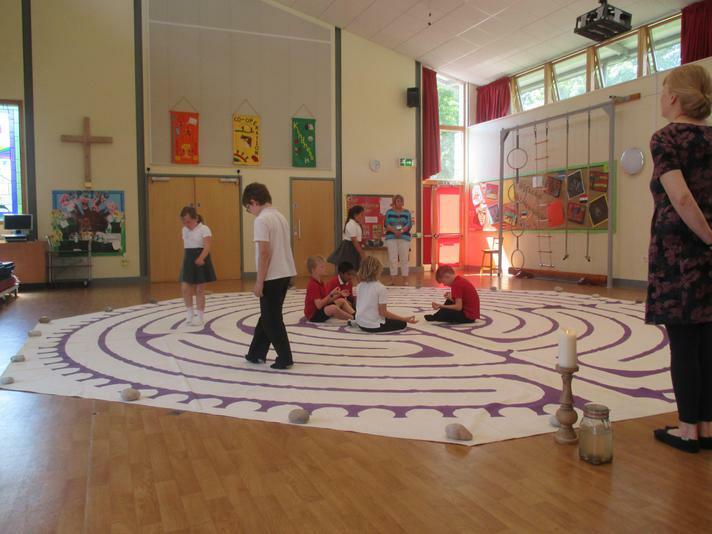 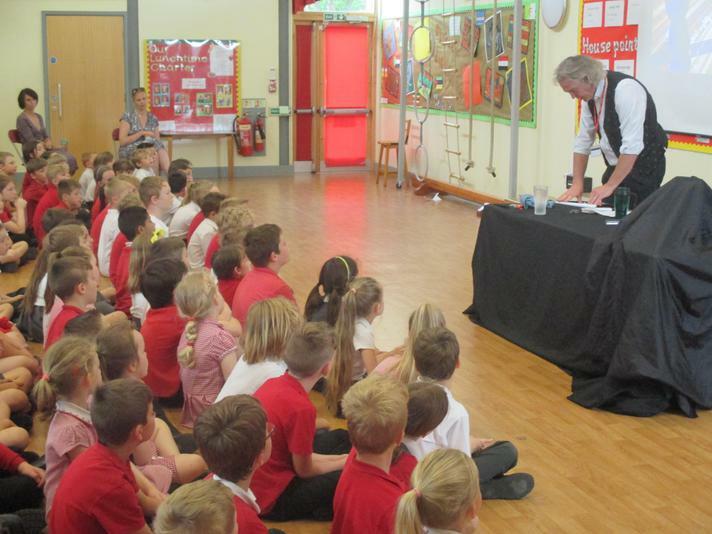 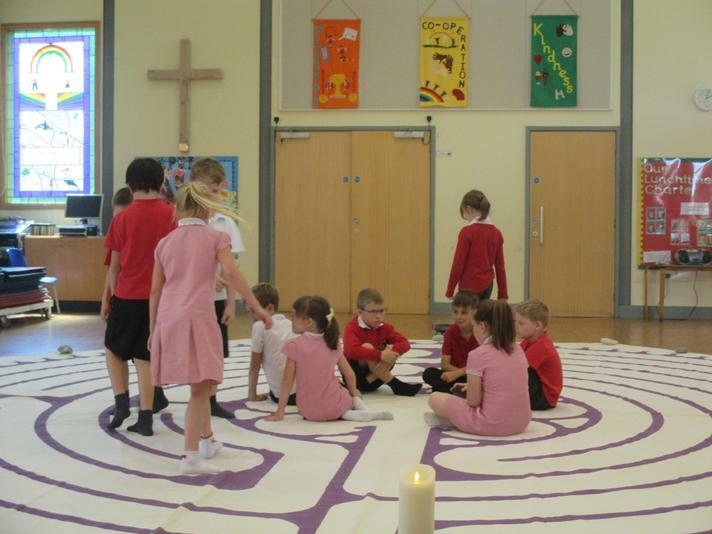 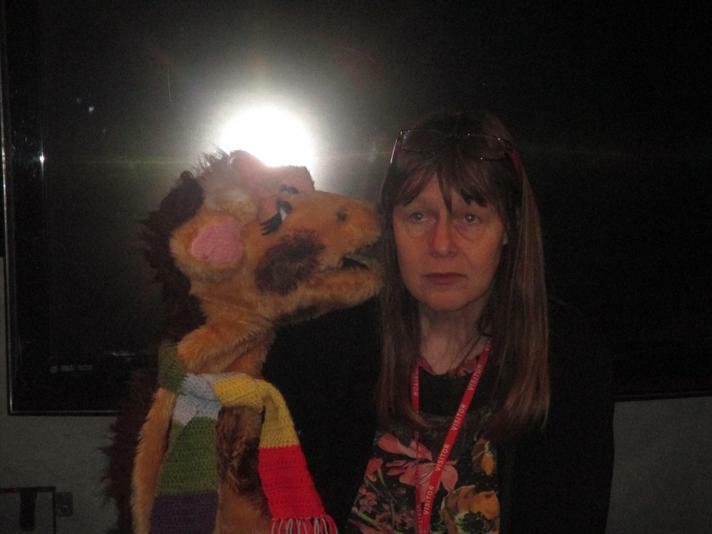 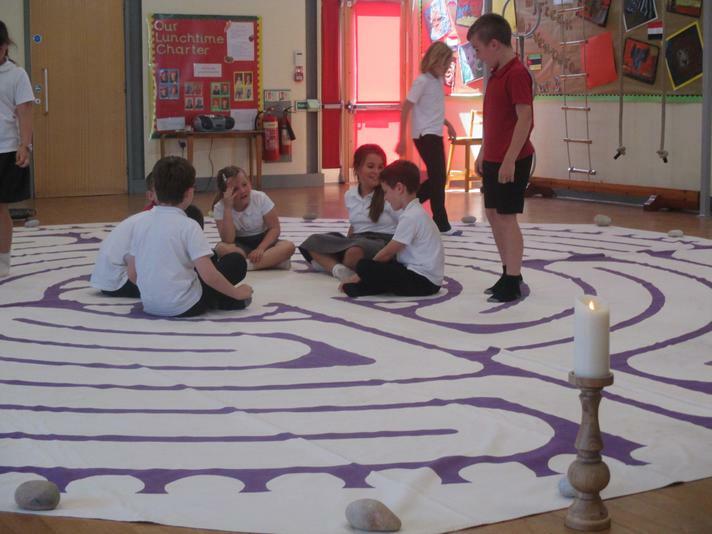 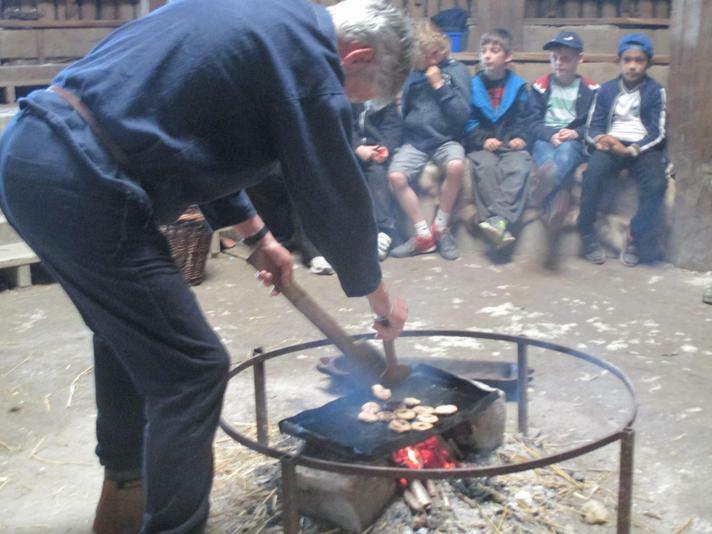 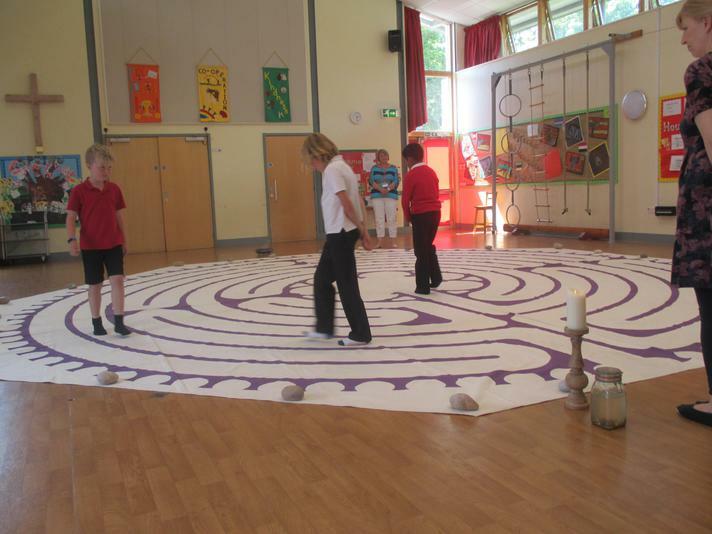 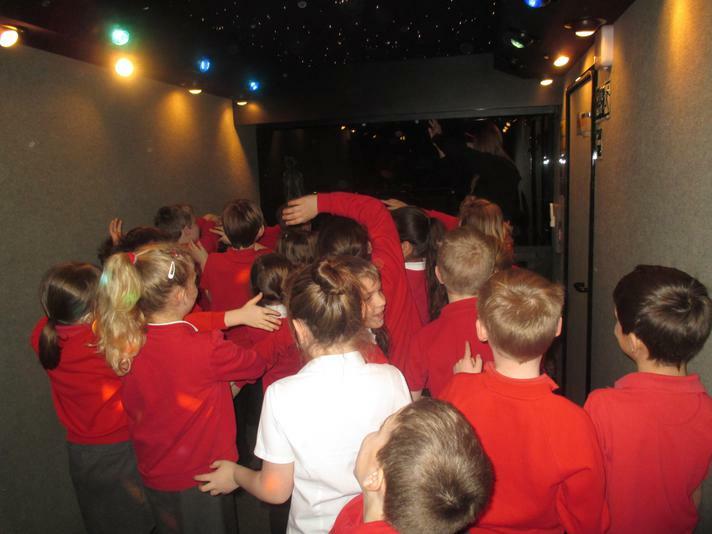 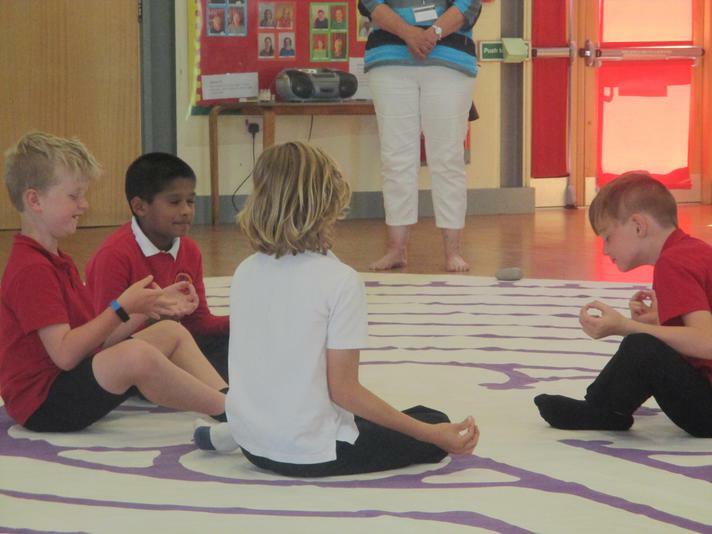 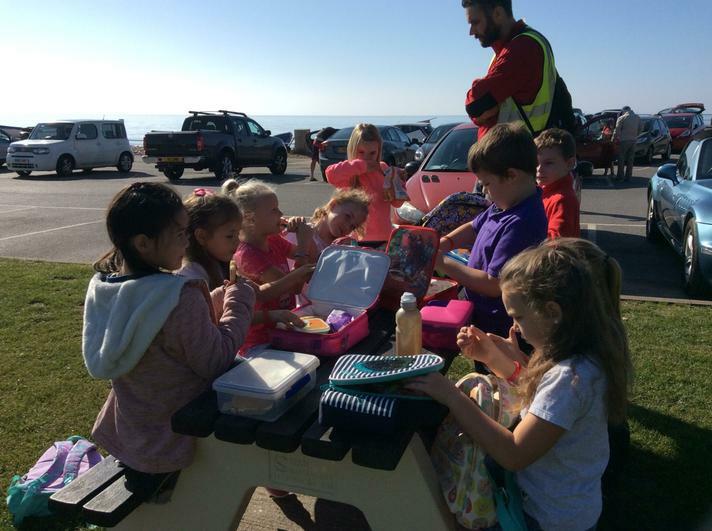 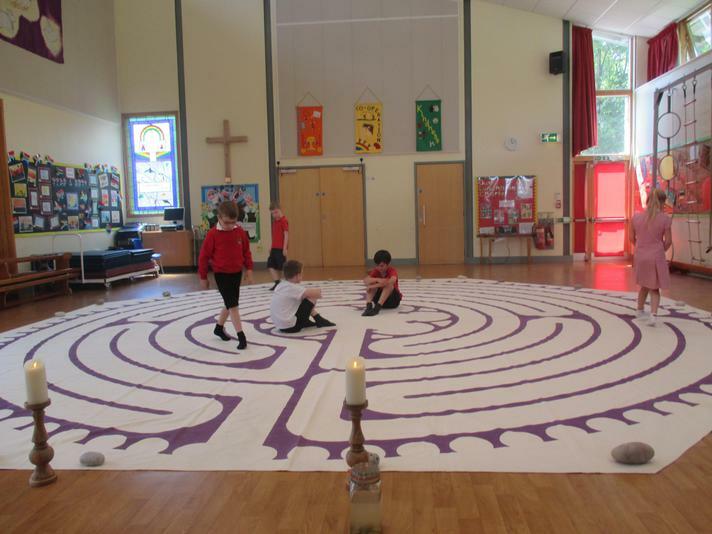 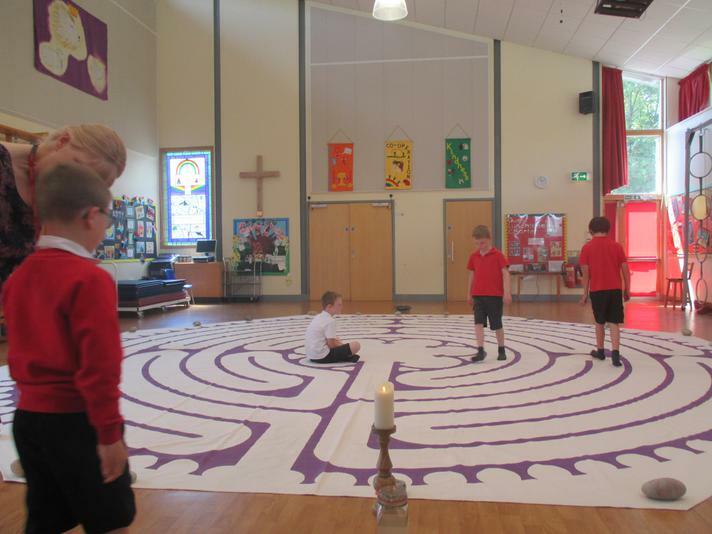 All In all a brilliant experience the children were 'wowed' by. 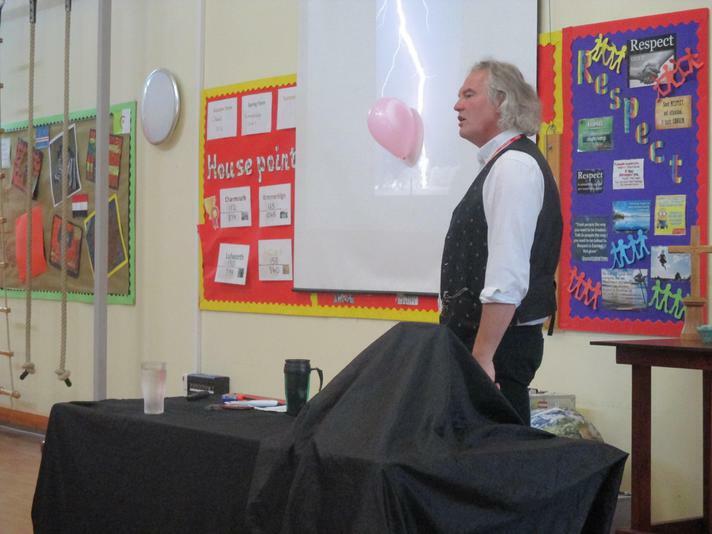 On Thursday 15th we had a visit from a scientist, Ian Dunne, who came to teach us about different science concepts through experiments and interesting explanations. 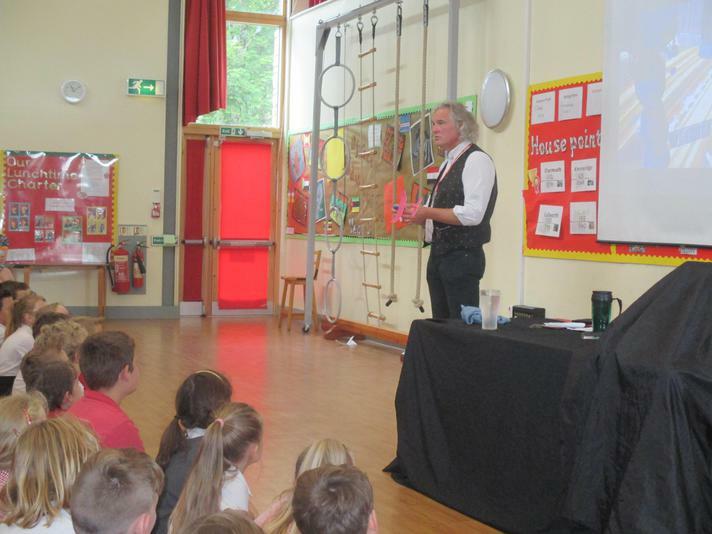 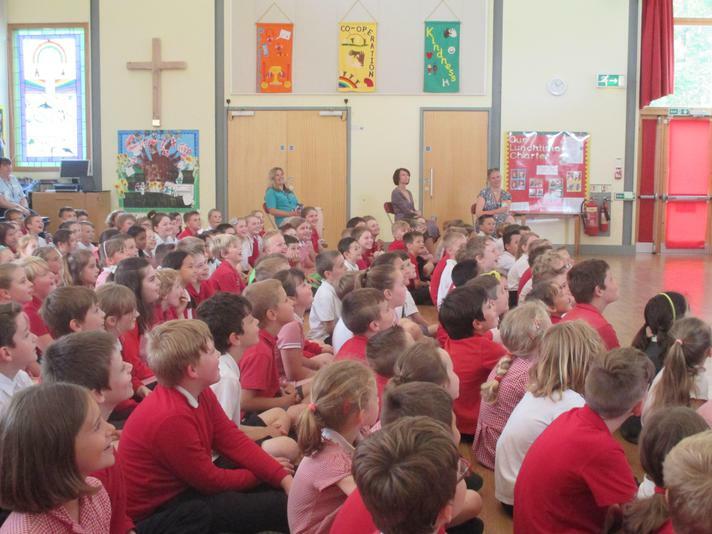 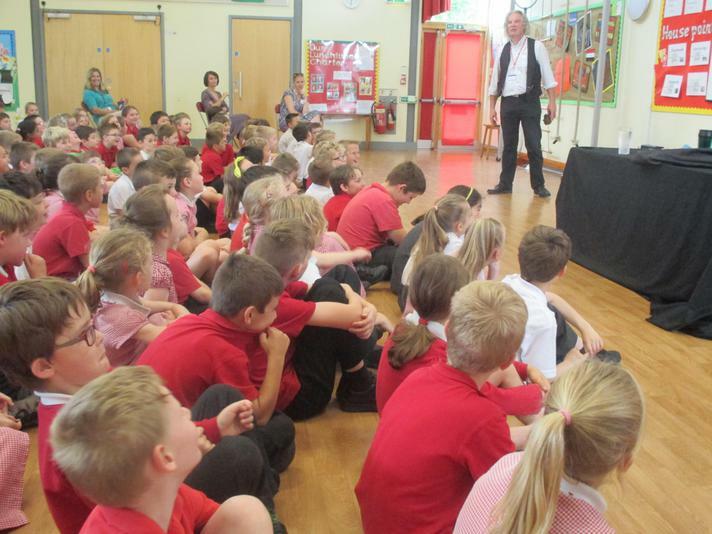 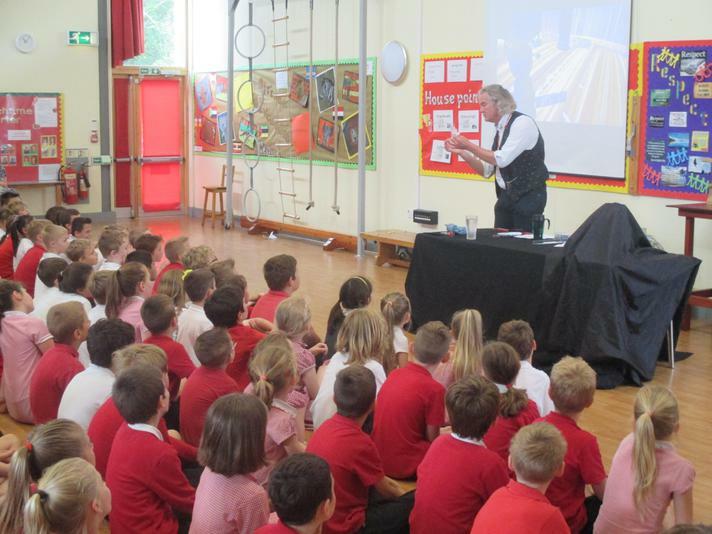 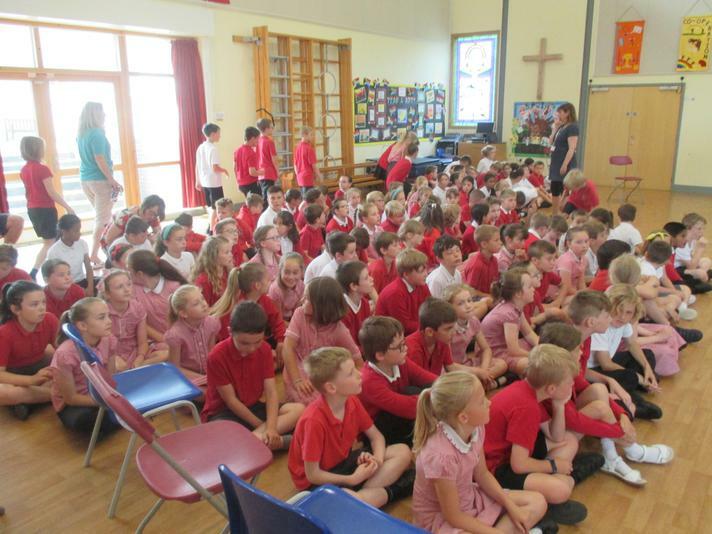 To say the pupils were enthralled is an understatement!! 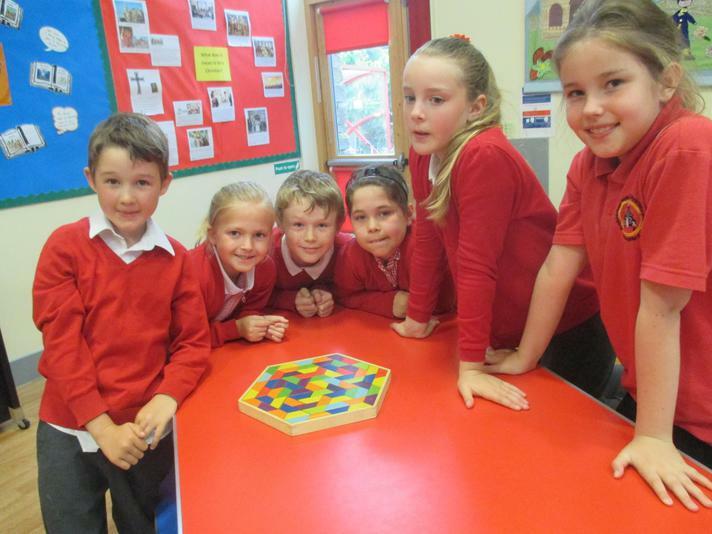 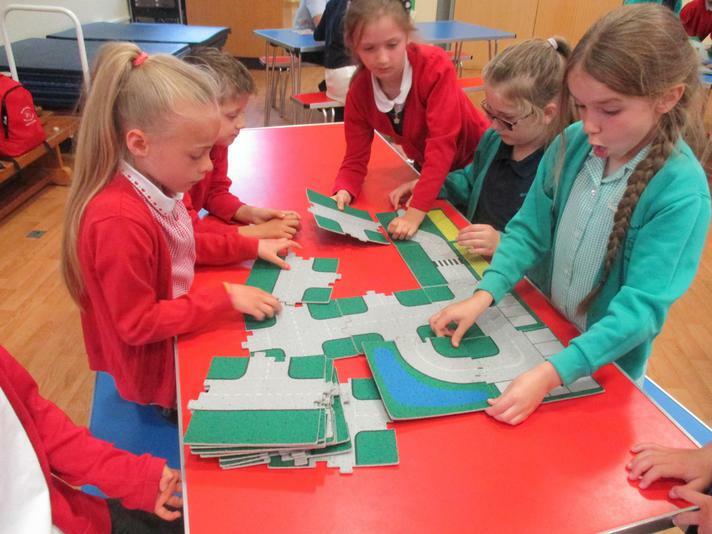 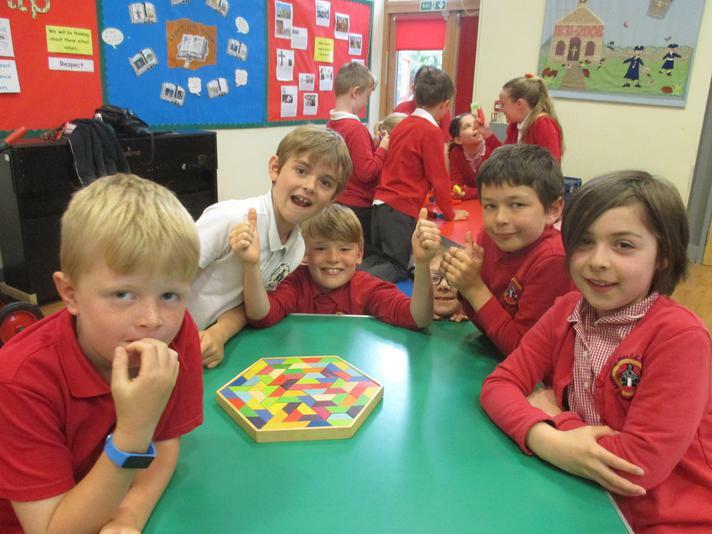 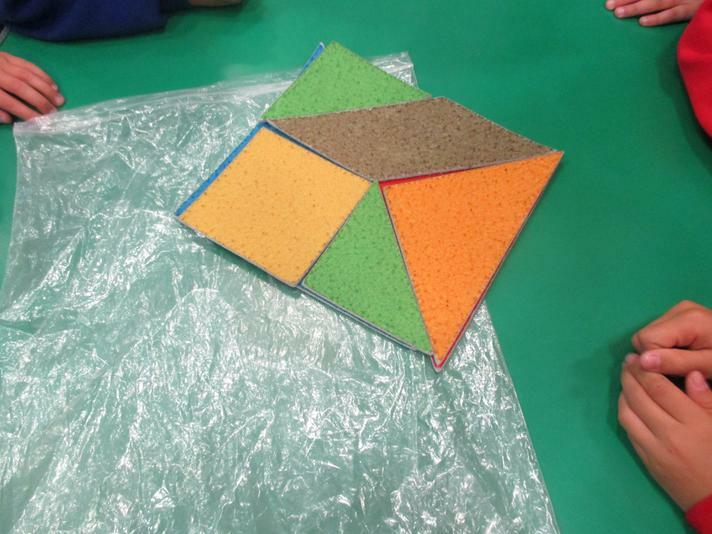 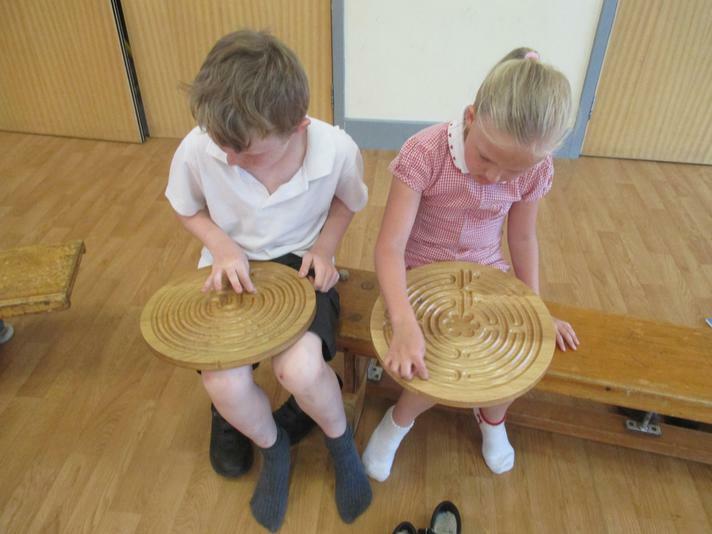 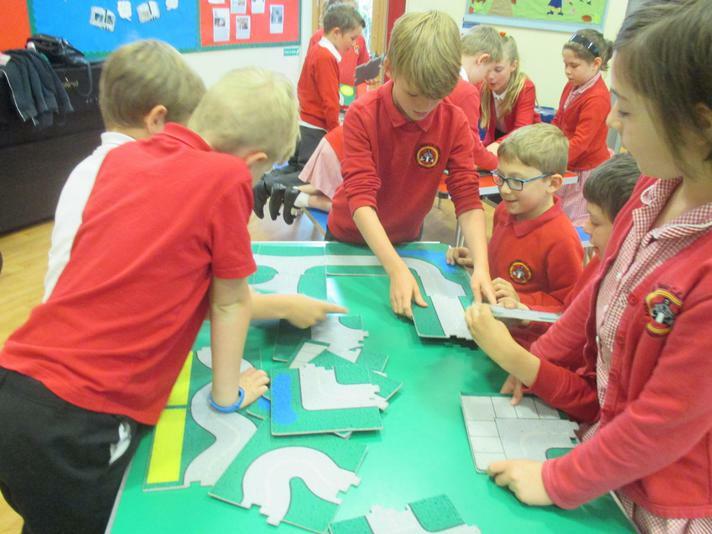 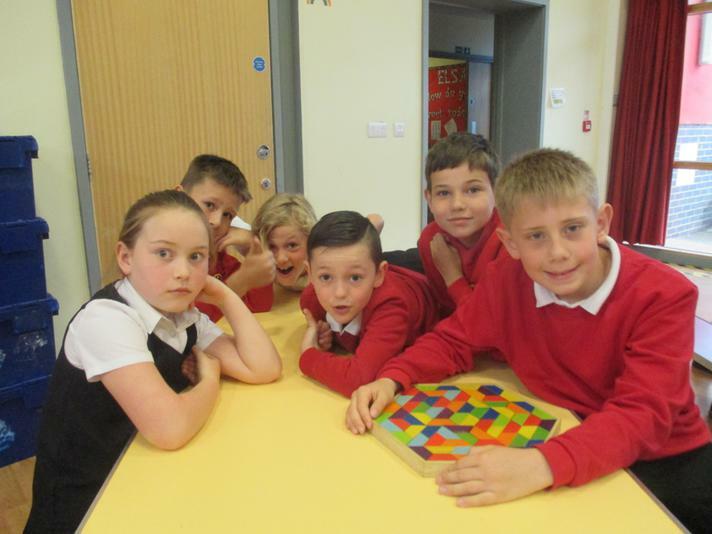 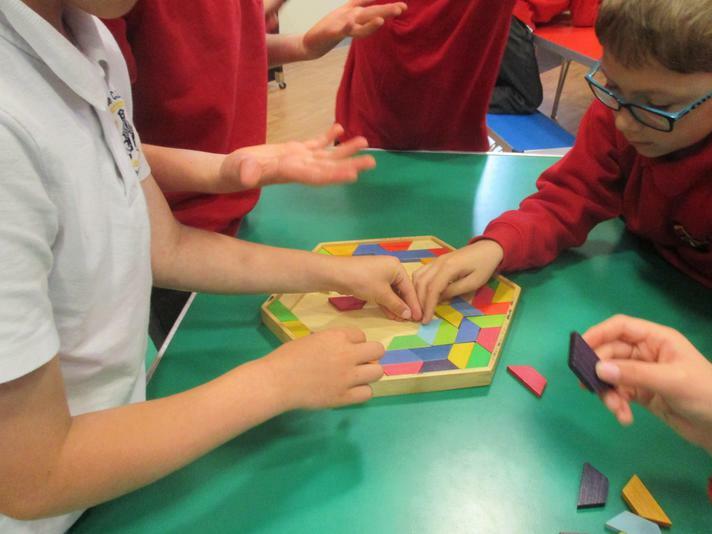 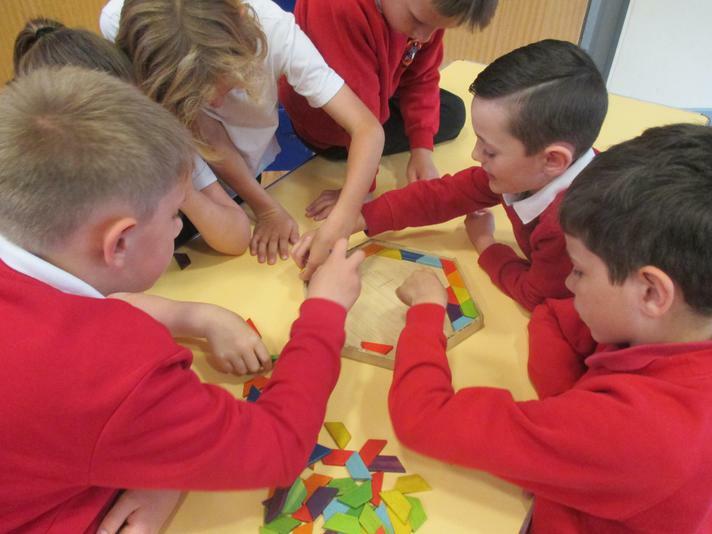 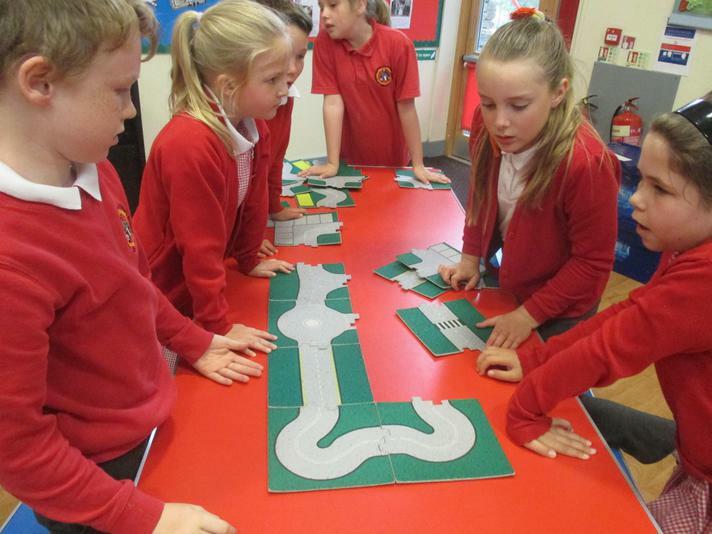 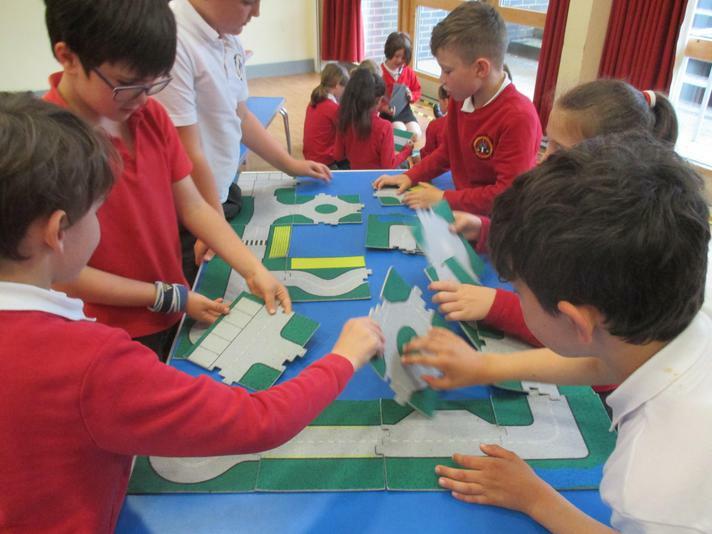 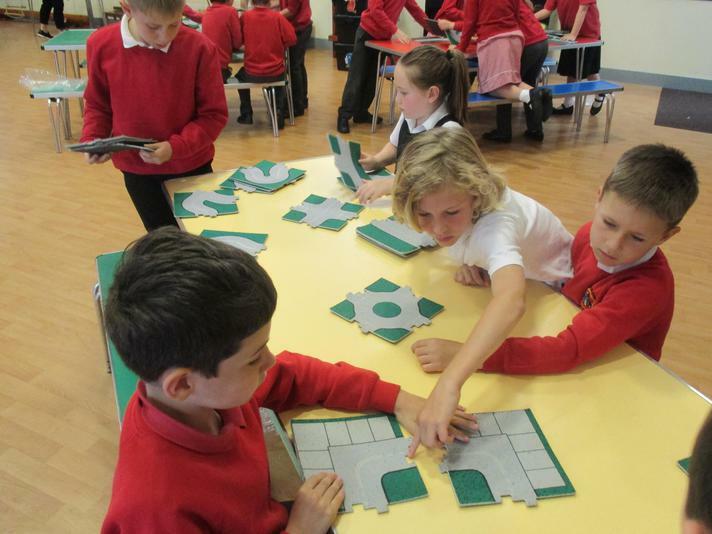 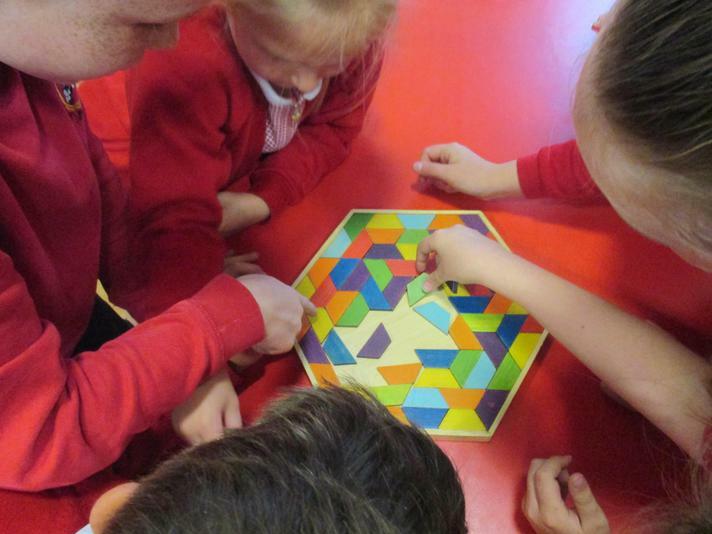 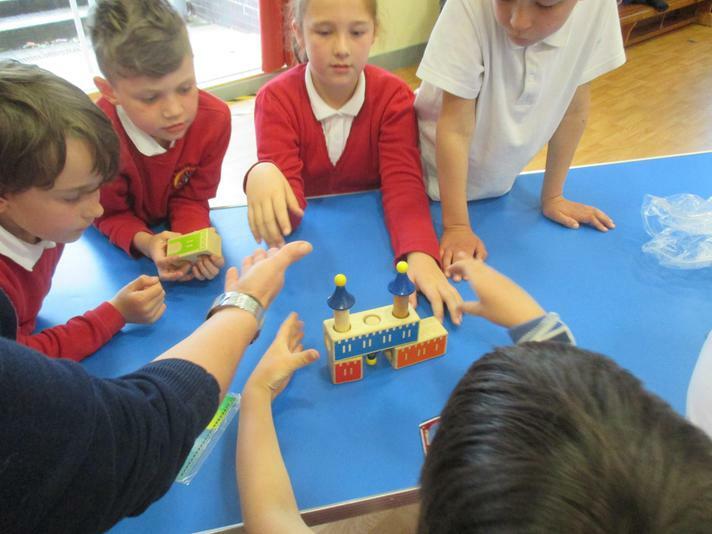 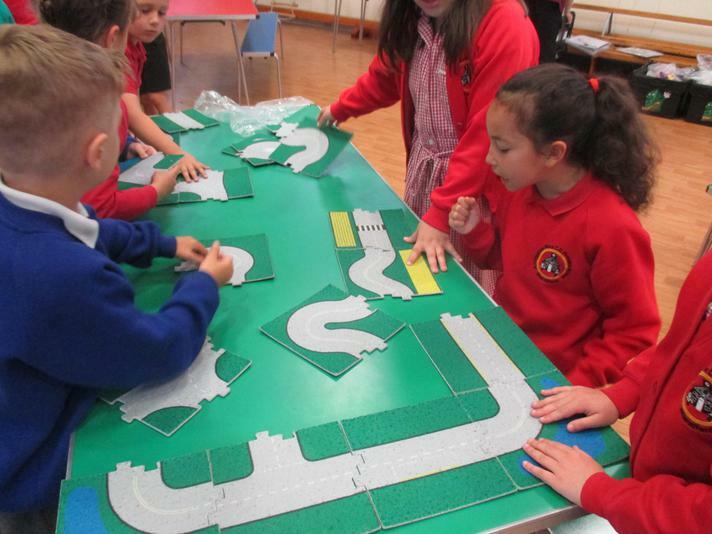 Years 3 and 4 working together solving different puzzles! 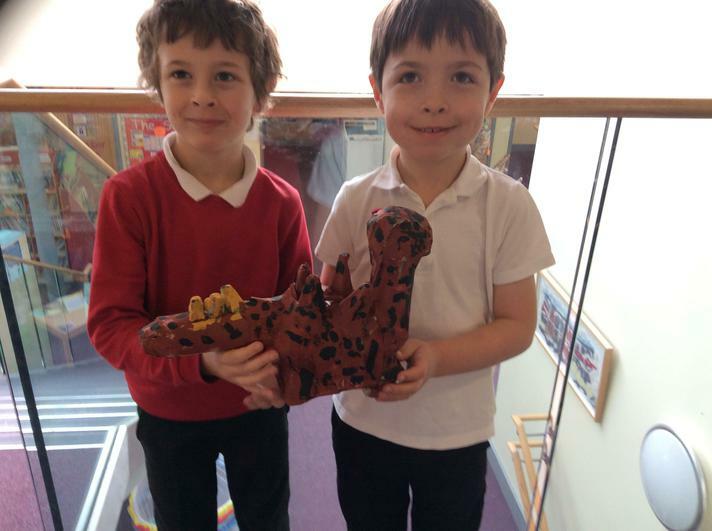 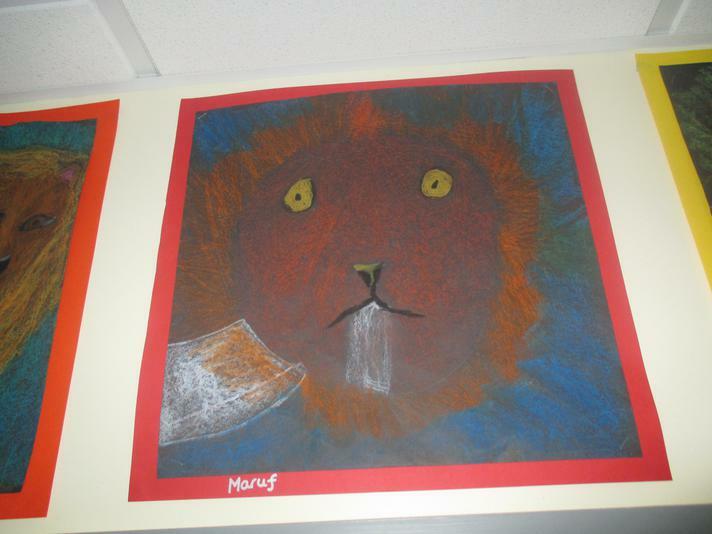 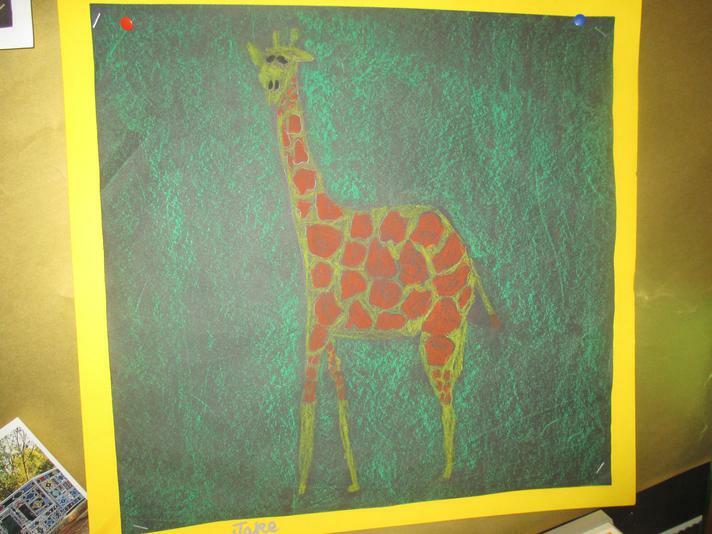 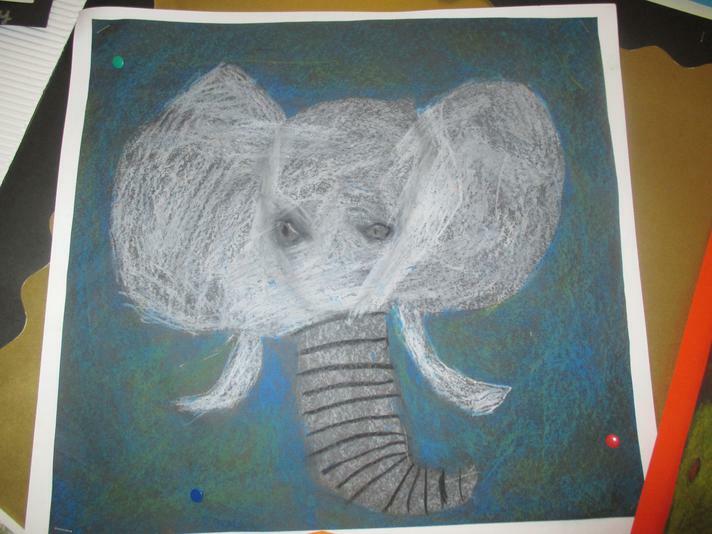 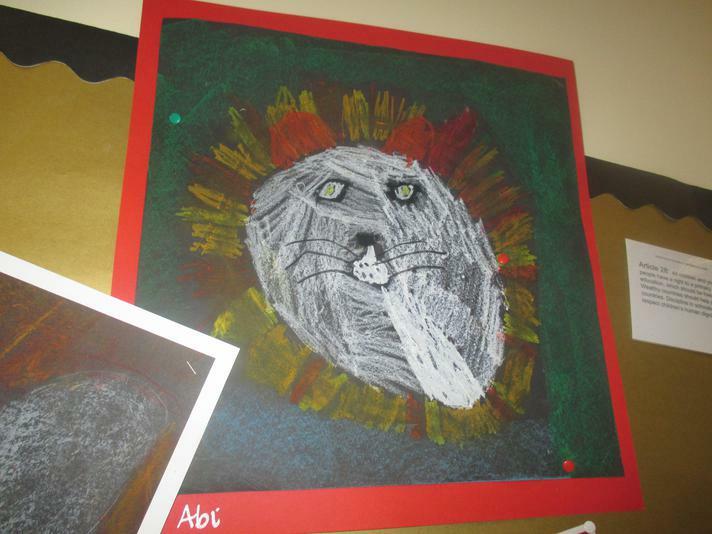 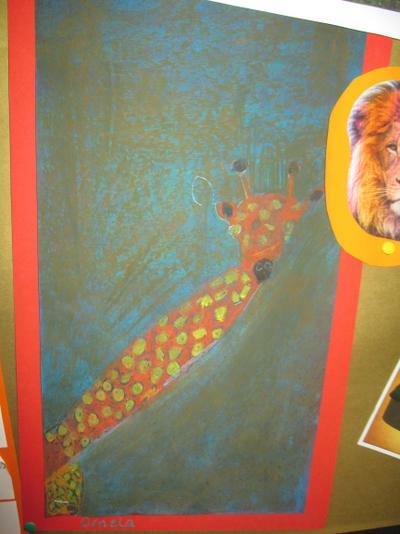 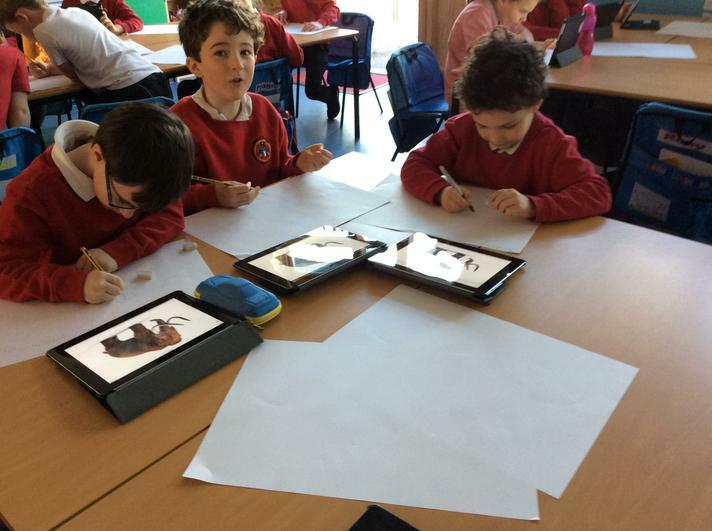 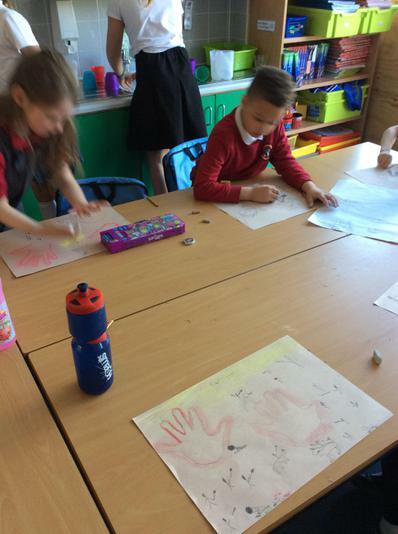 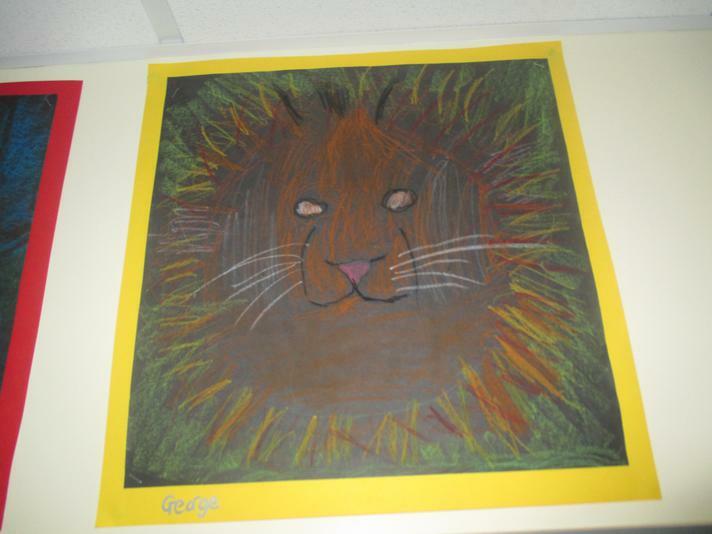 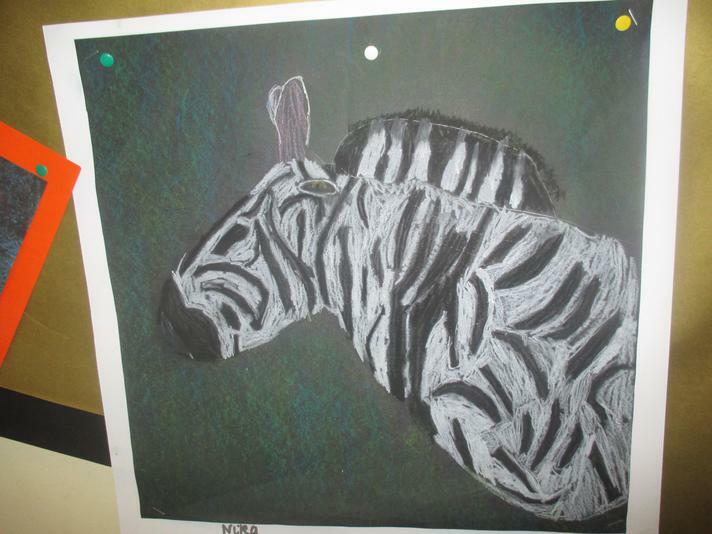 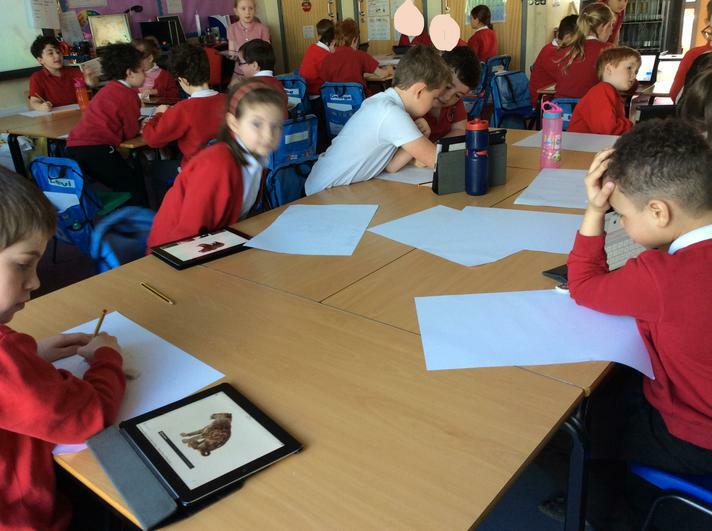 We have been learning about African animals. 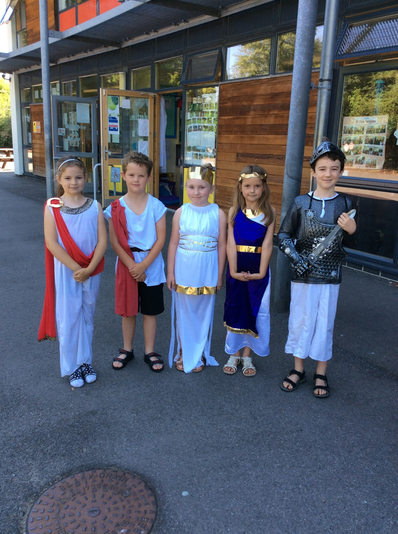 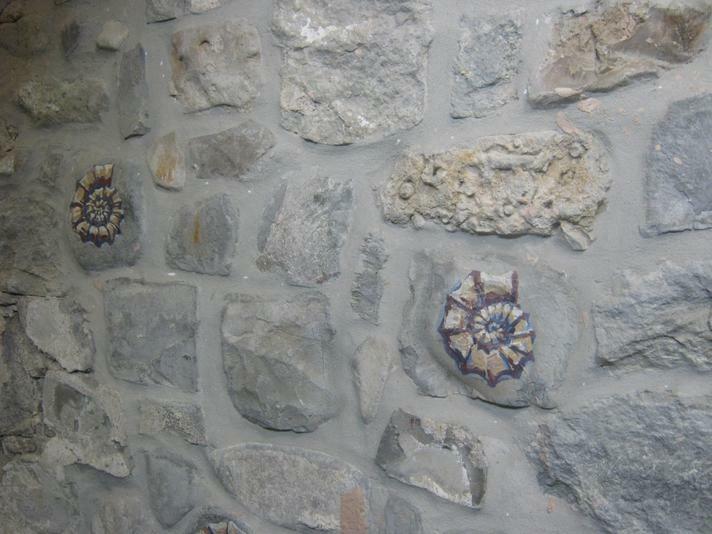 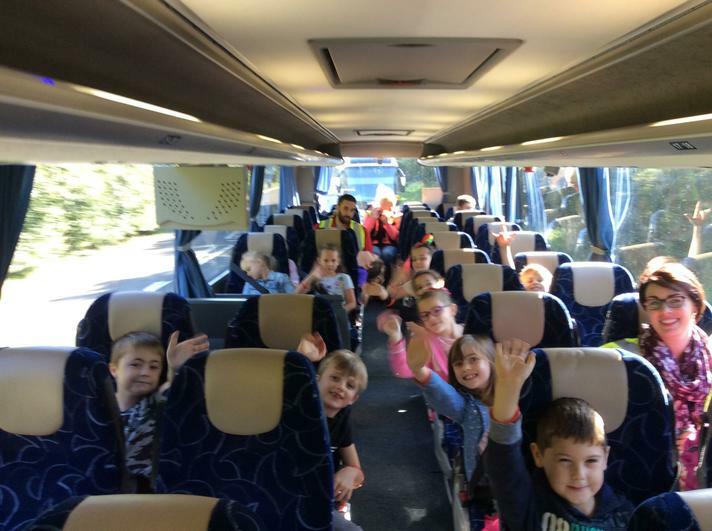 We hope you like our pictures! 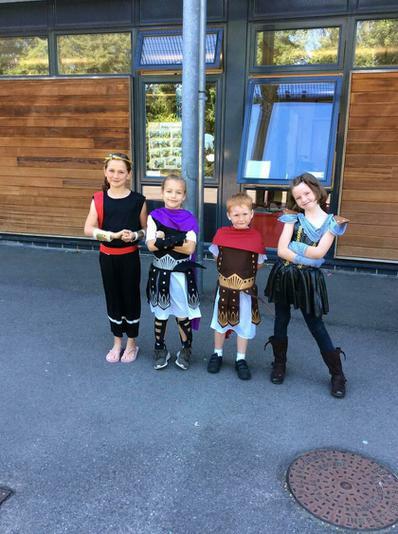 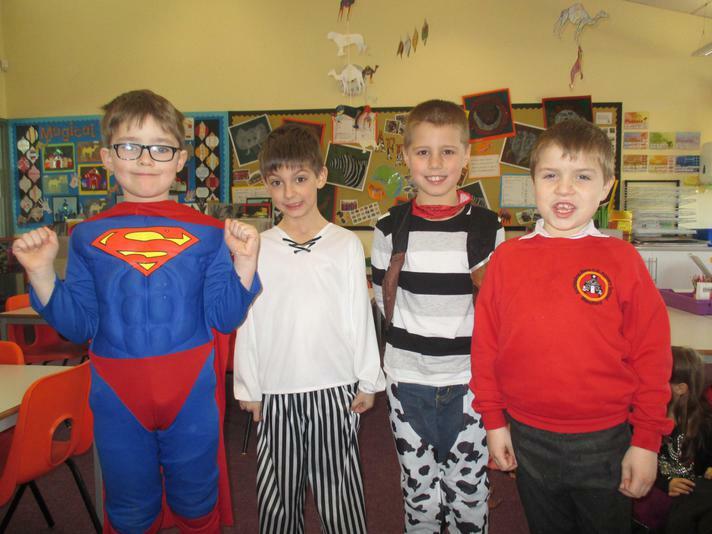 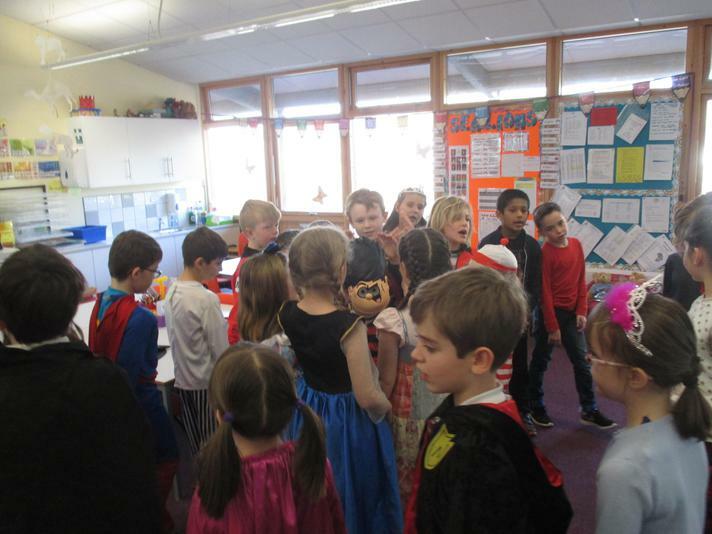 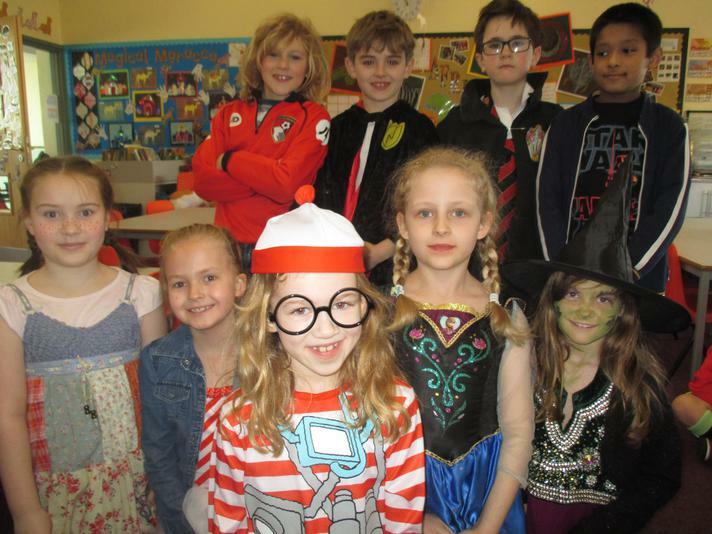 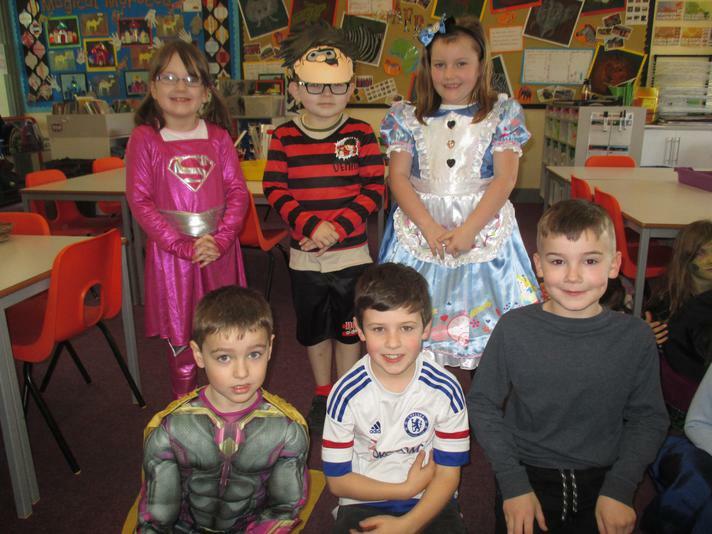 We had fun dressing up as our favourite book characters on World Book Day -2 March 2017!